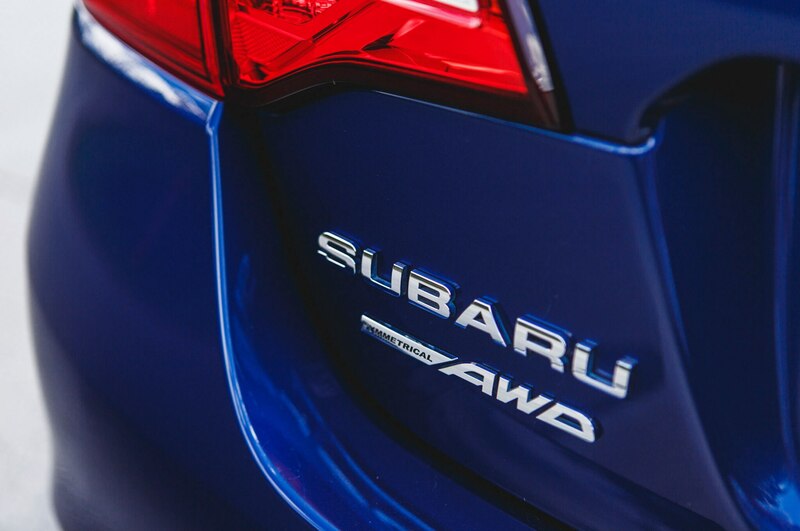 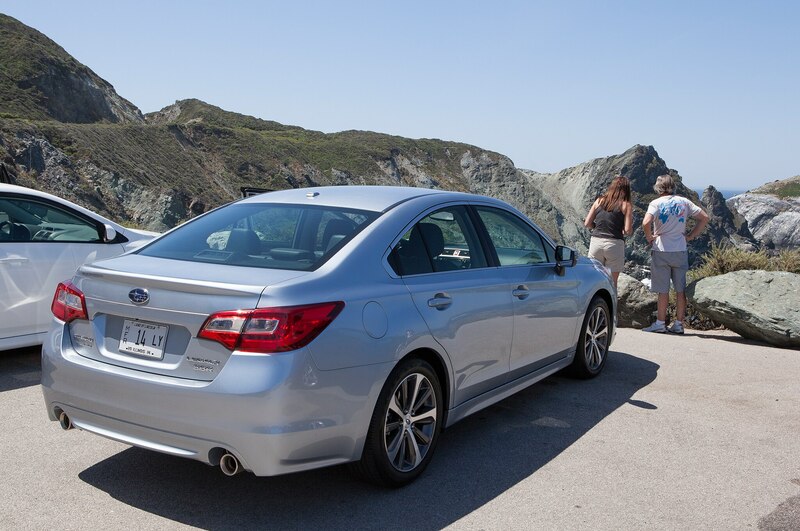 Subaru buyers are a loyal bunch, but that loyalty hasn’t translated into big sales for the company’s midsize sedan. 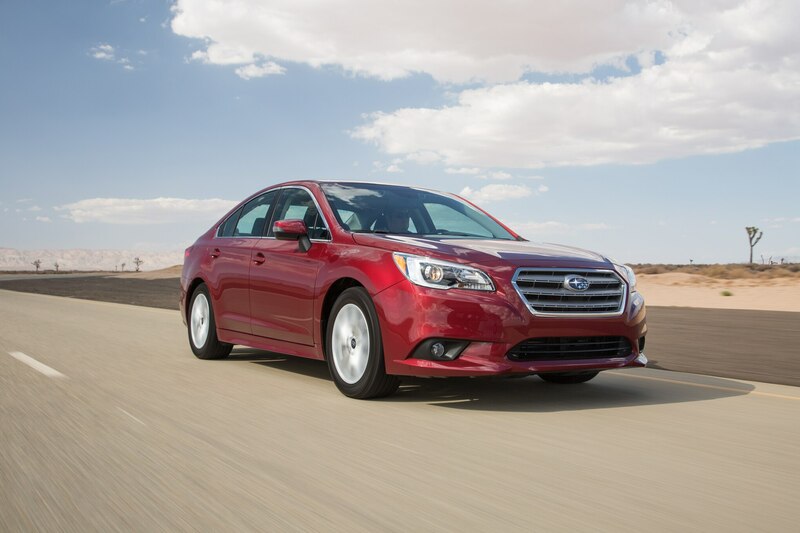 The Subaru Legacy currently stands in 10th place within its segment. 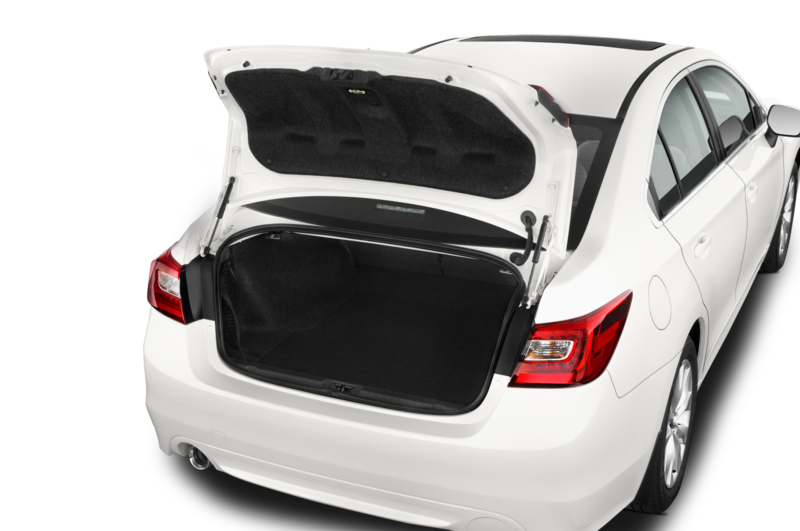 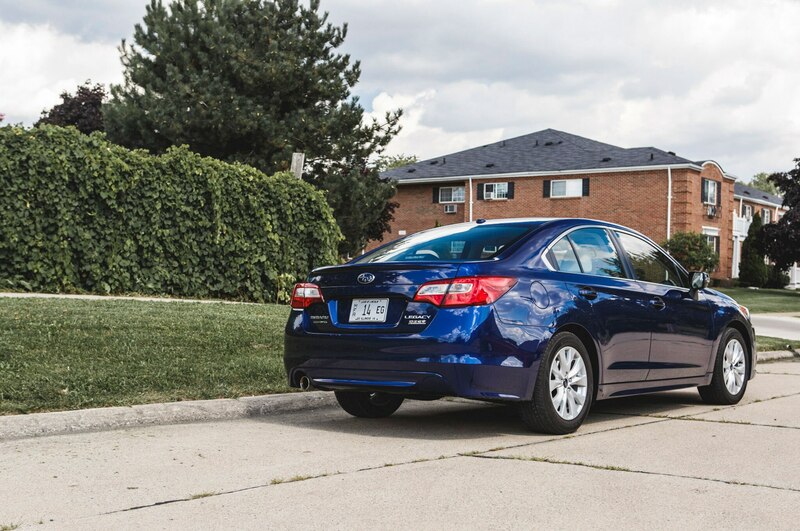 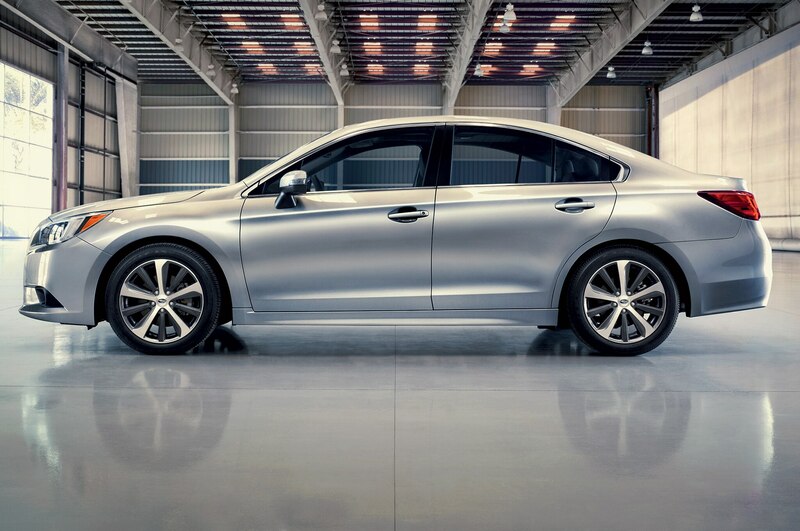 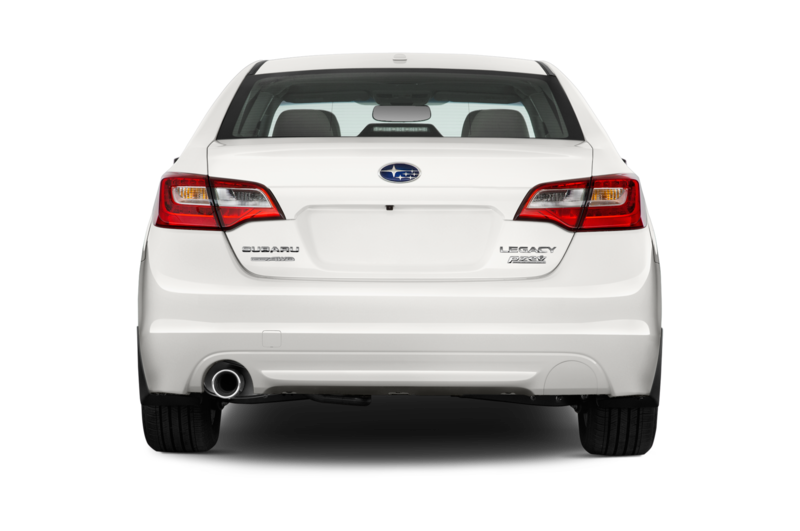 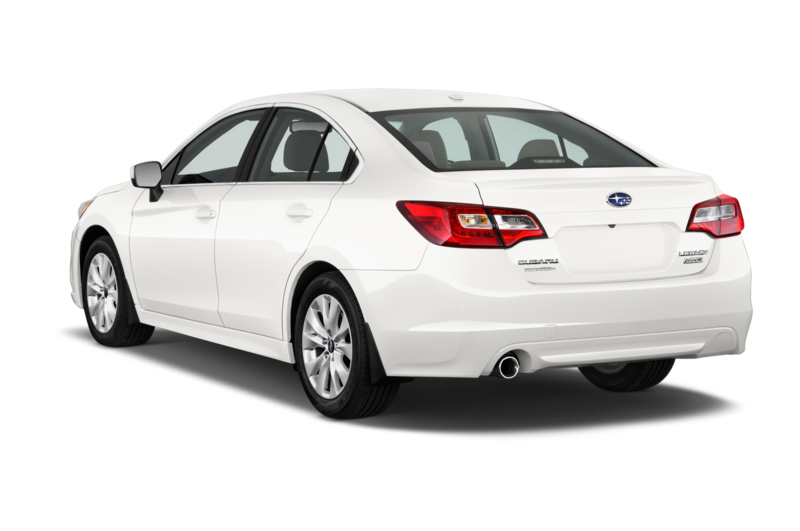 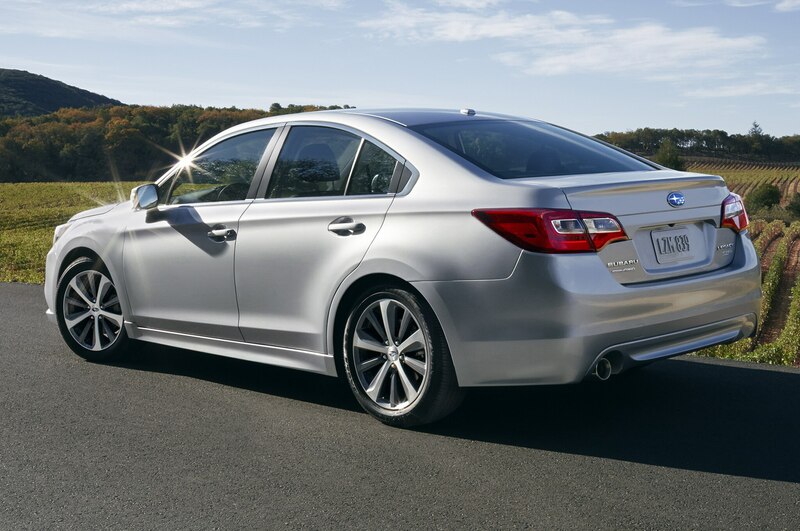 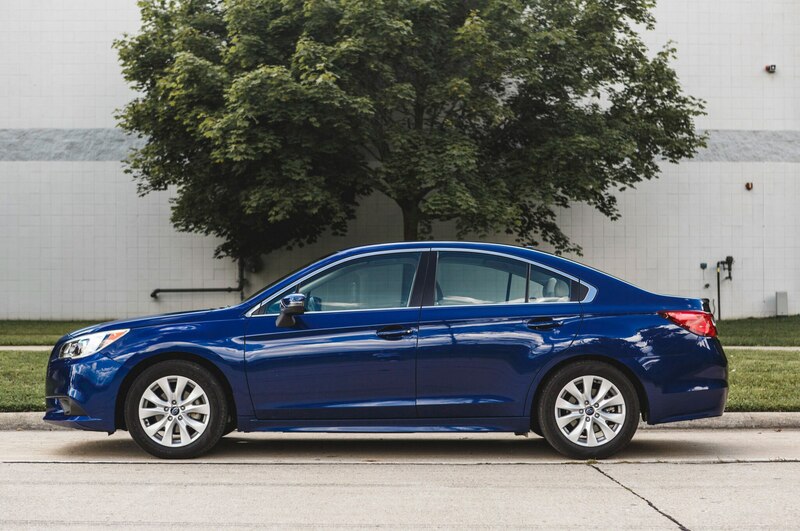 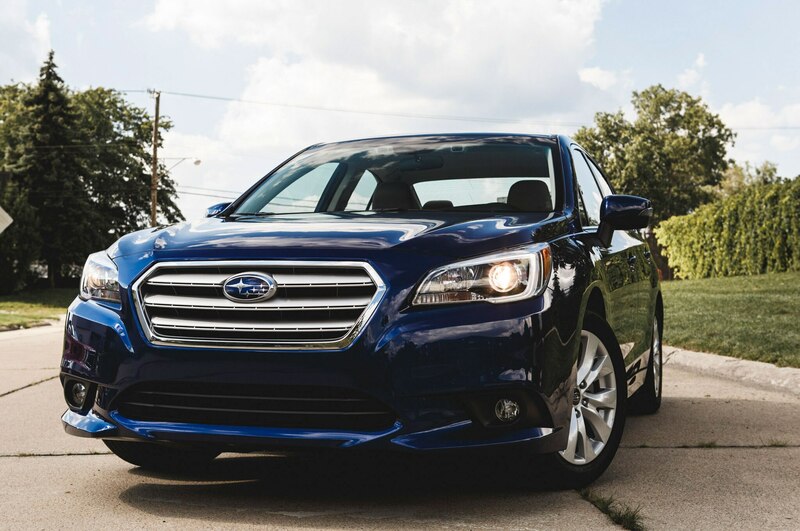 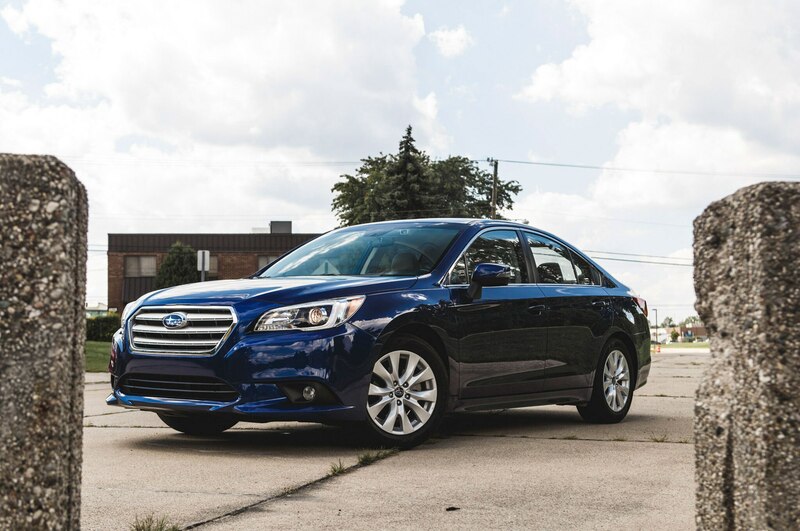 It’s no surprise the old Legacy was less popular than the omnipresent Toyota Camry and Honda Accord, as its performance and refinement didn’t match up to its rivals, but with the 2015 Subaru Legacy, which bowed at this year’s Chicago auto show, there’s no longer any reason to discount the Subie. 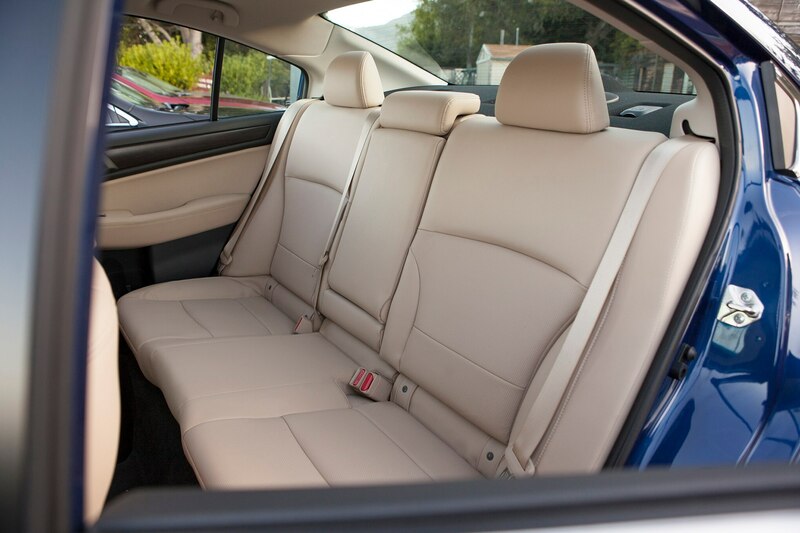 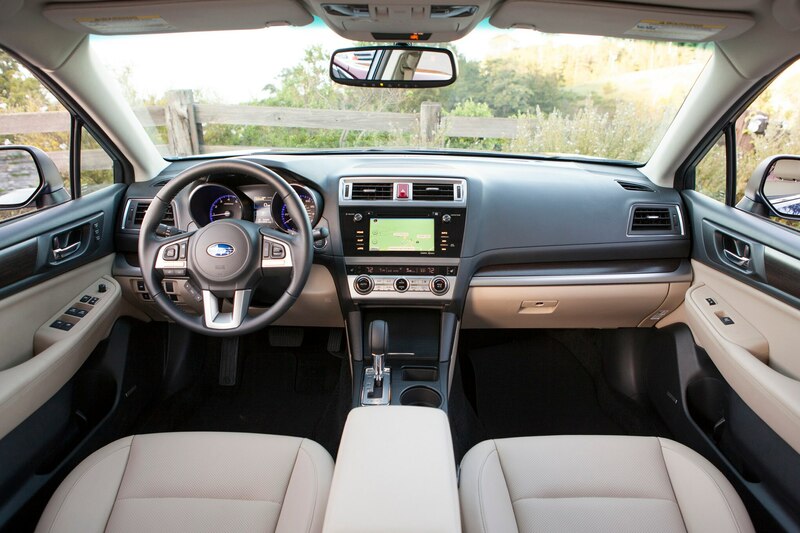 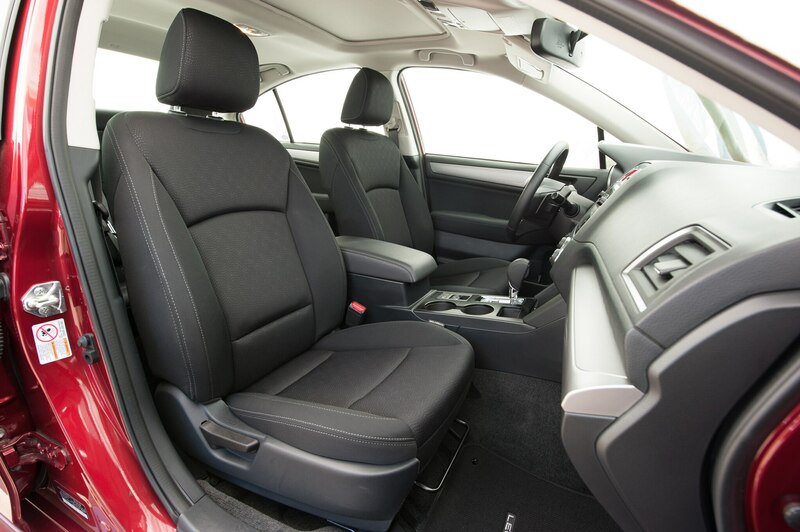 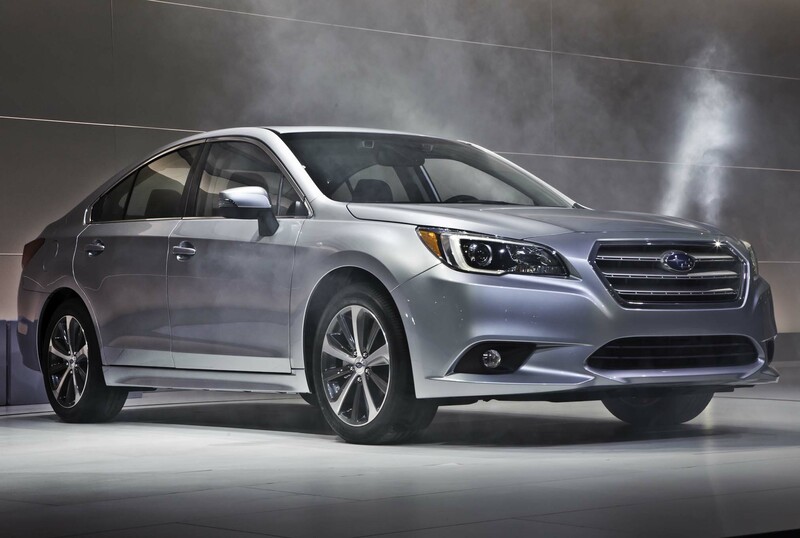 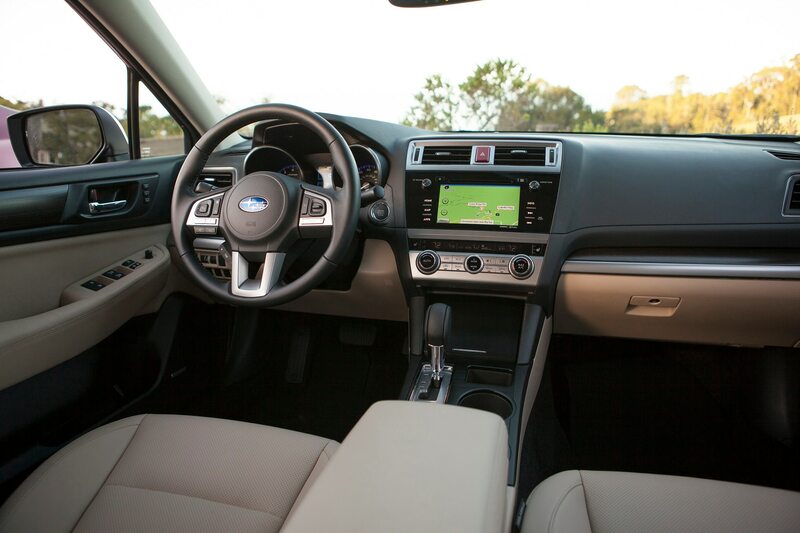 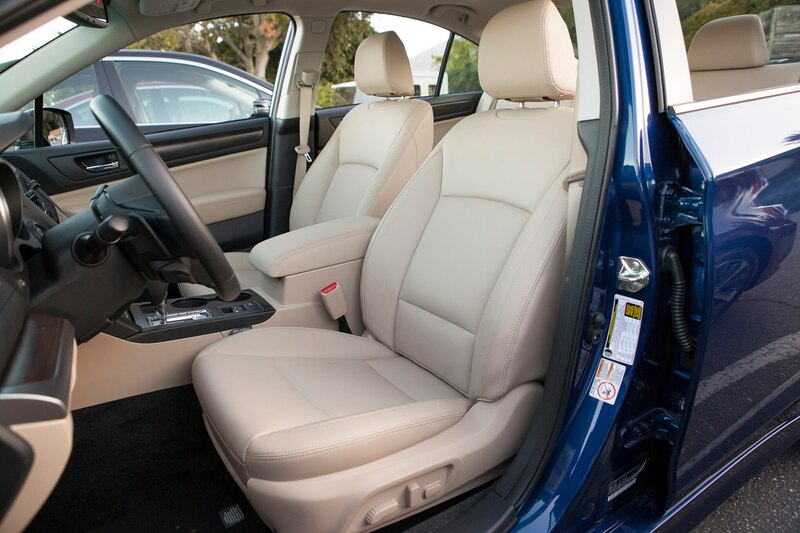 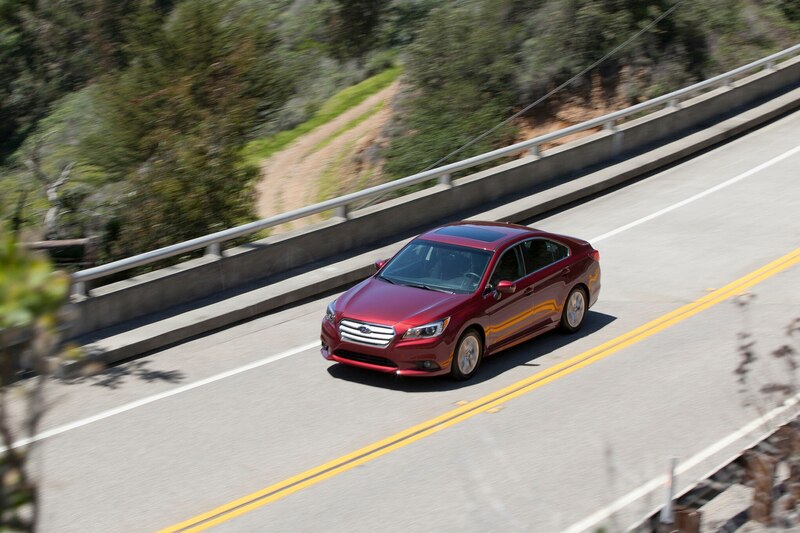 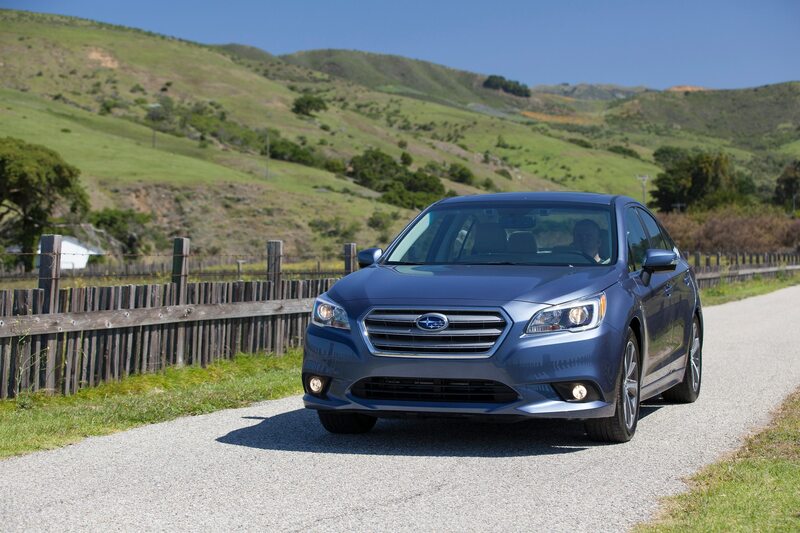 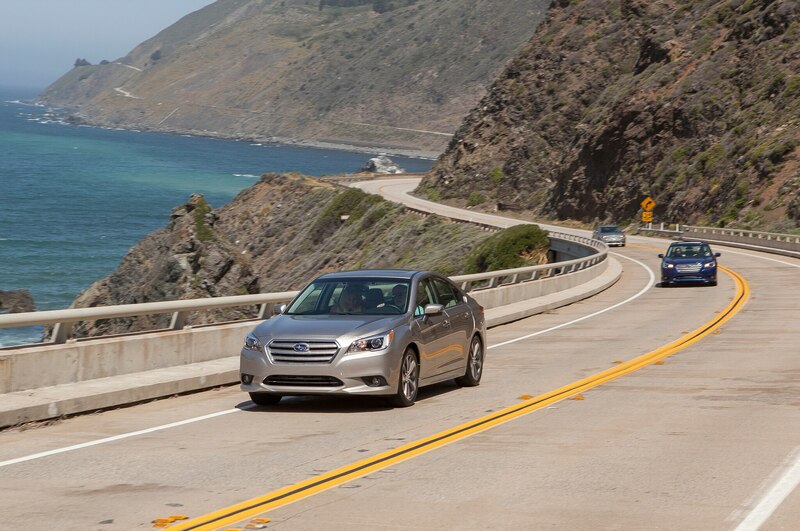 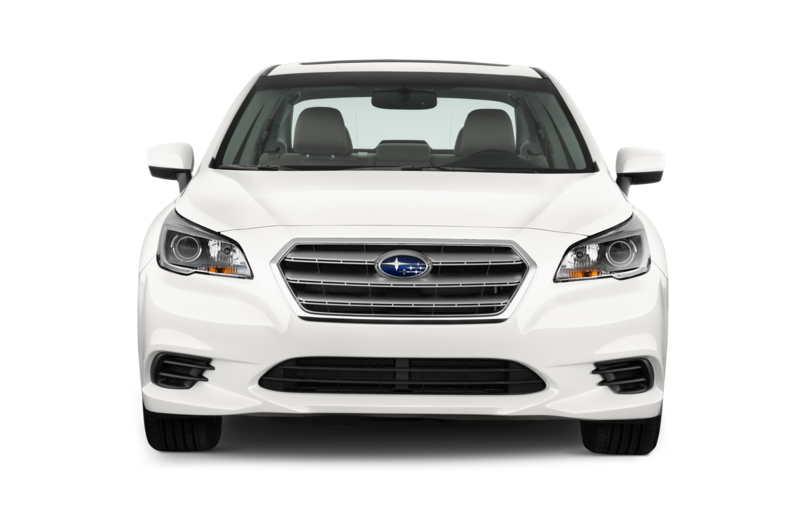 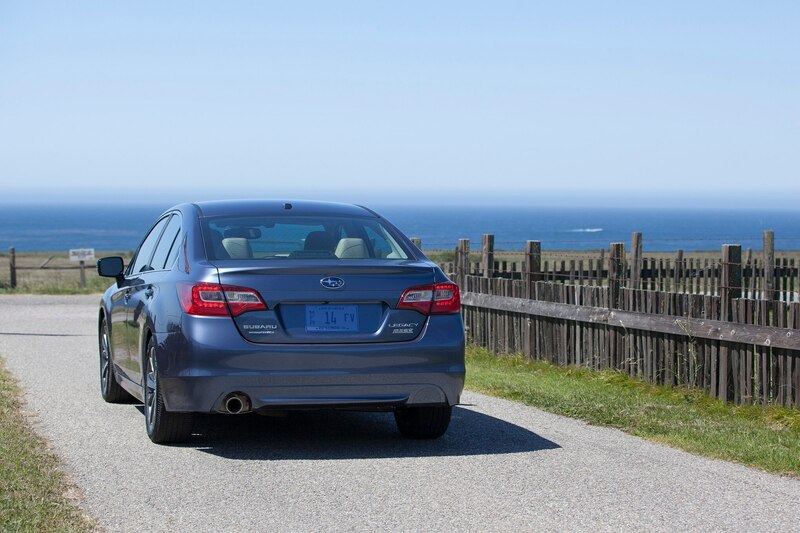 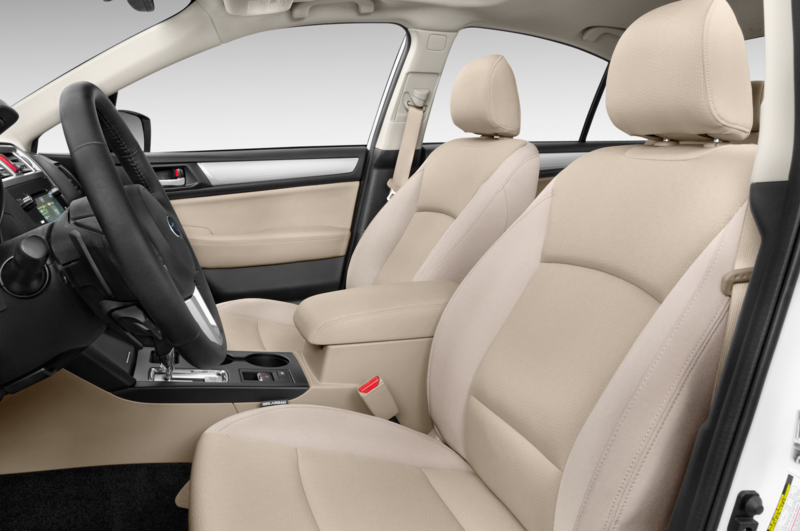 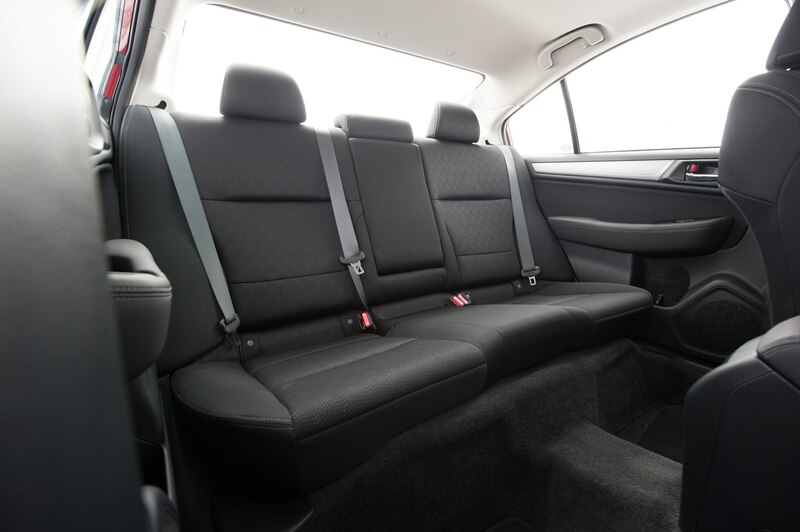 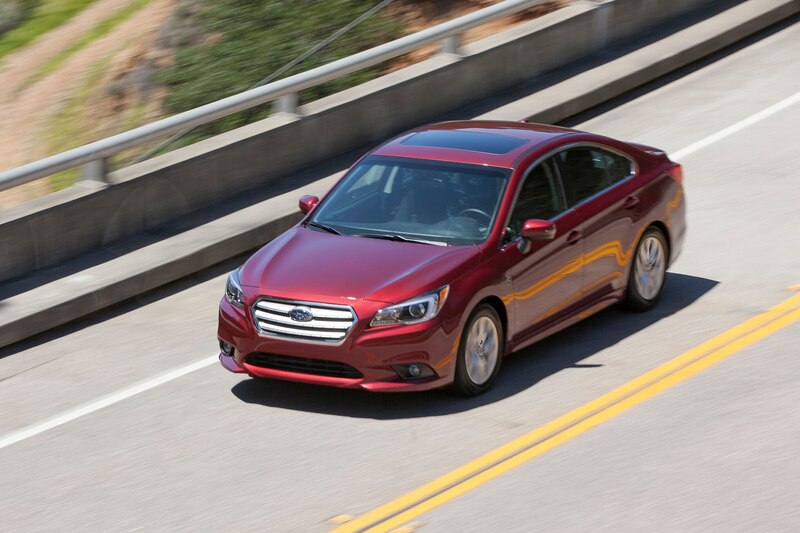 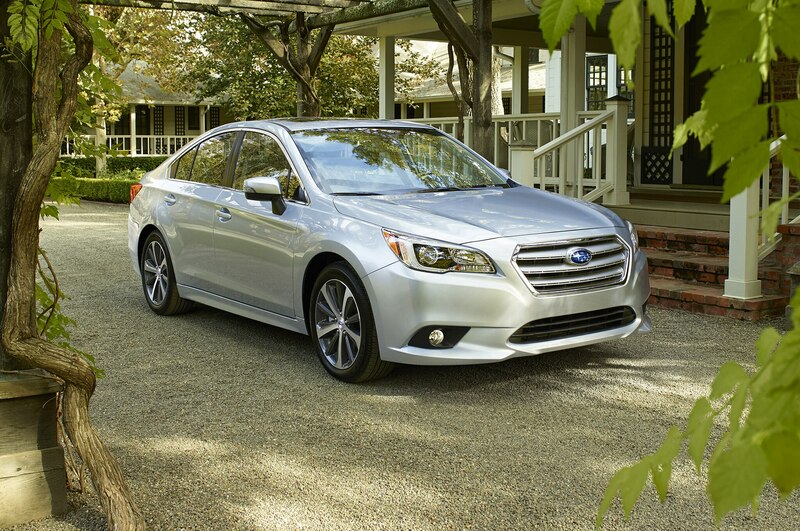 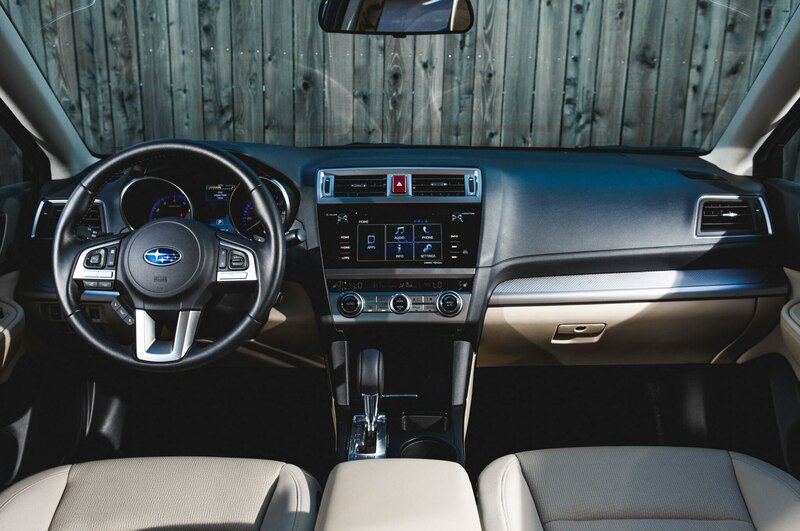 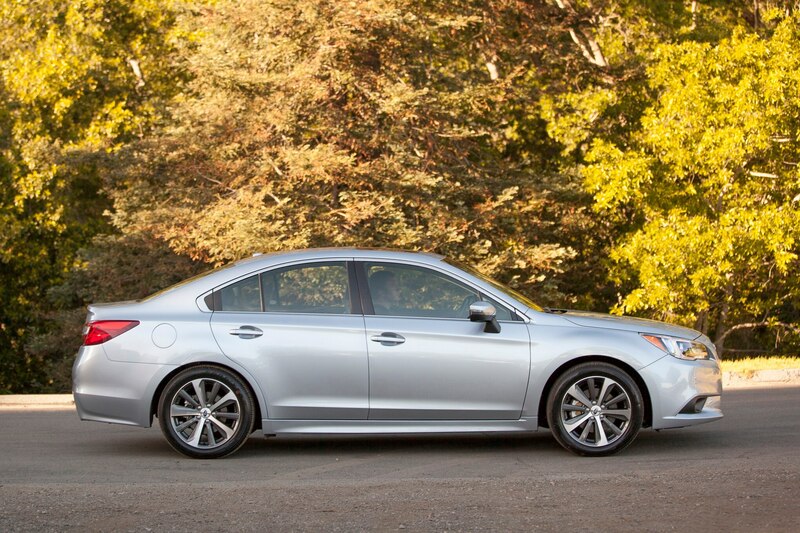 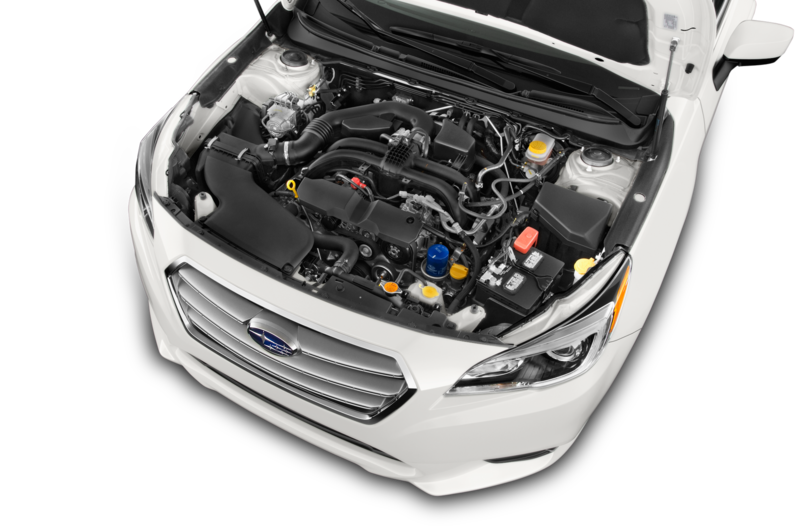 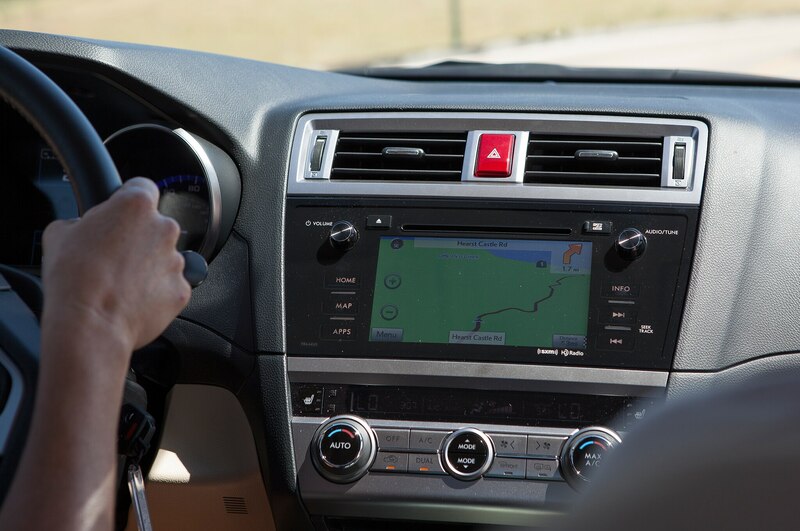 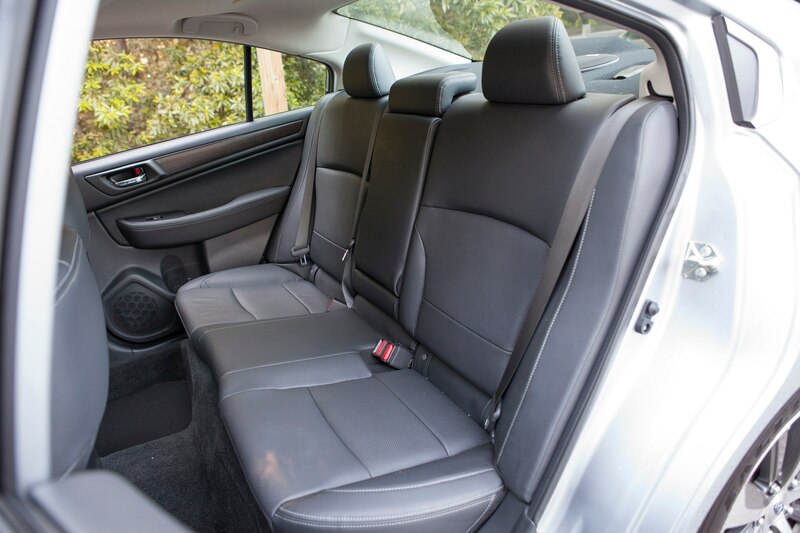 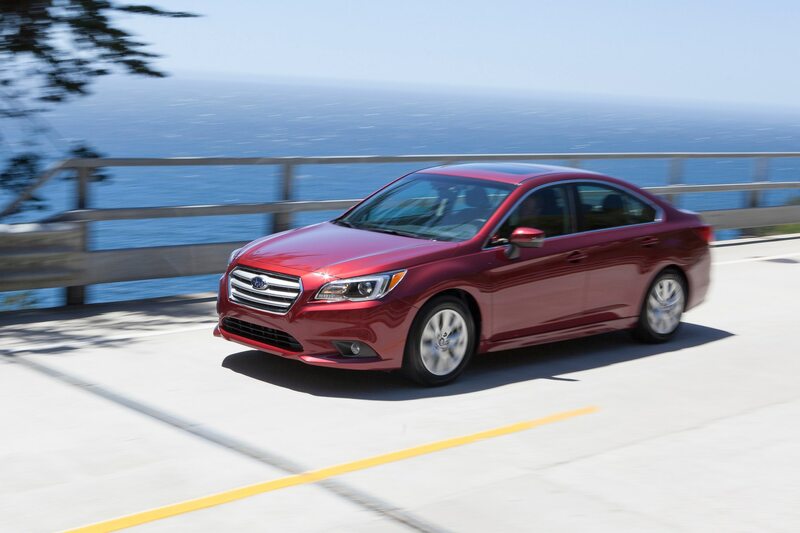 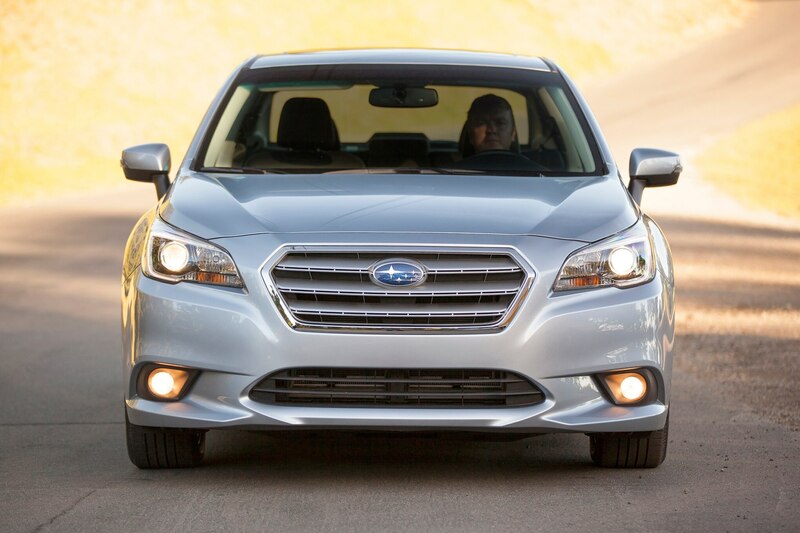 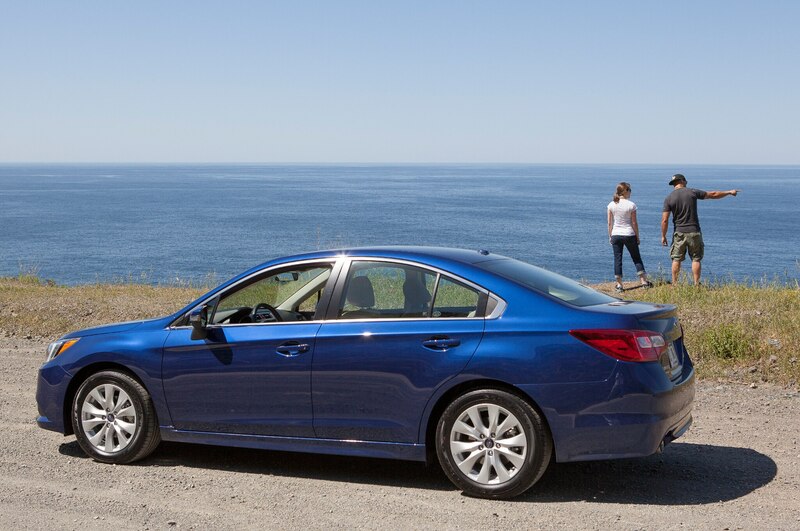 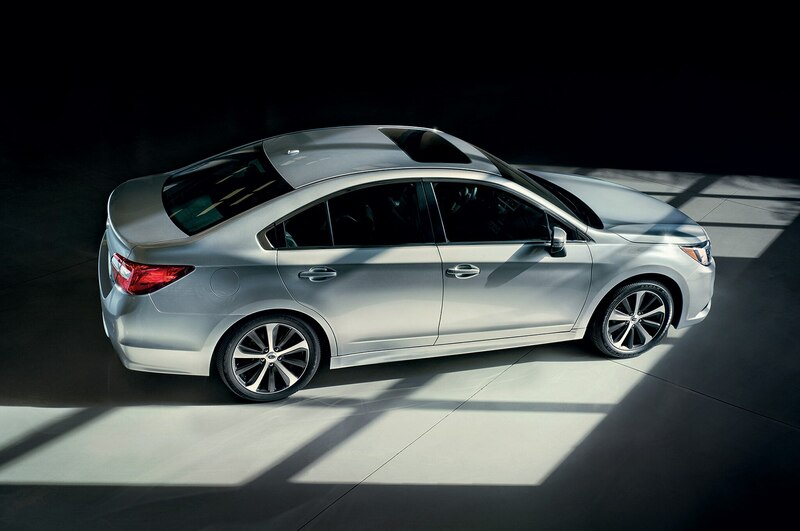 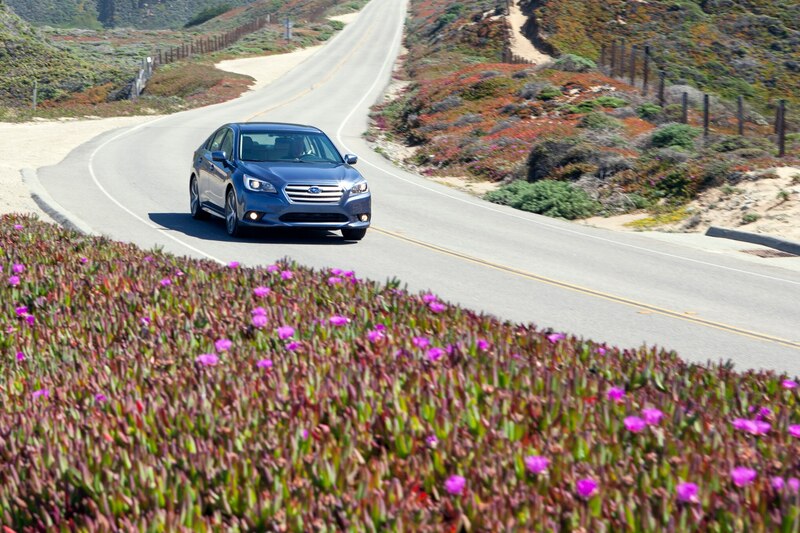 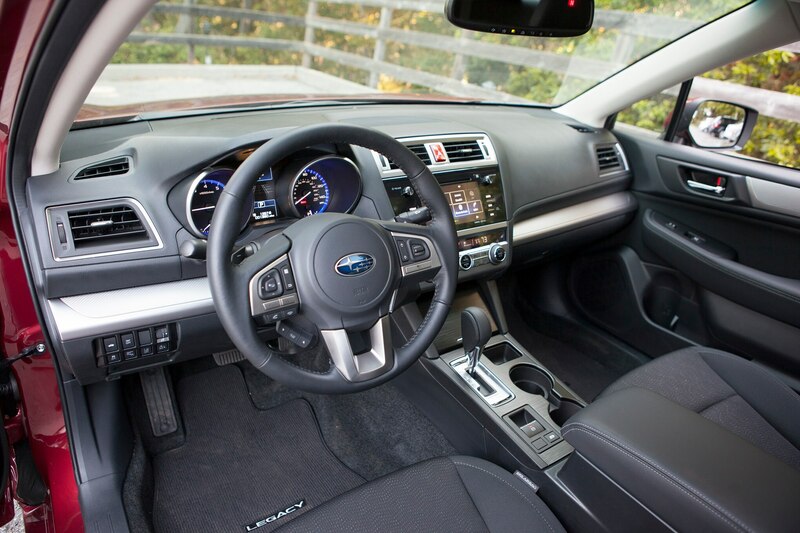 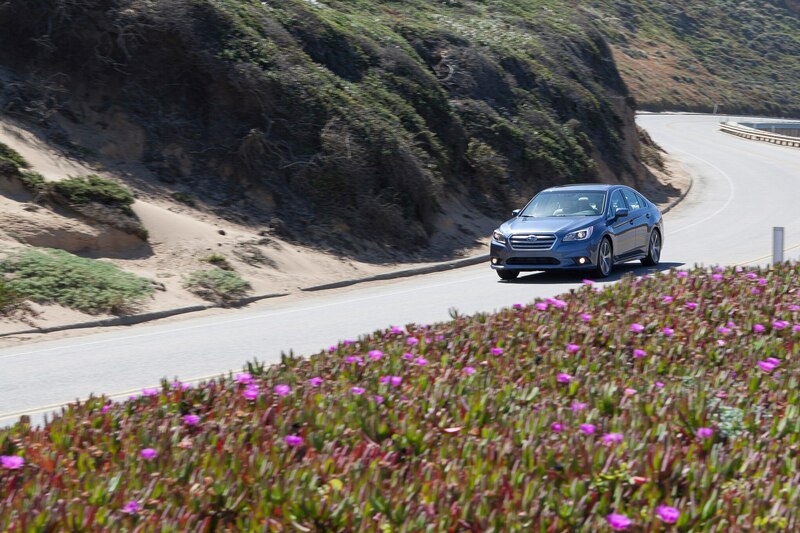 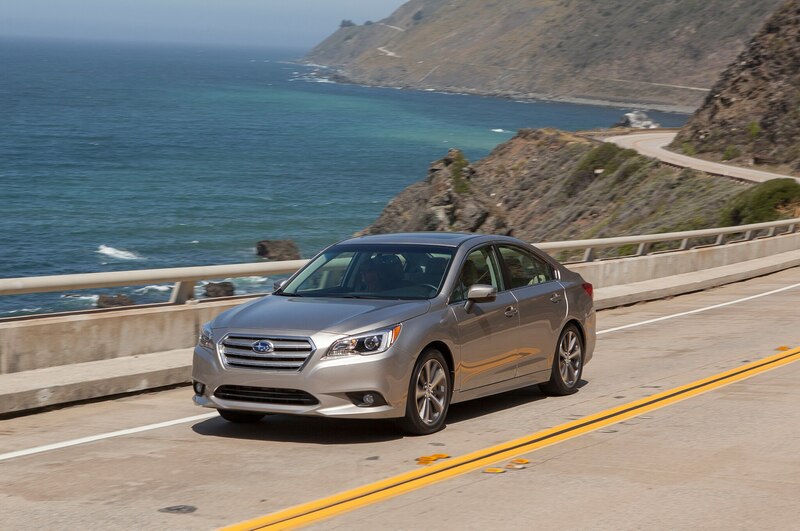 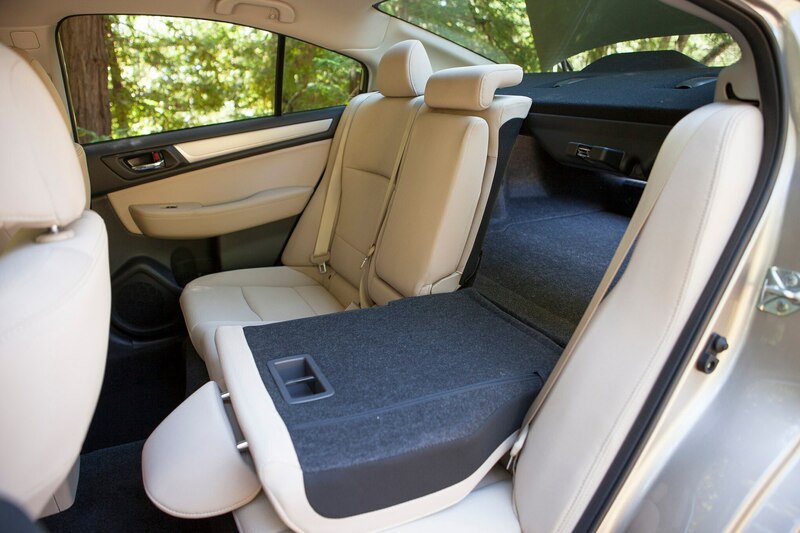 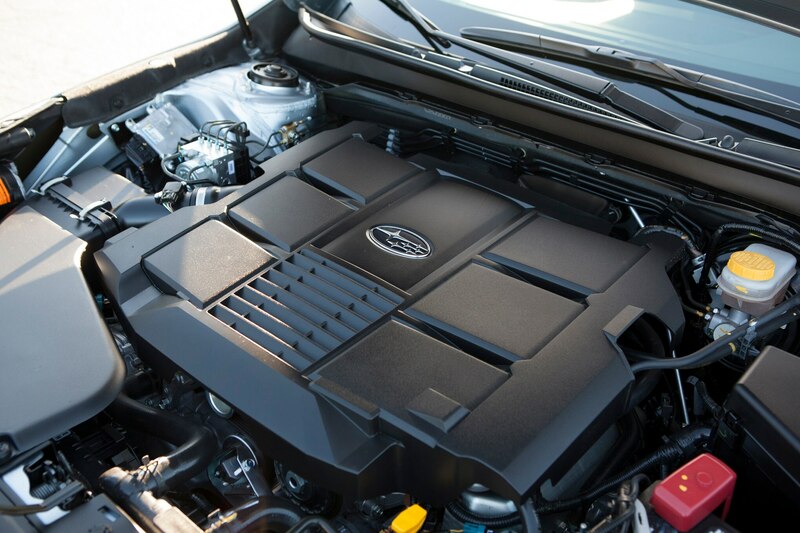 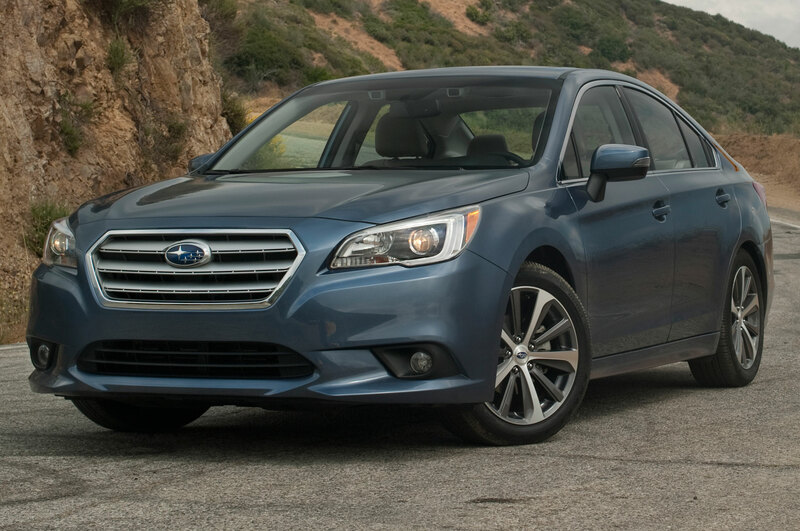 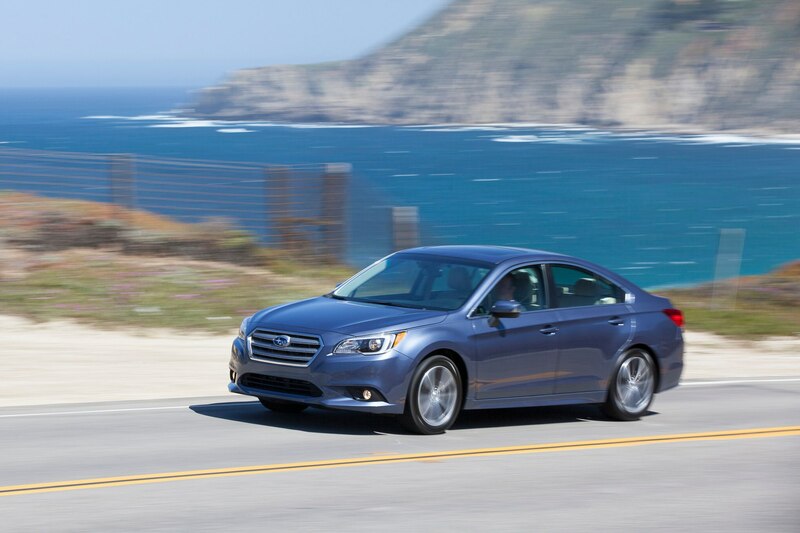 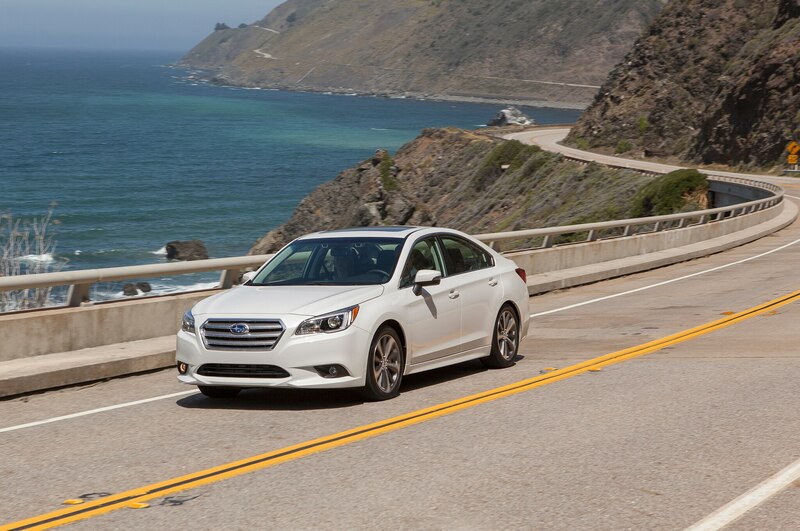 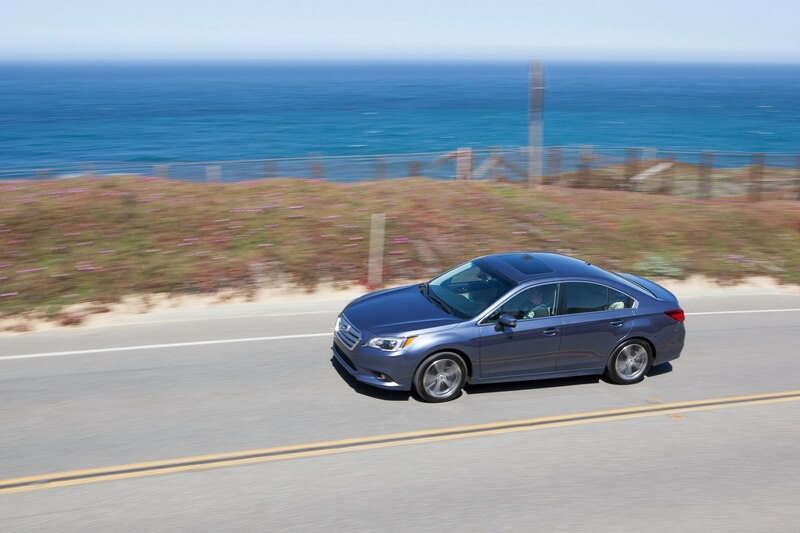 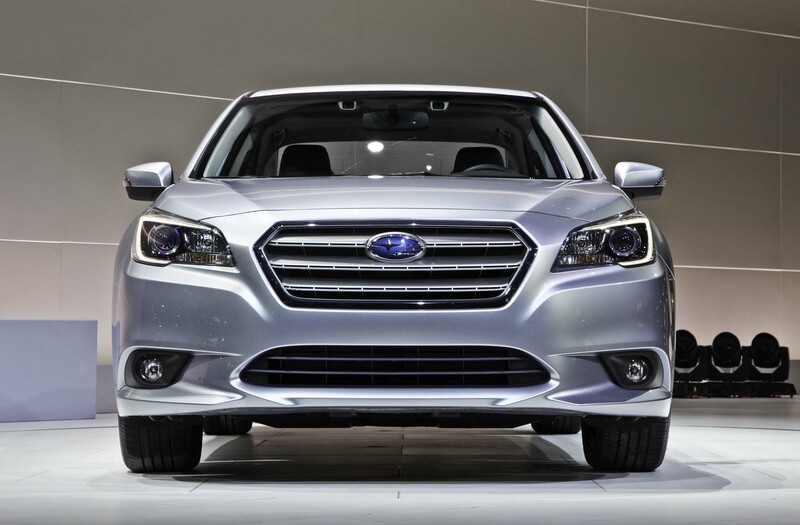 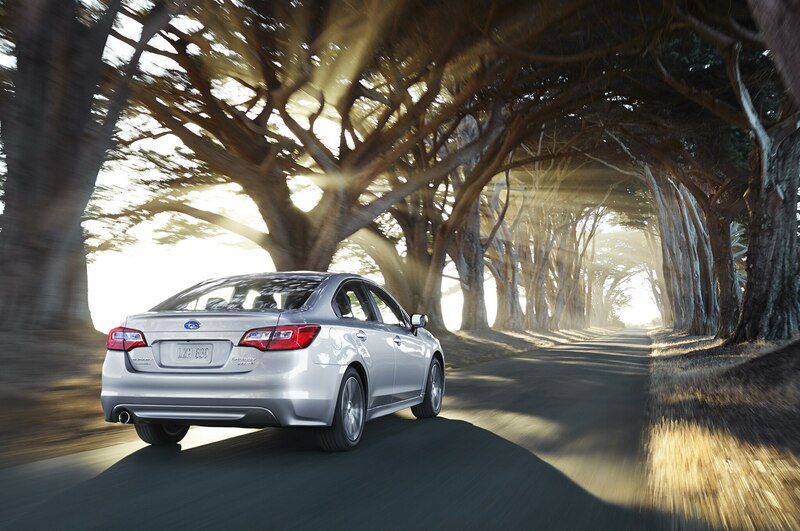 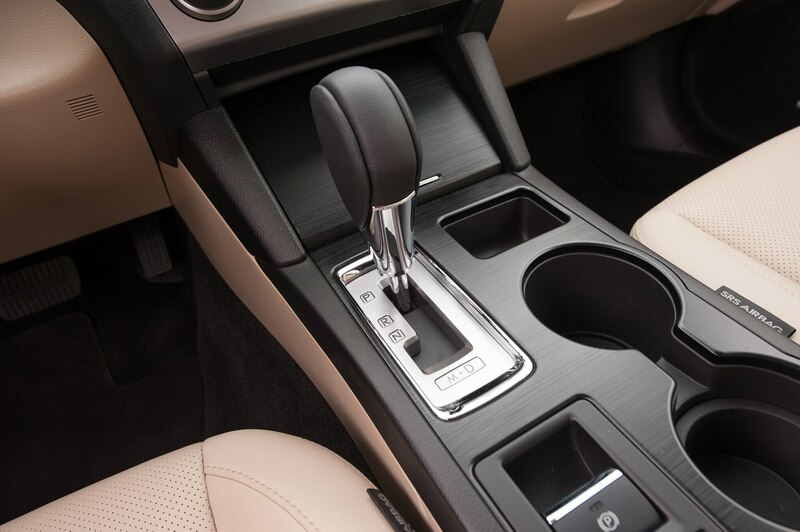 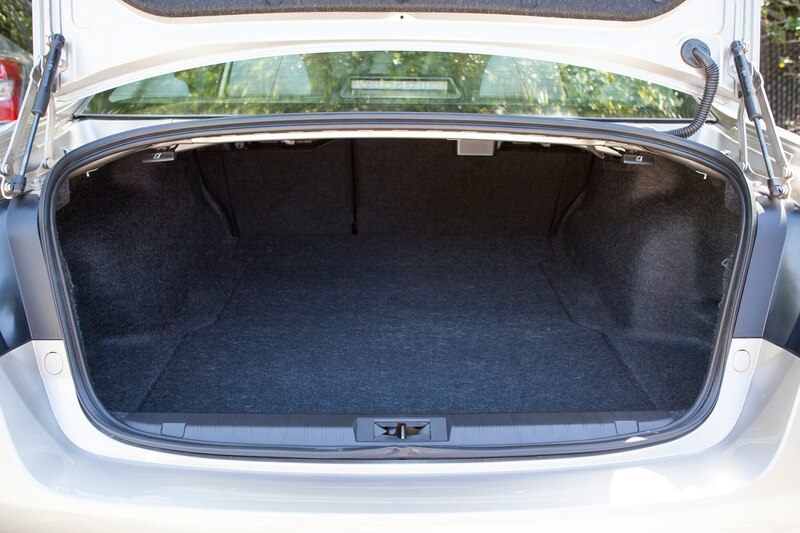 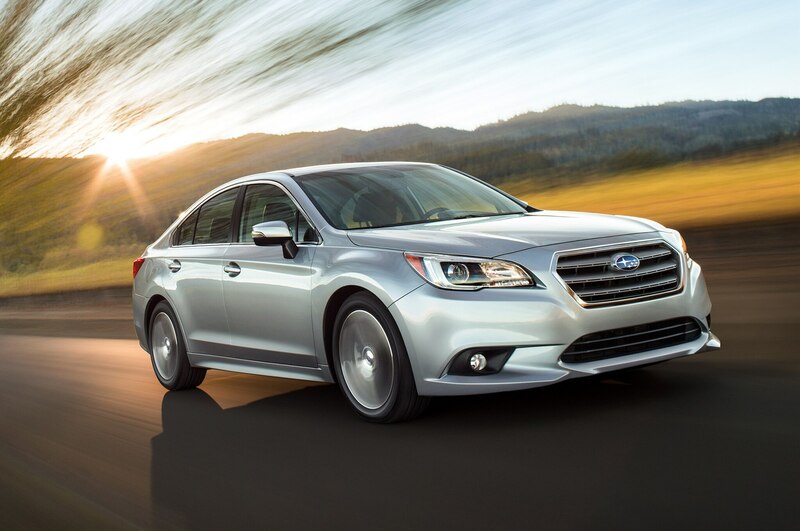 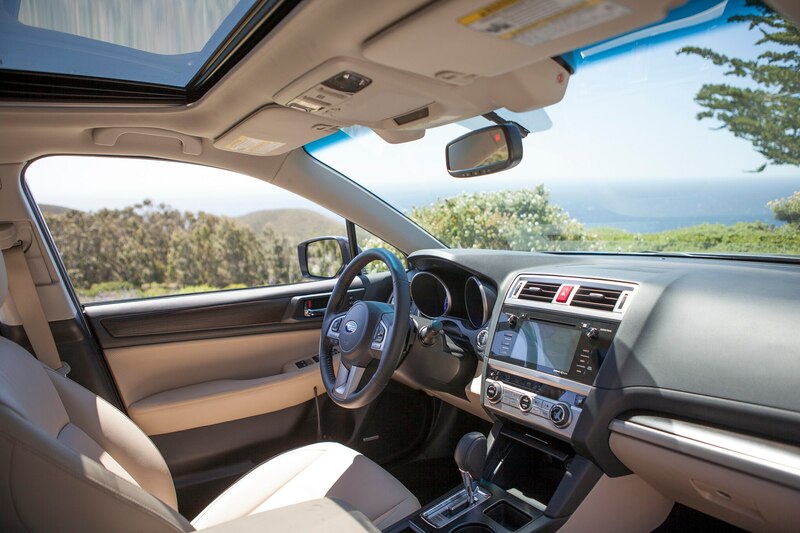 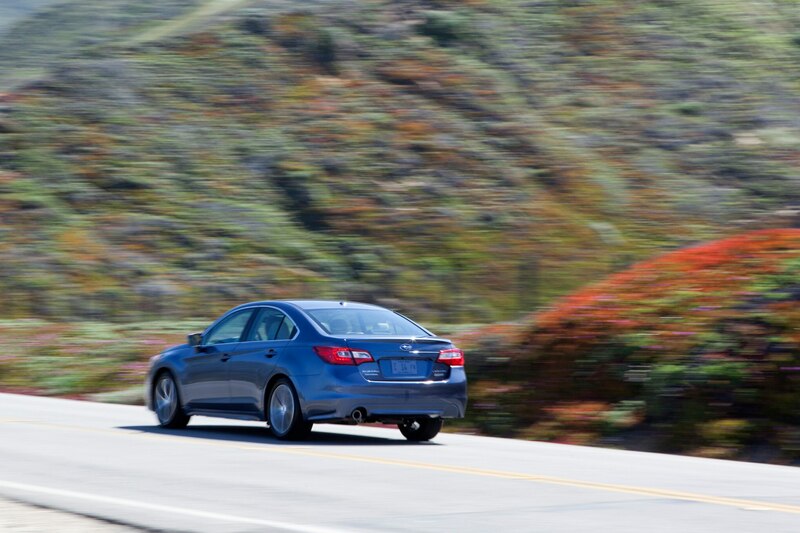 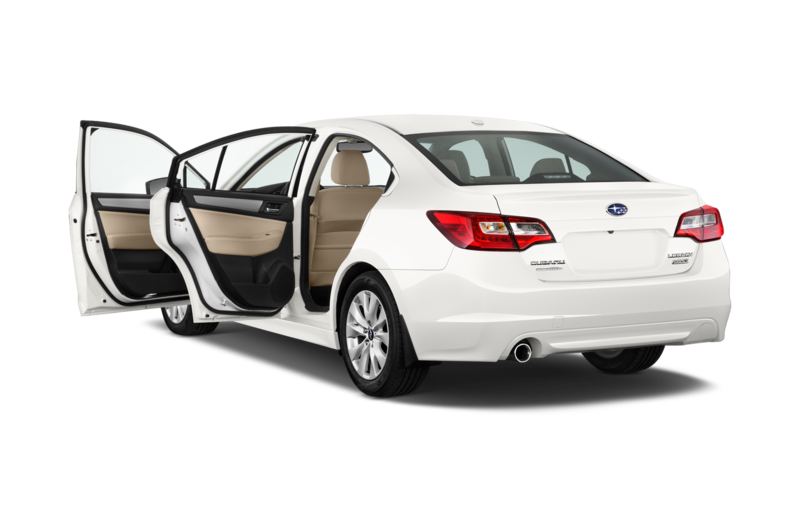 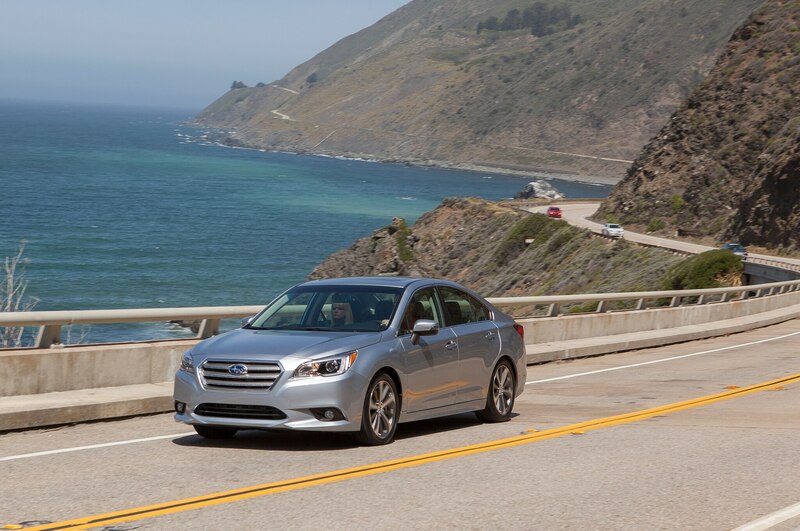 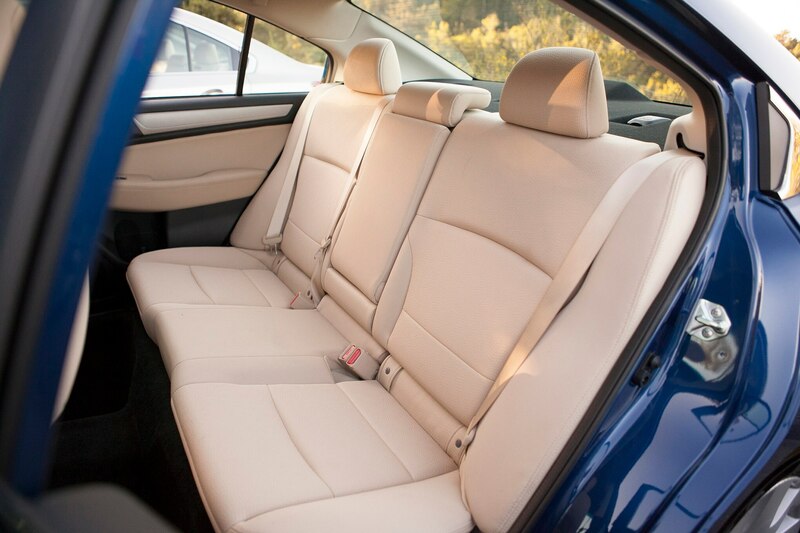 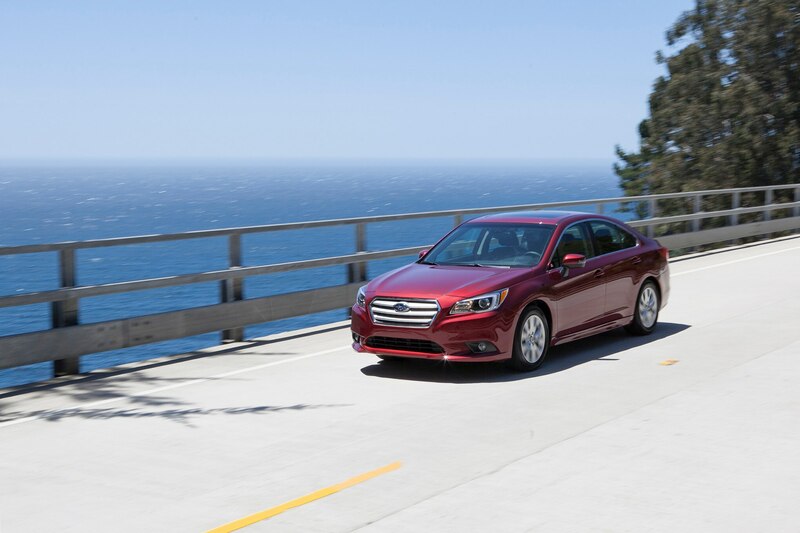 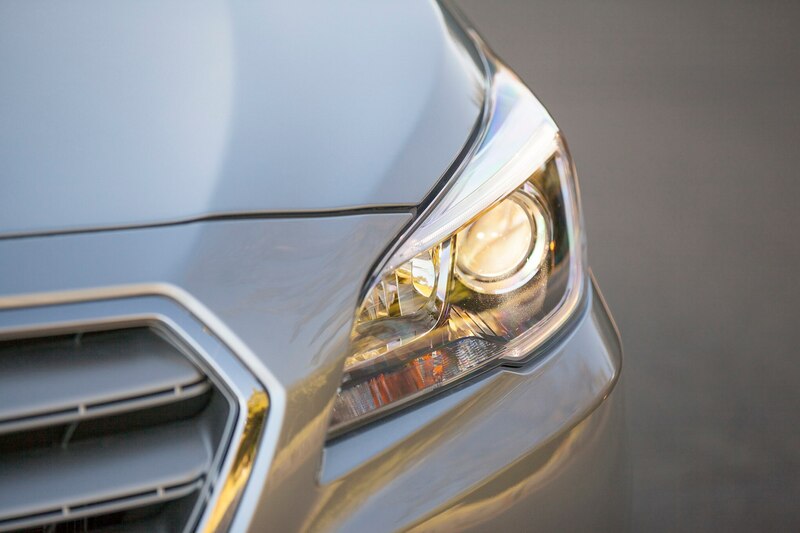 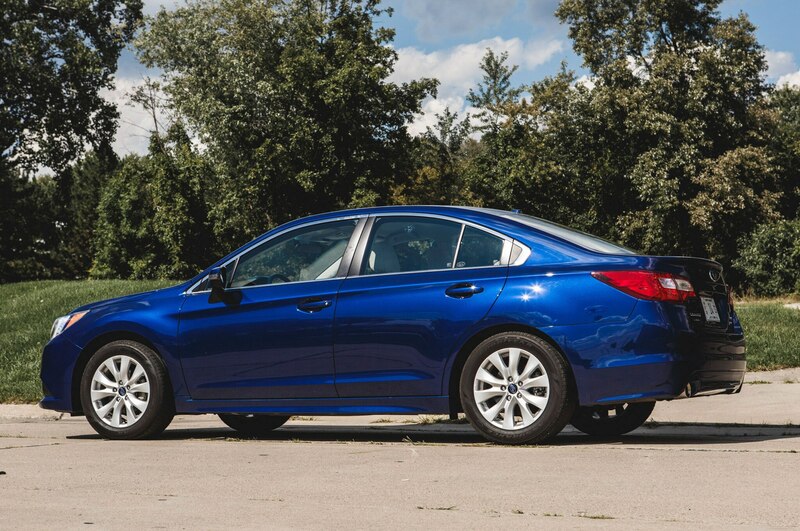 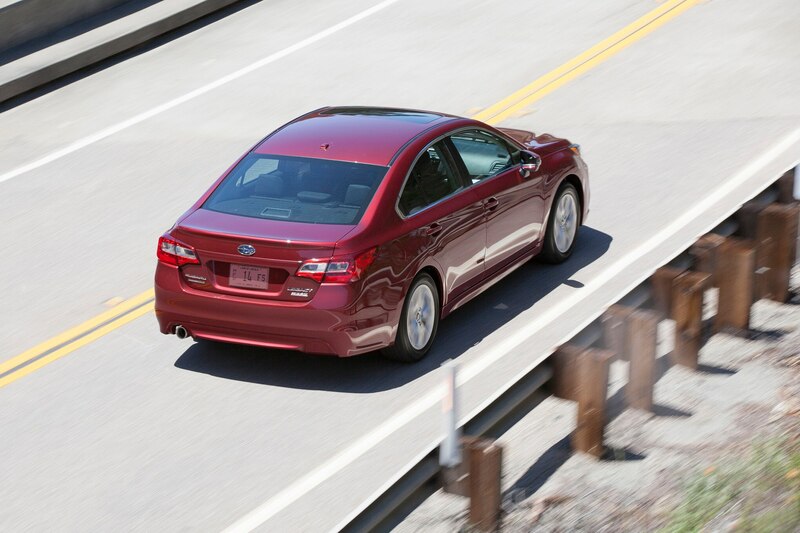 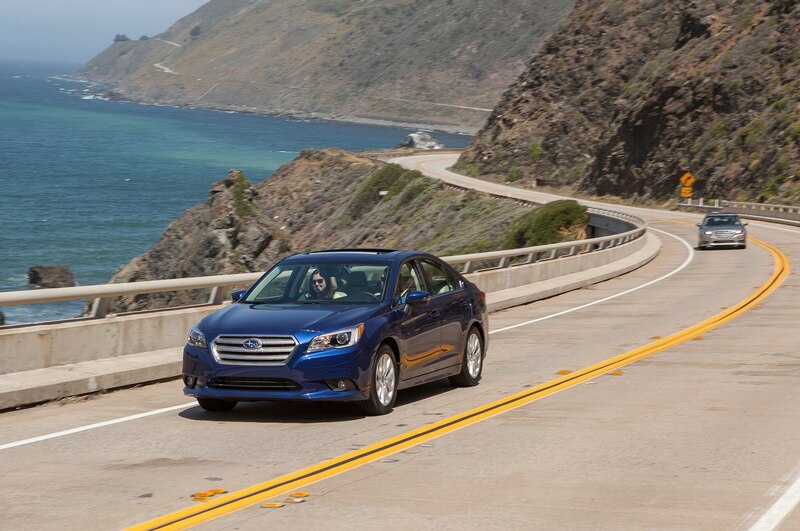 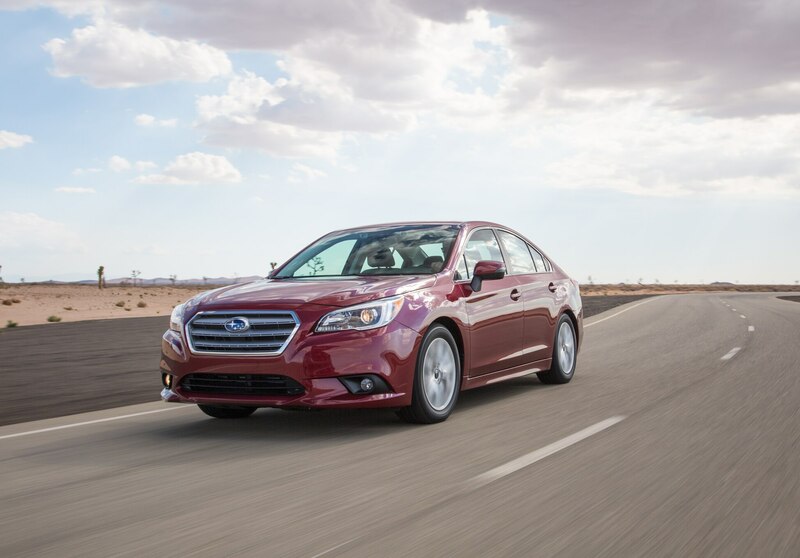 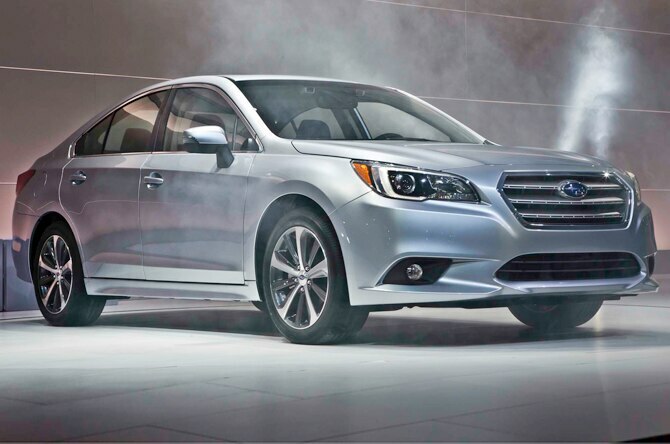 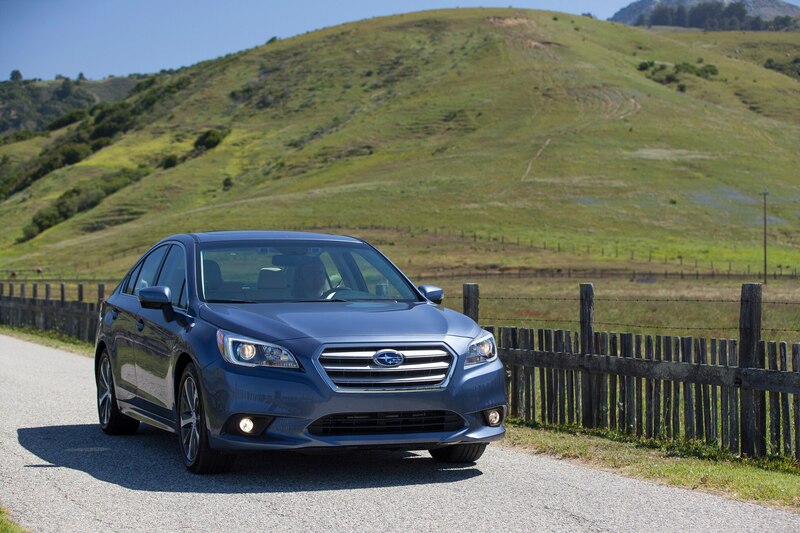 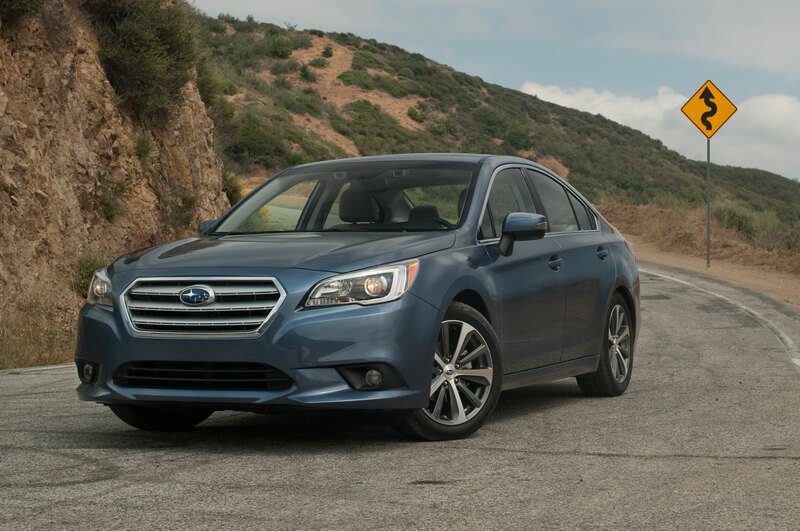 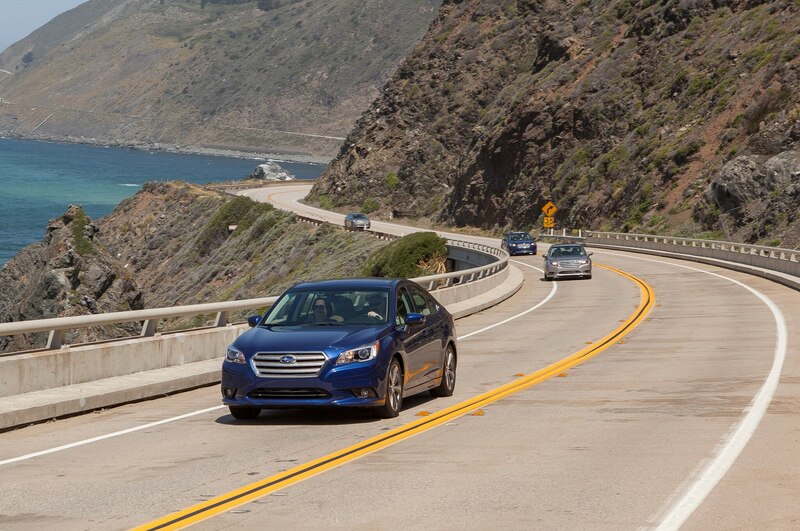 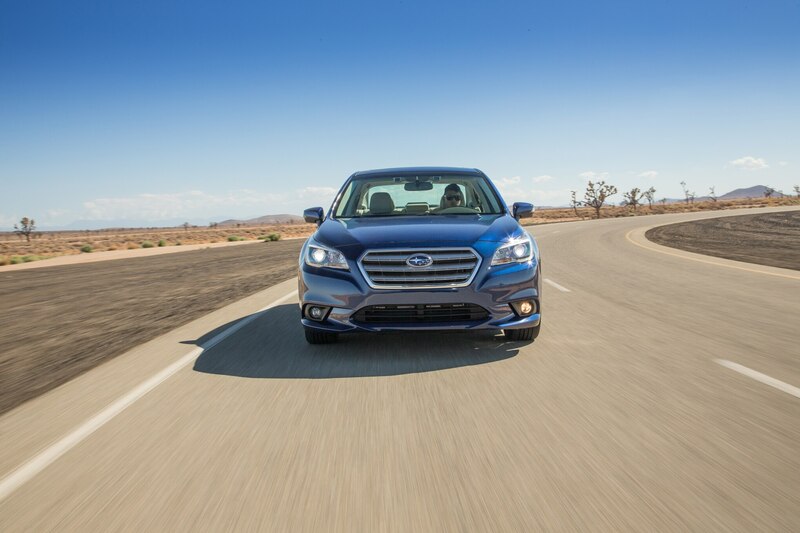 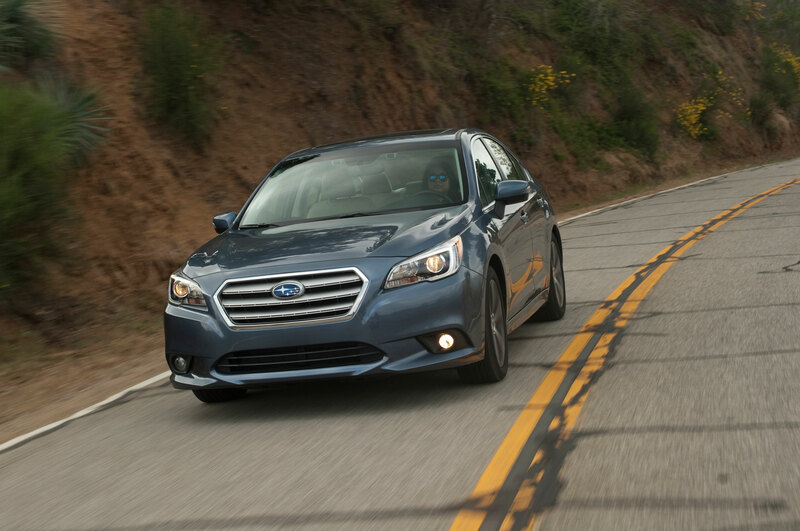 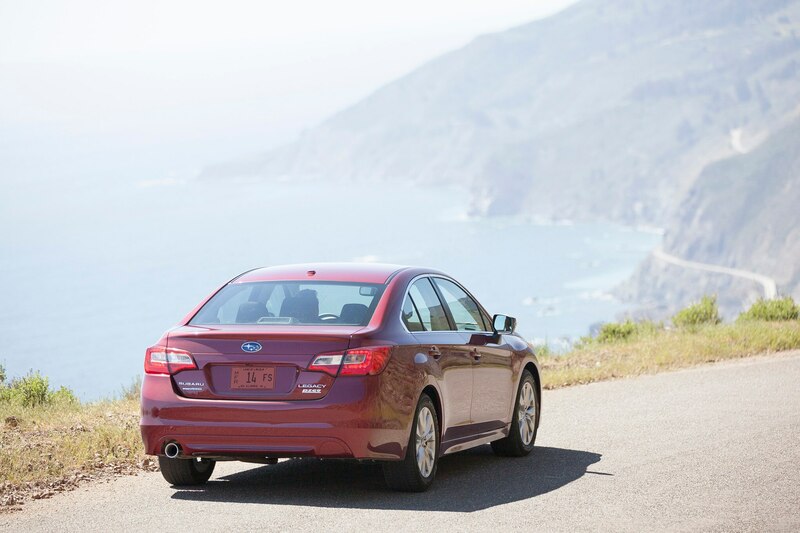 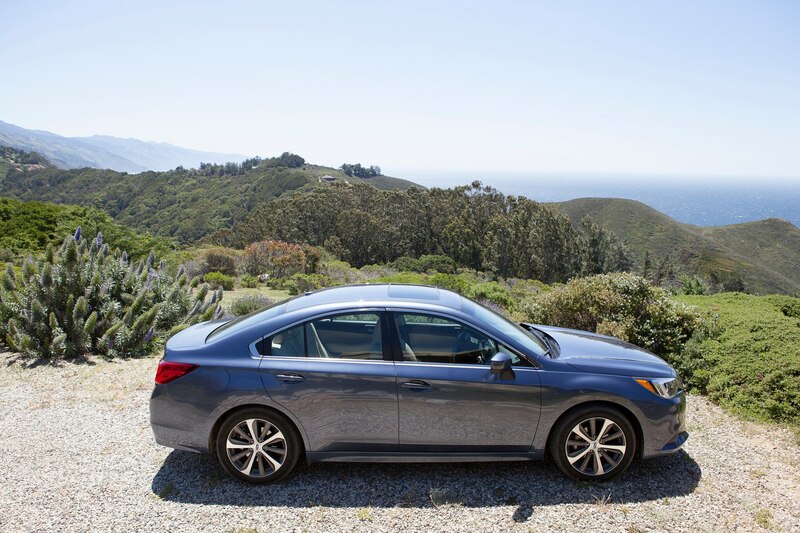 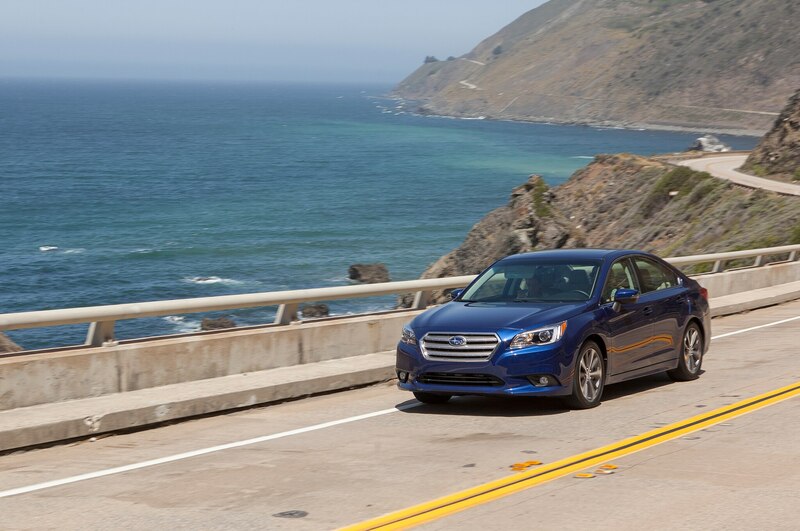 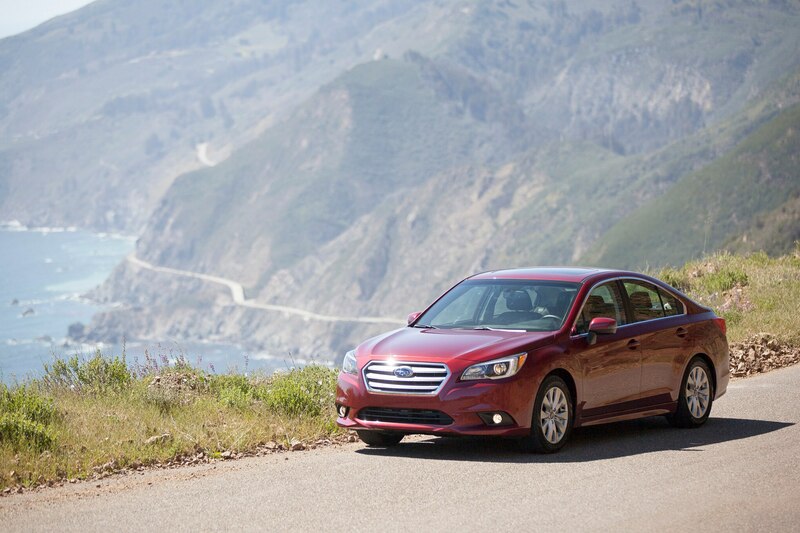 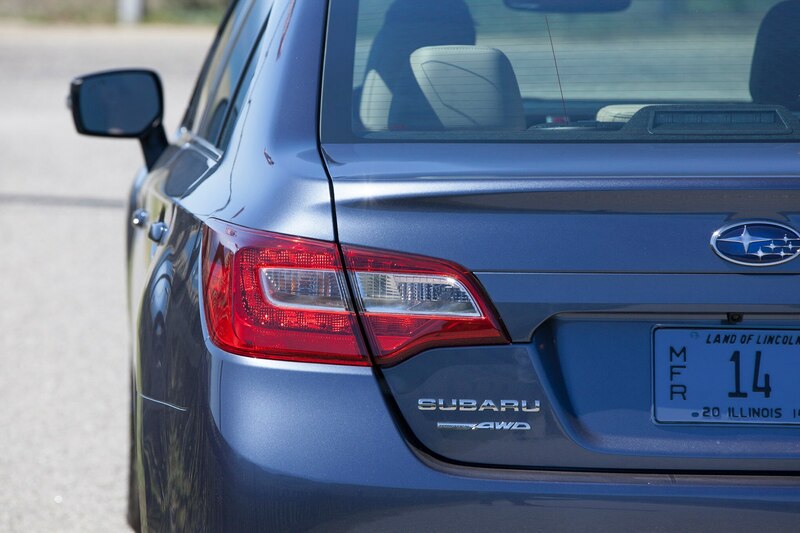 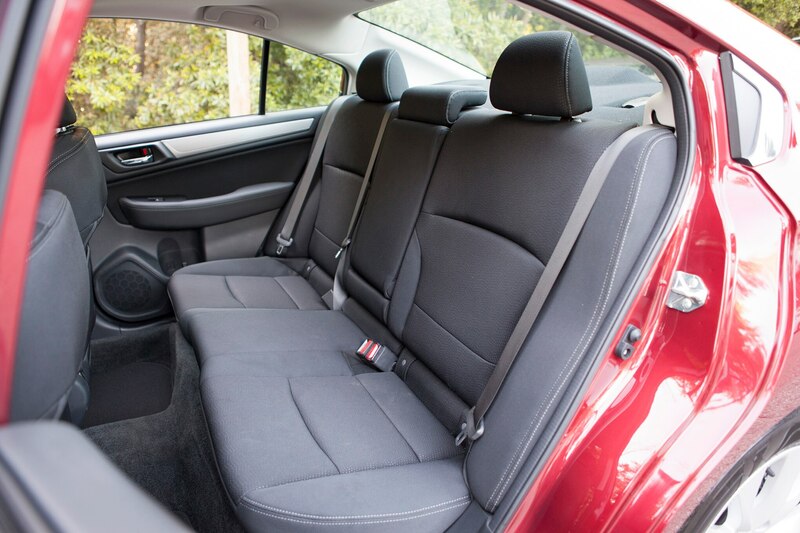 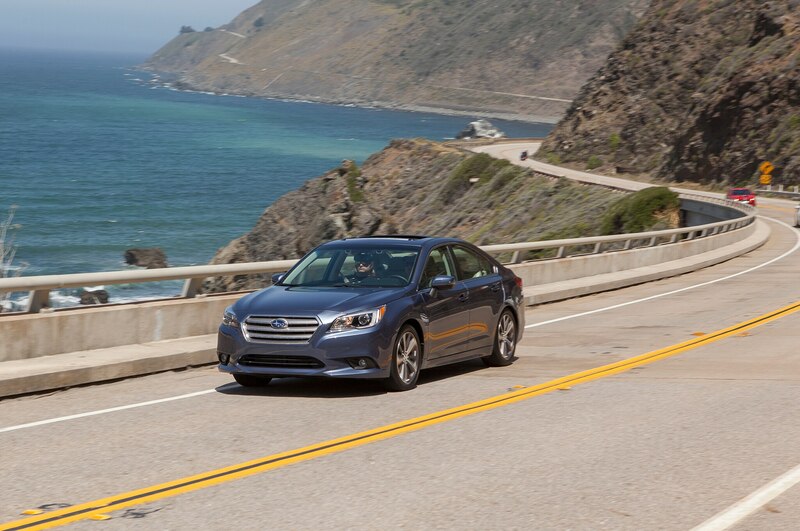 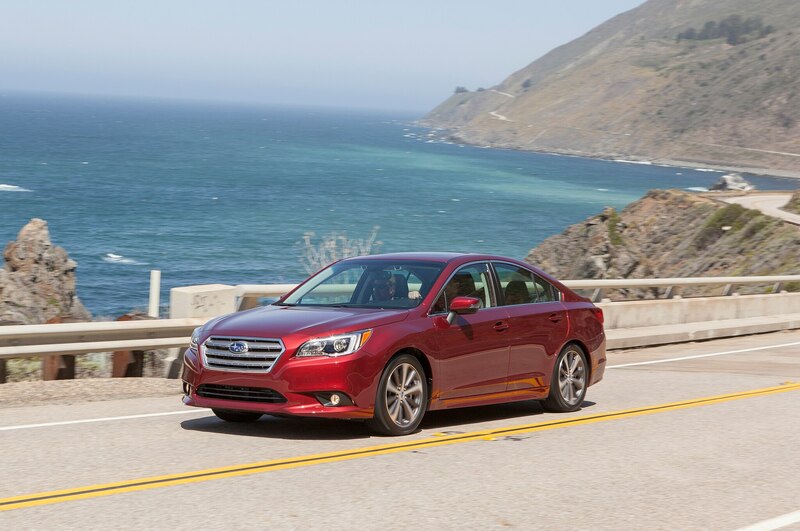 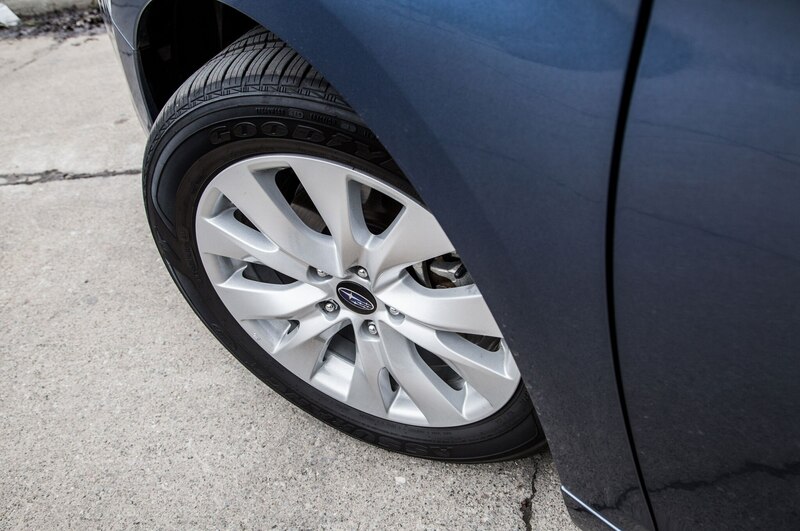 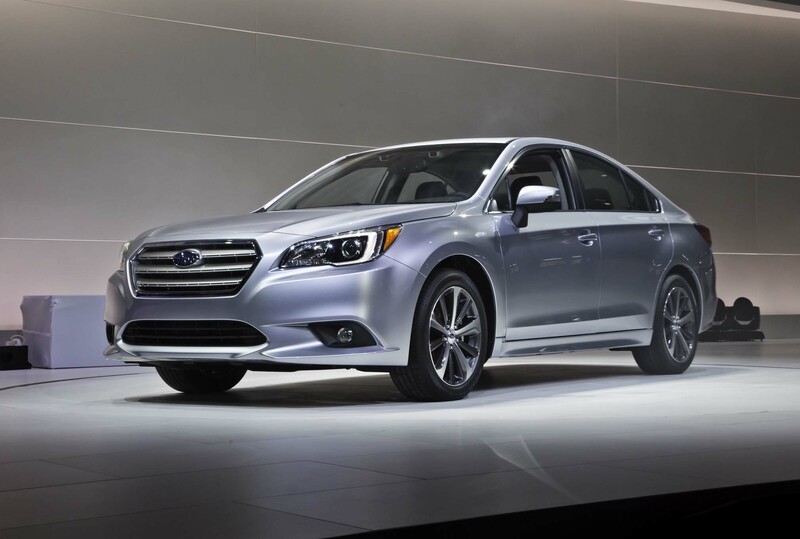 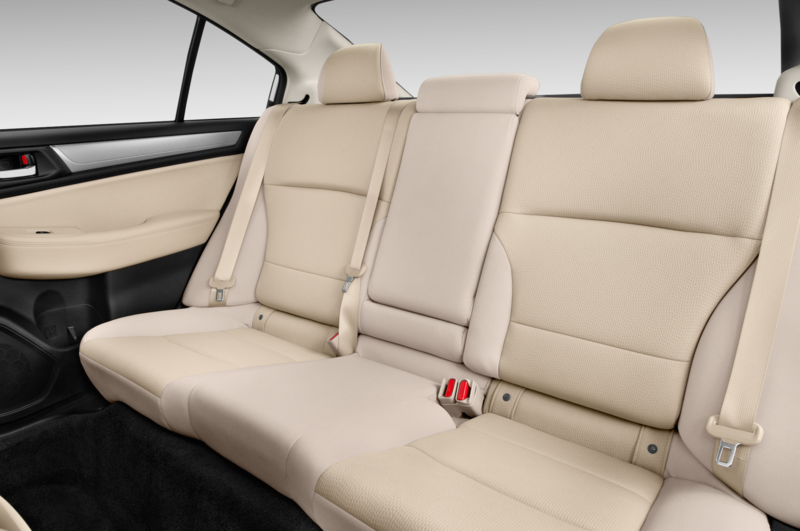 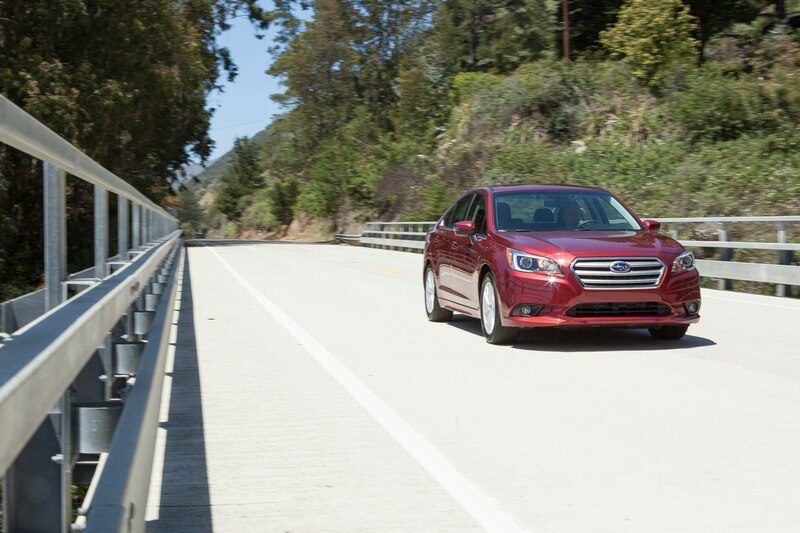 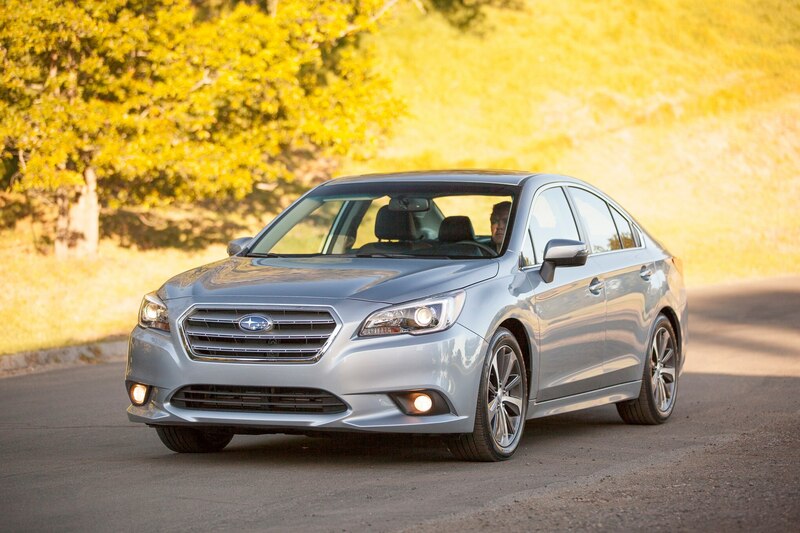 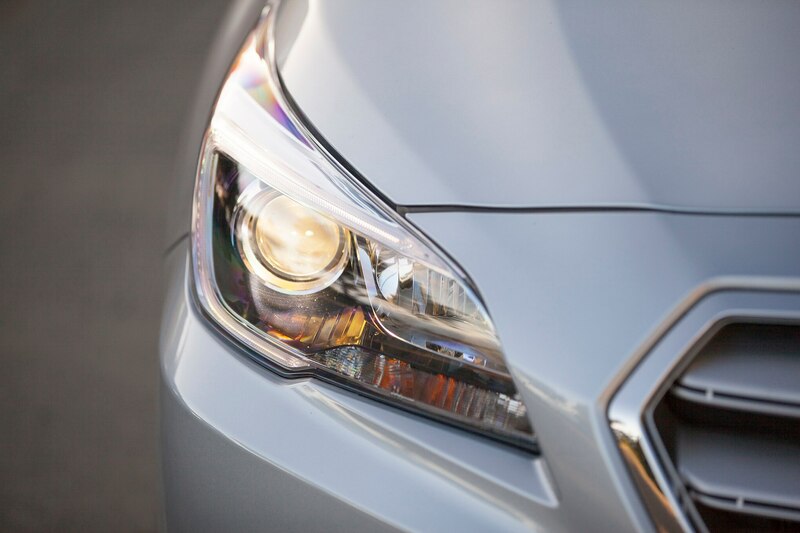 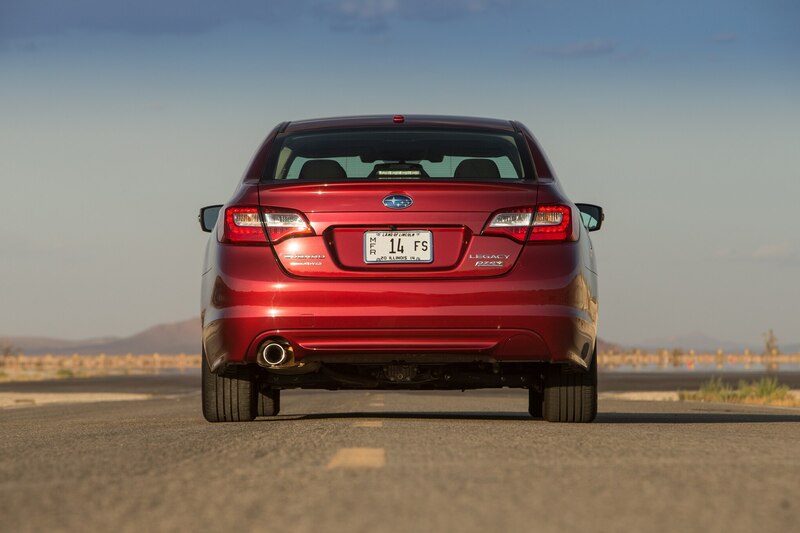 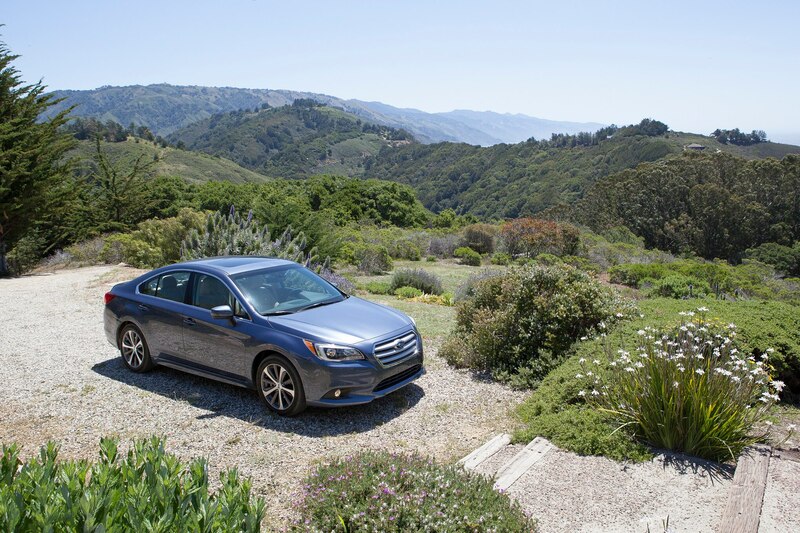 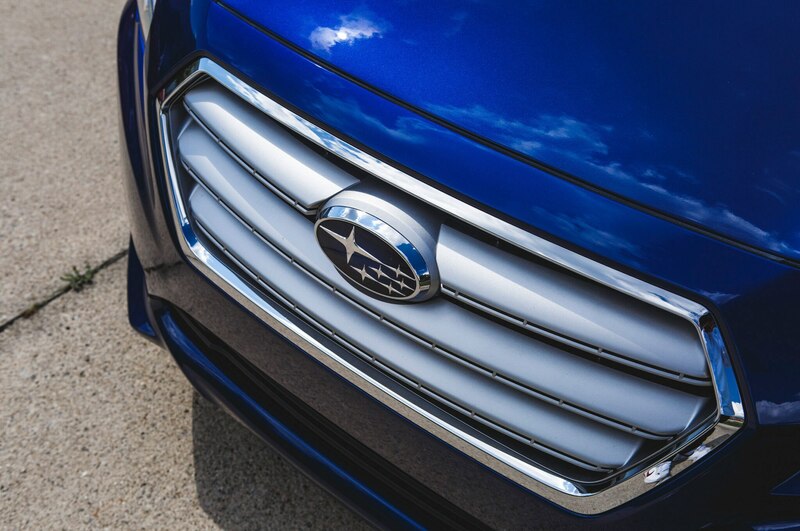 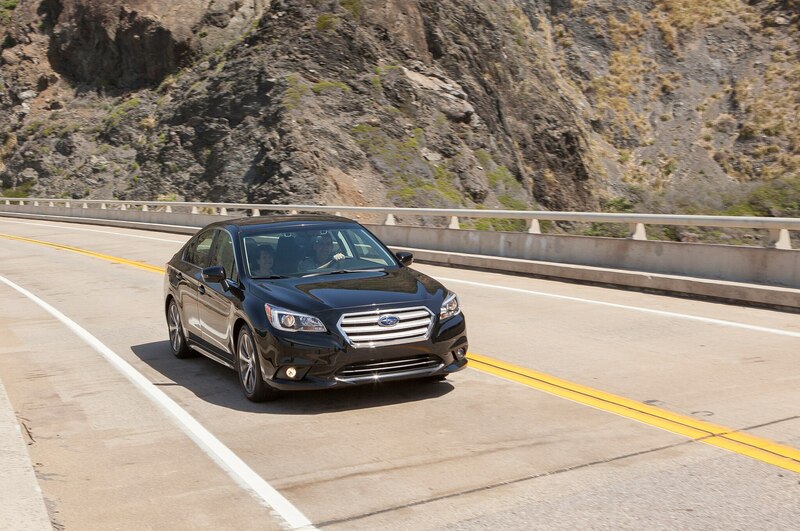 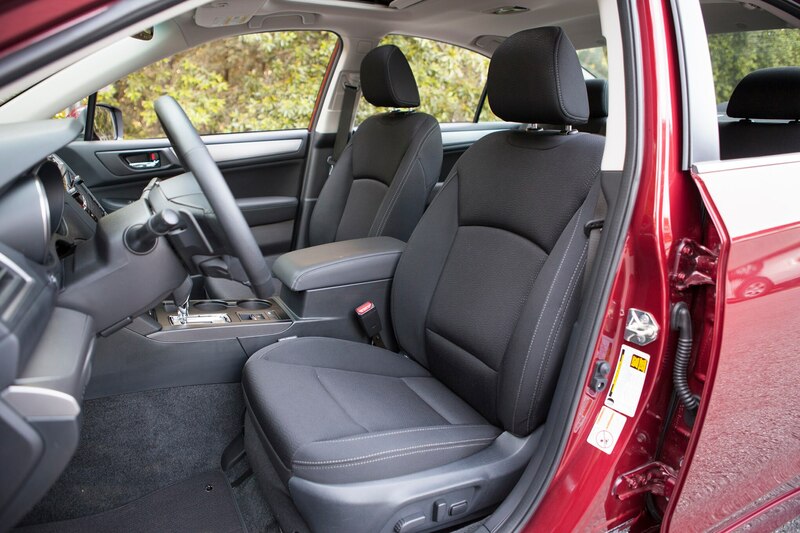 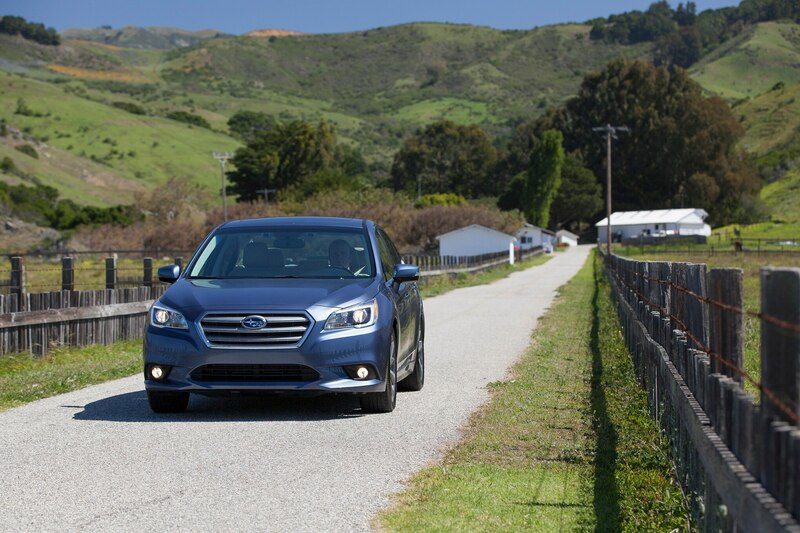 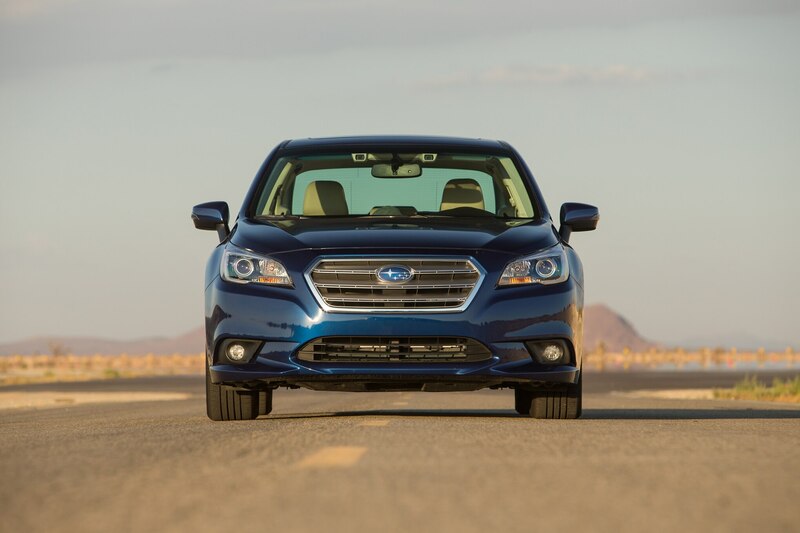 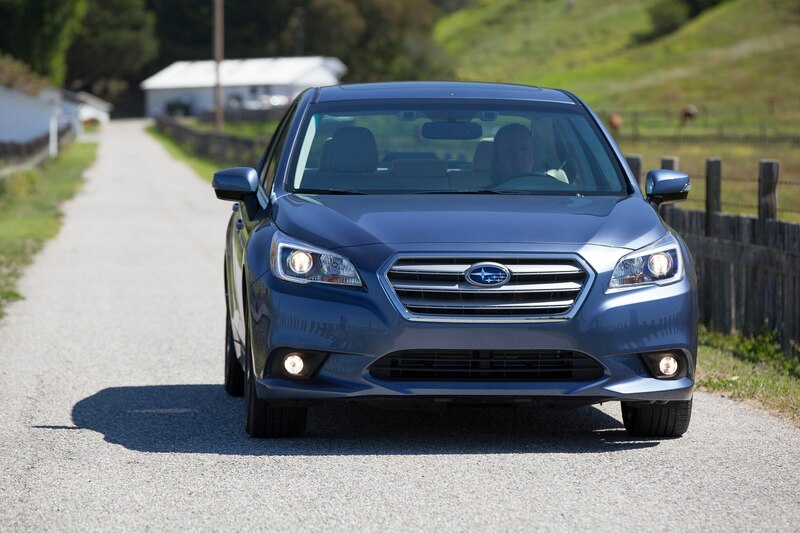 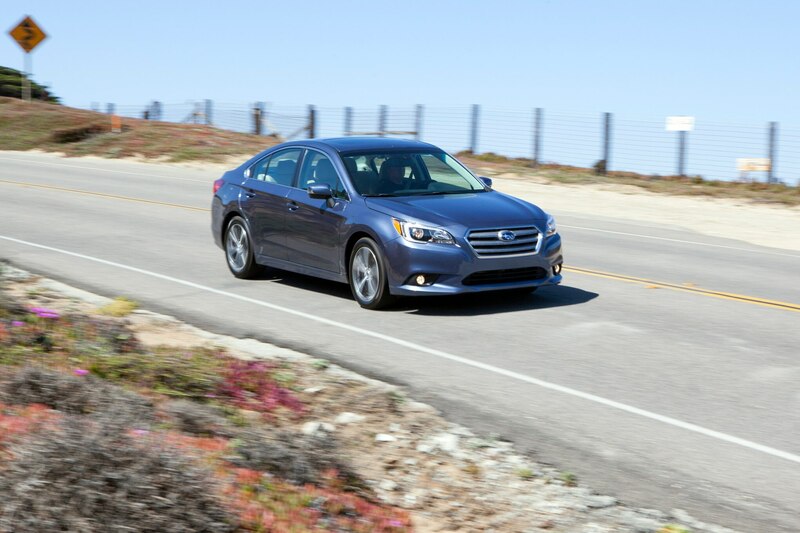 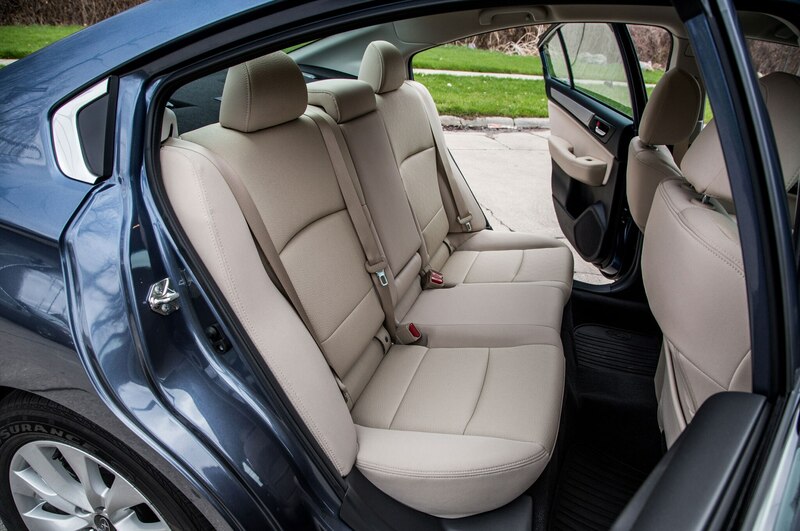 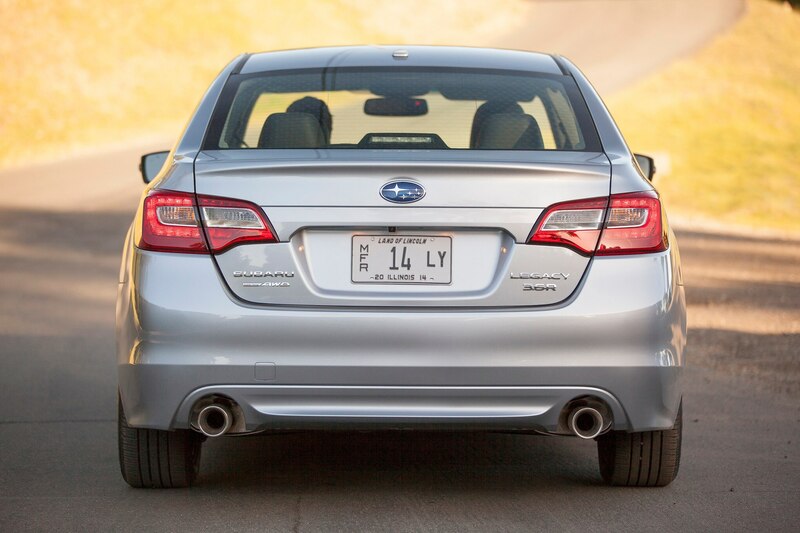 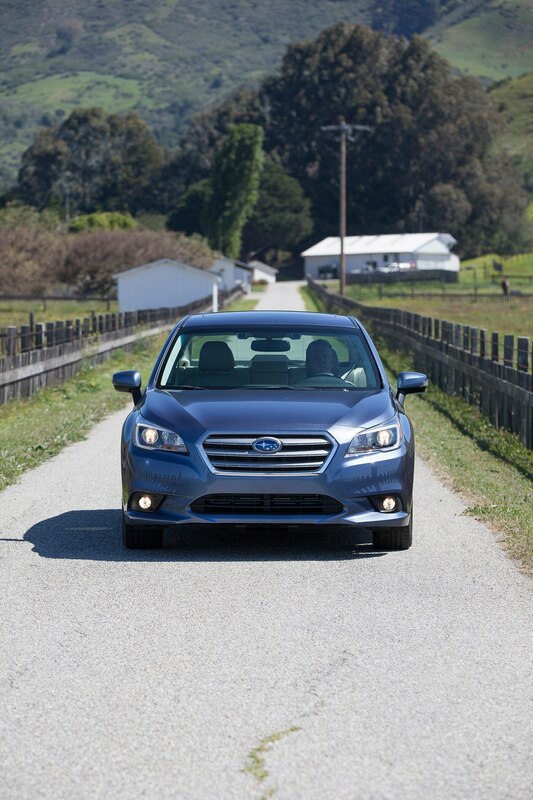 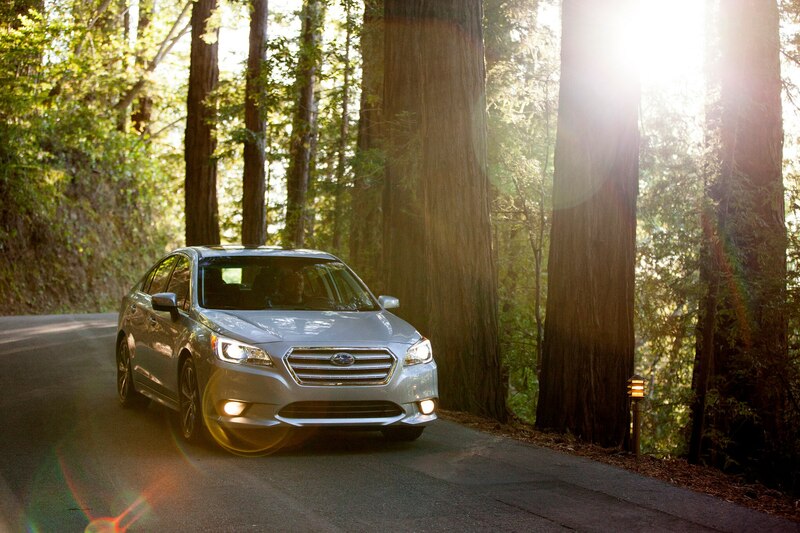 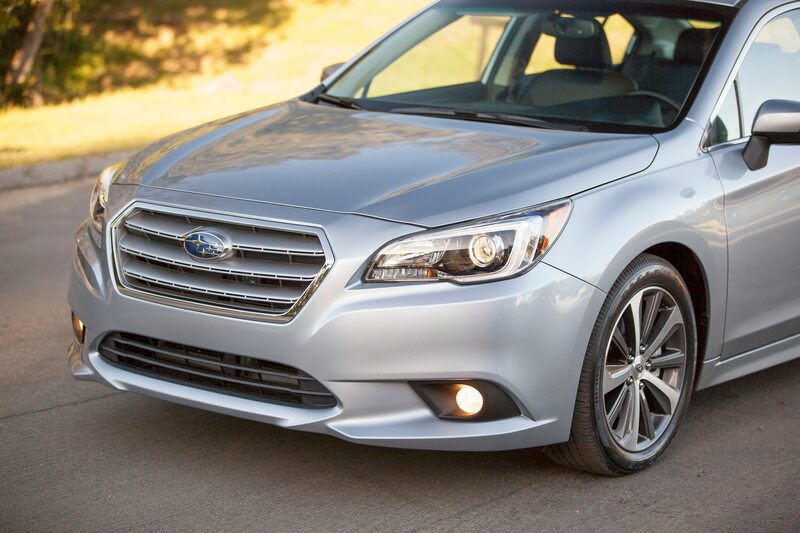 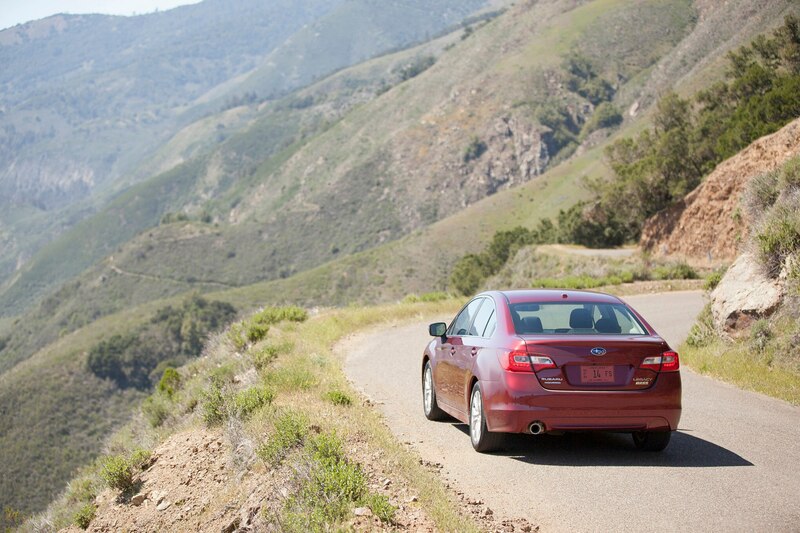 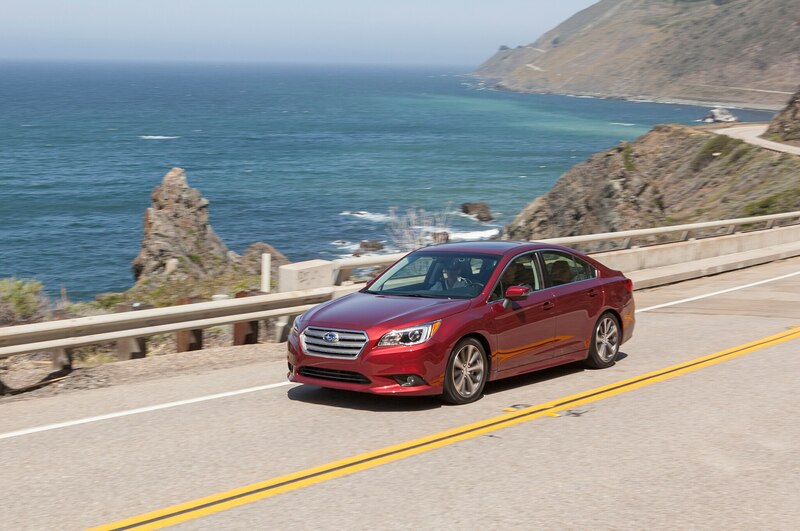 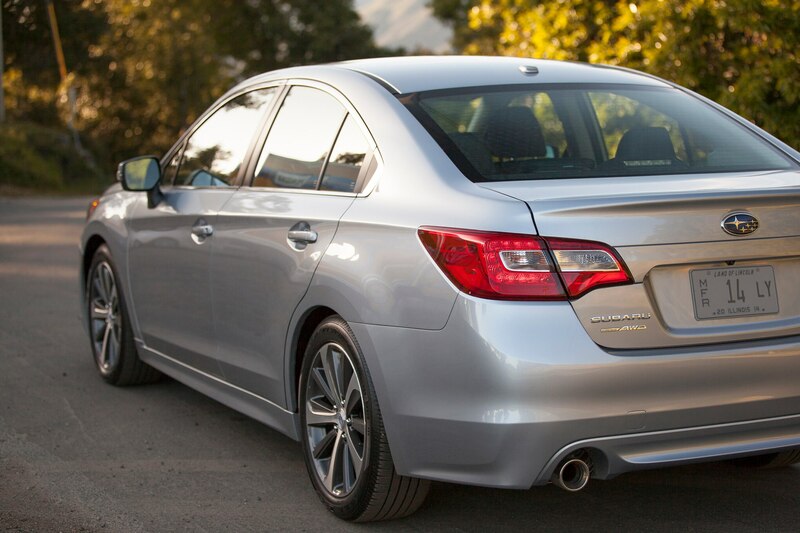 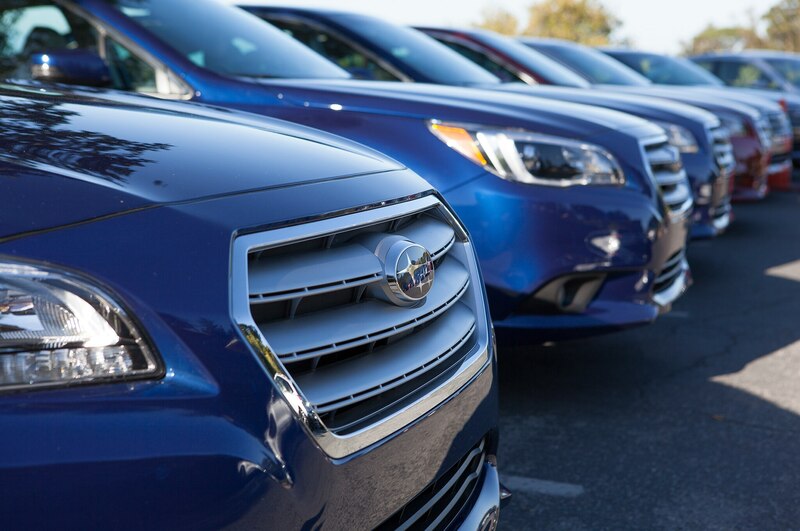 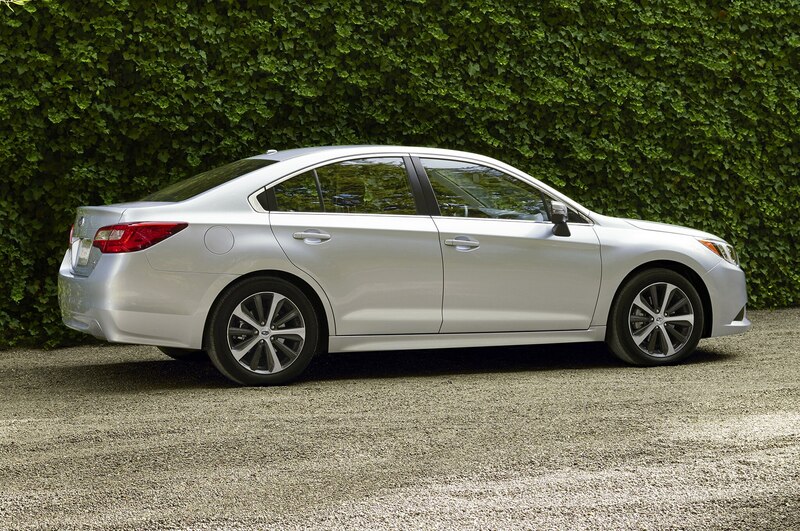 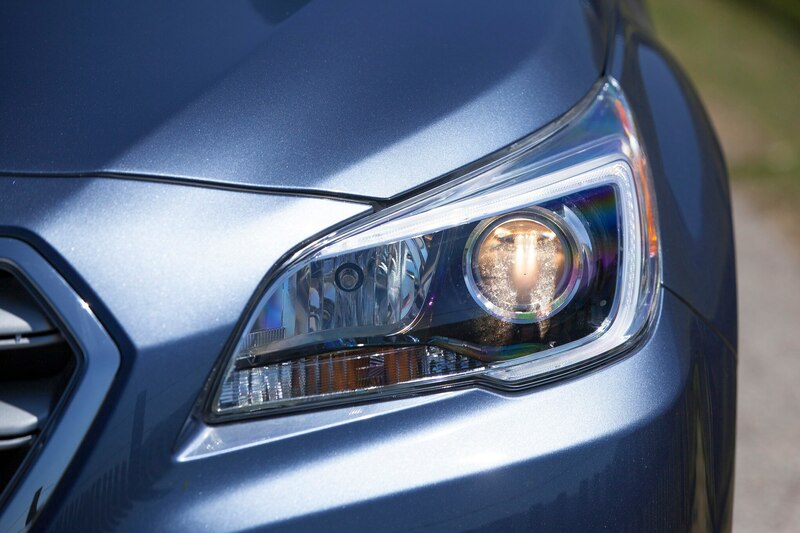 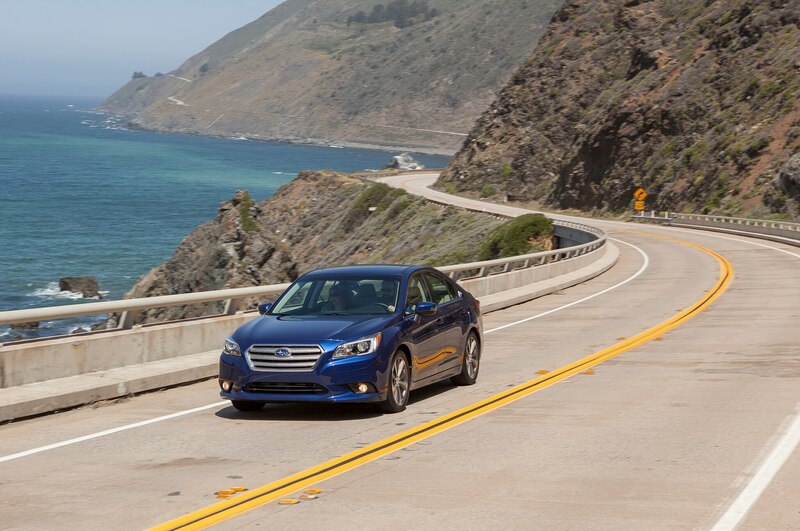 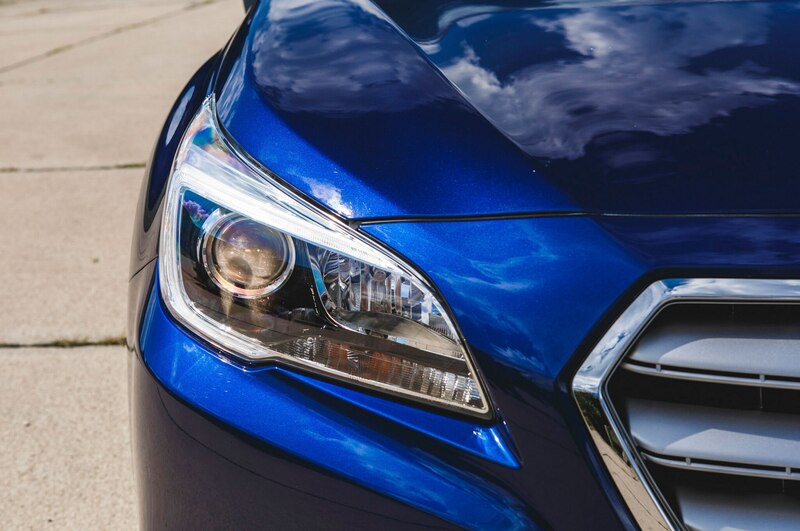 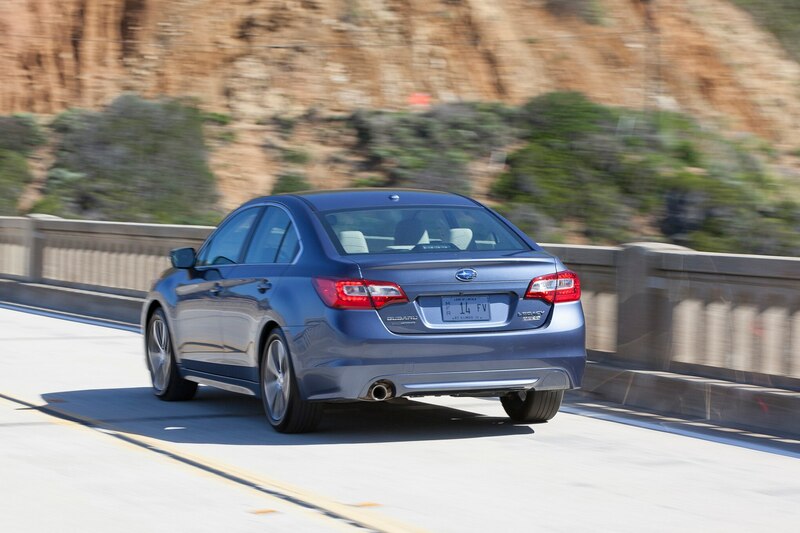 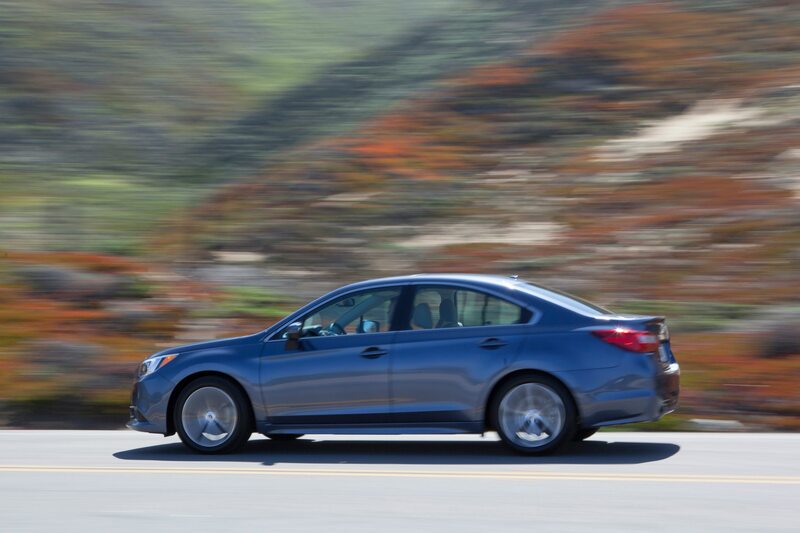 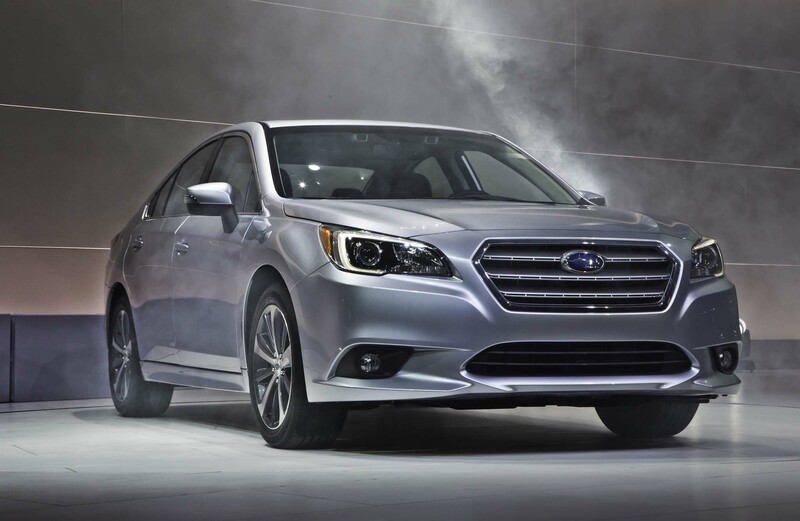 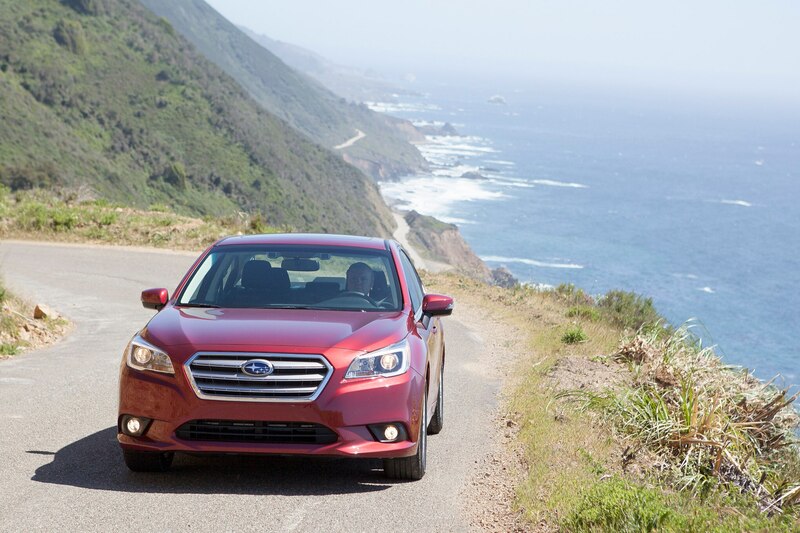 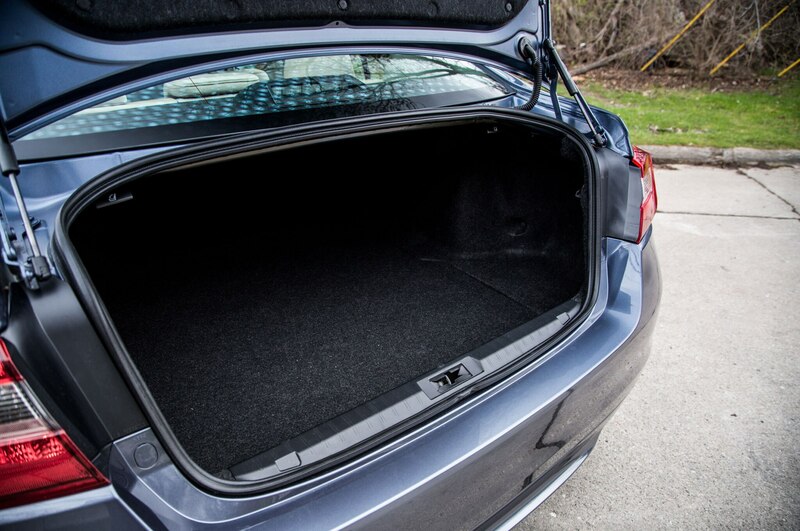 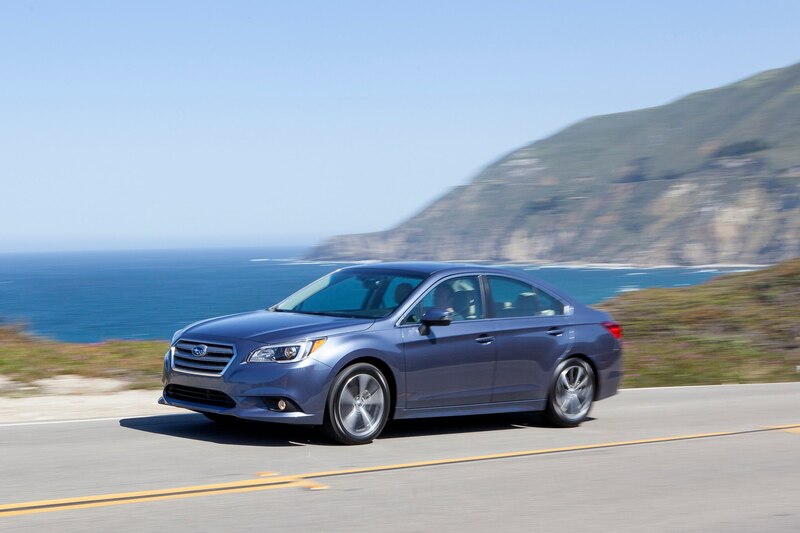 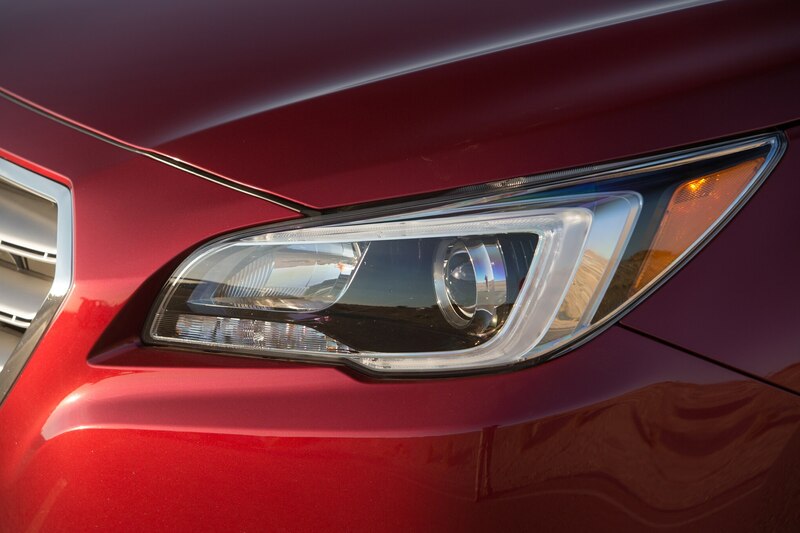 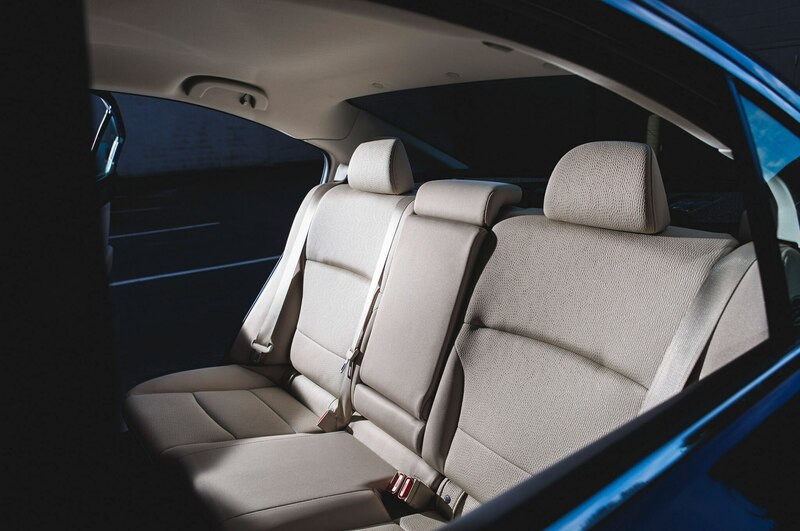 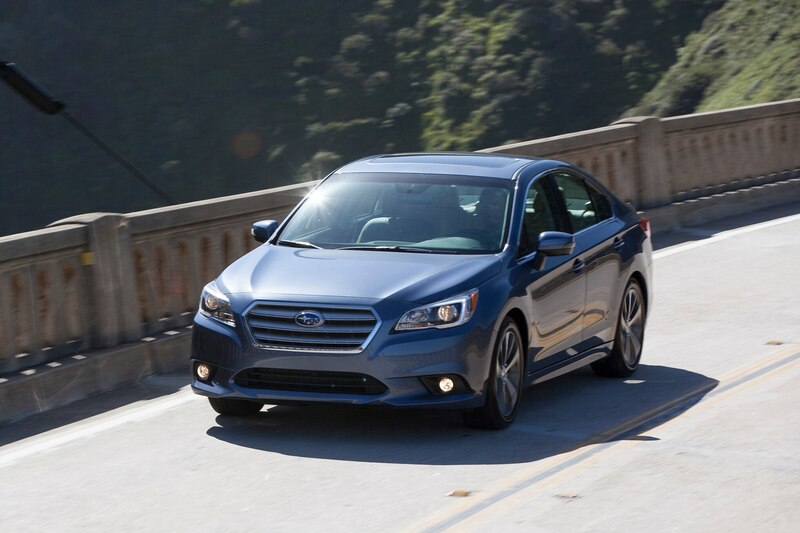 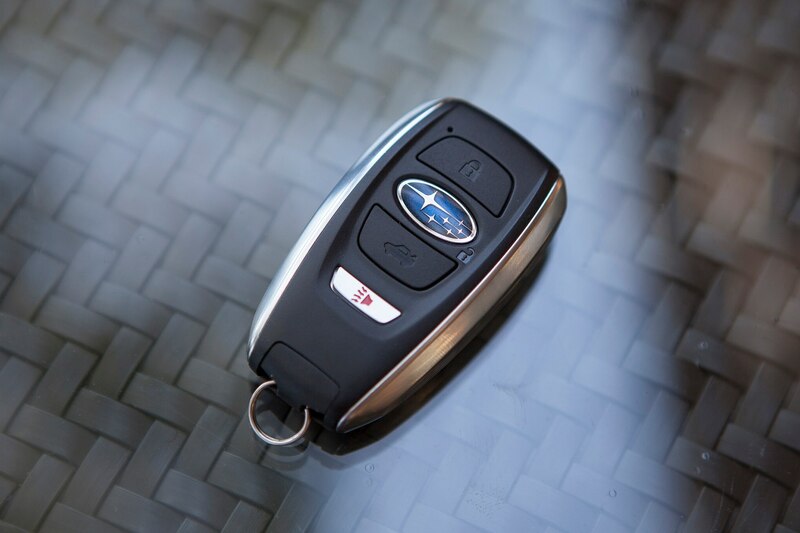 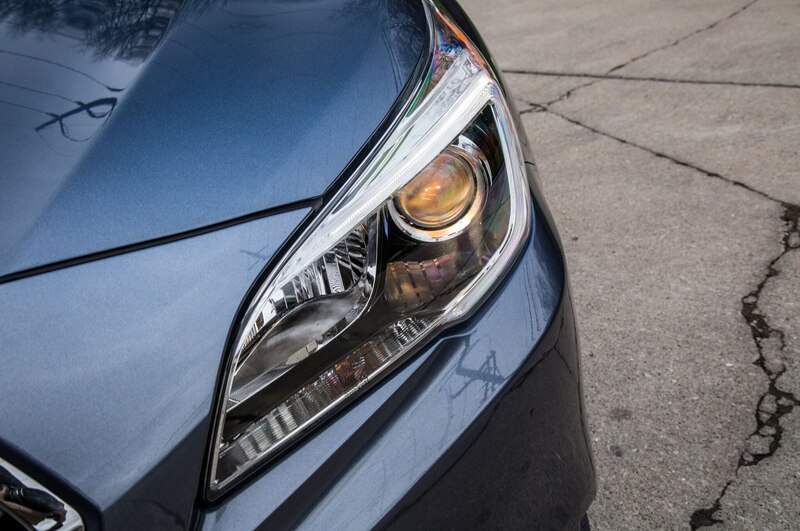 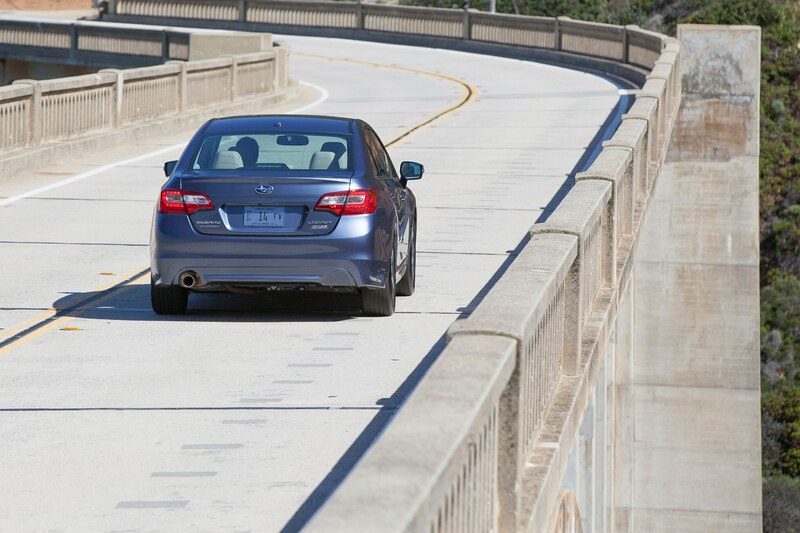 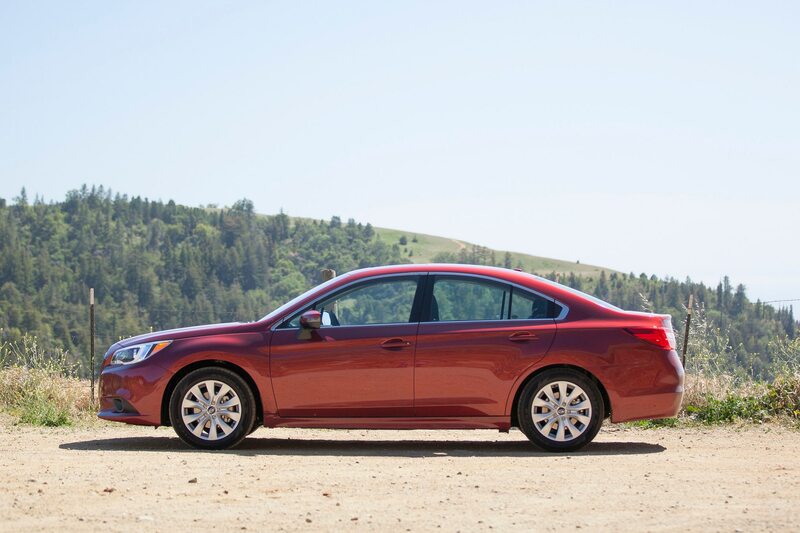 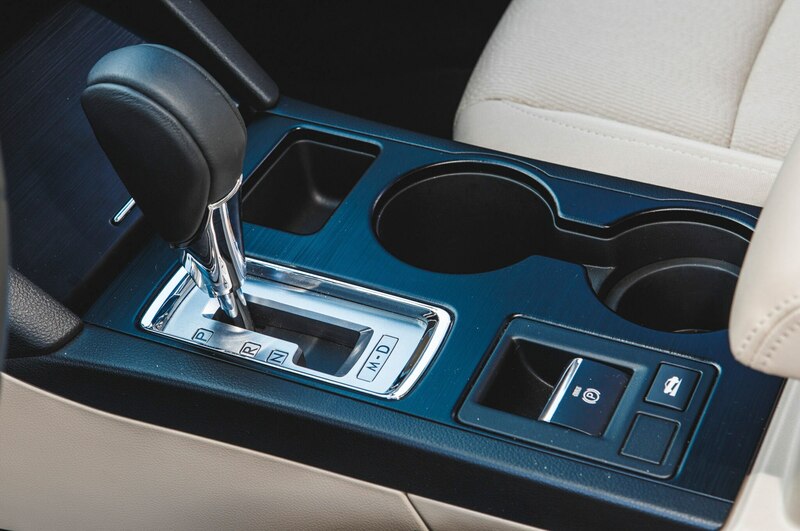 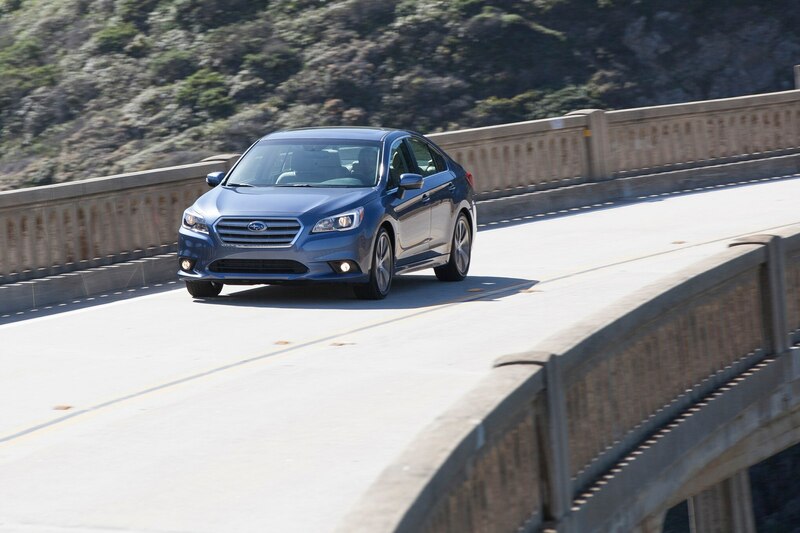 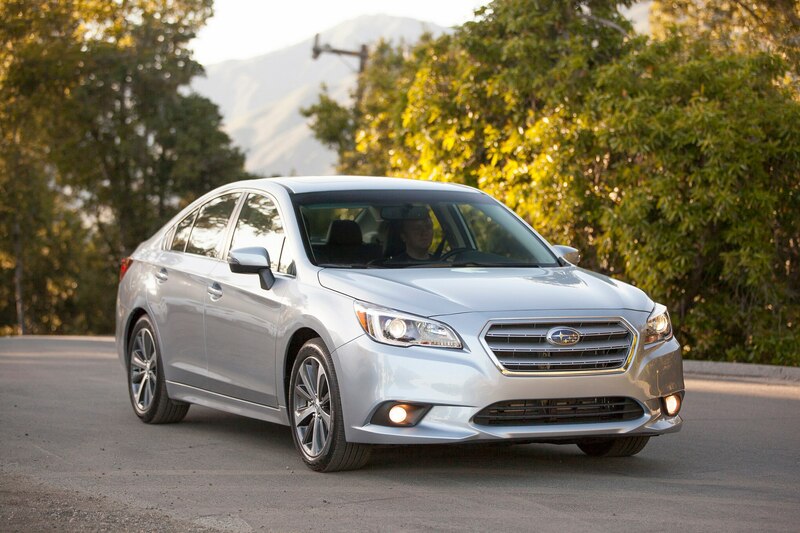 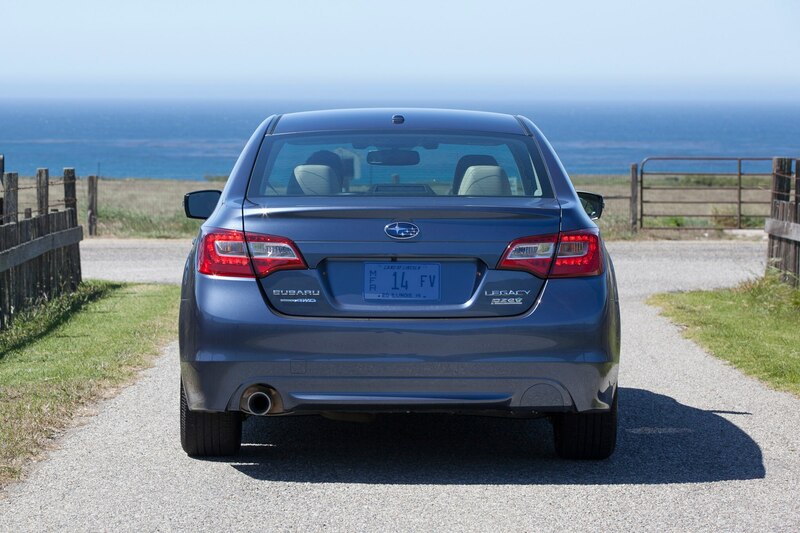 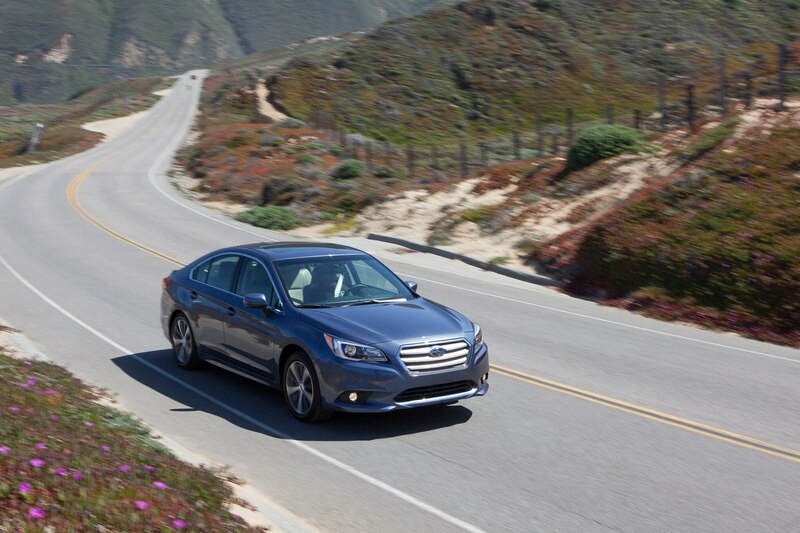 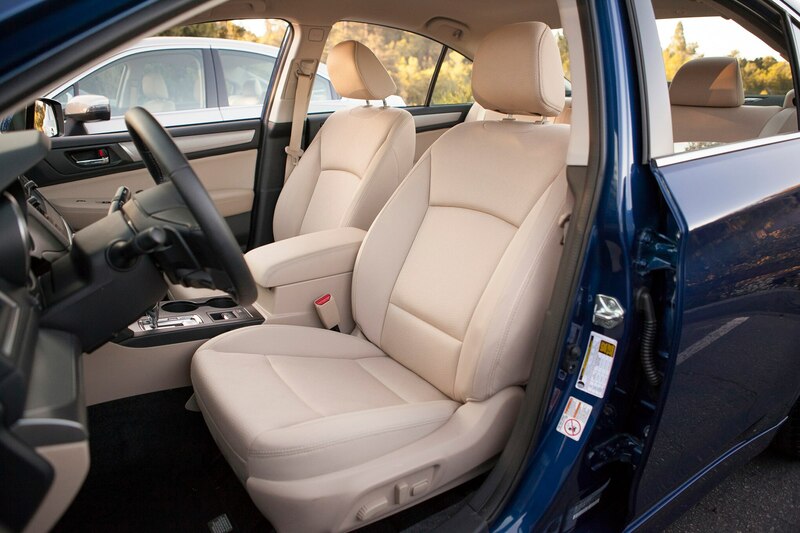 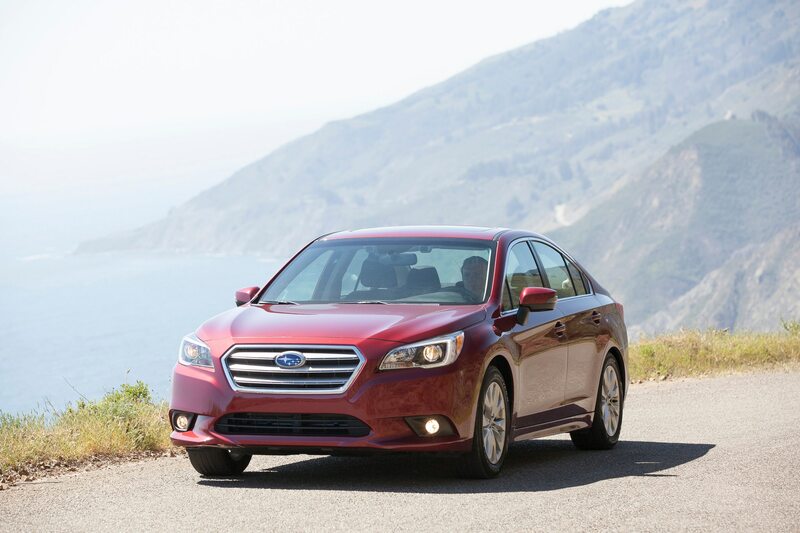 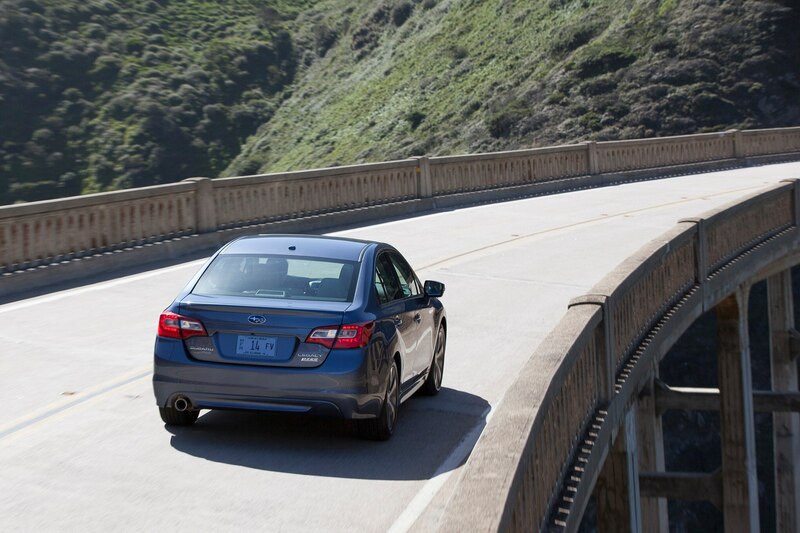 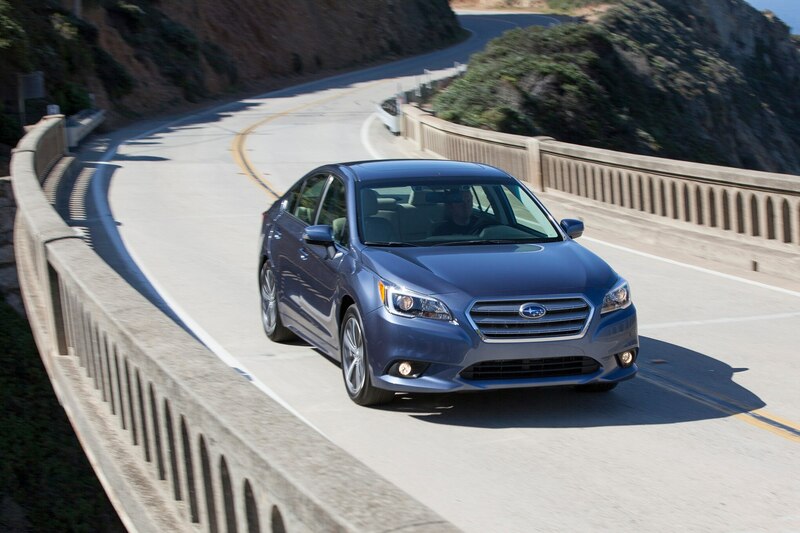 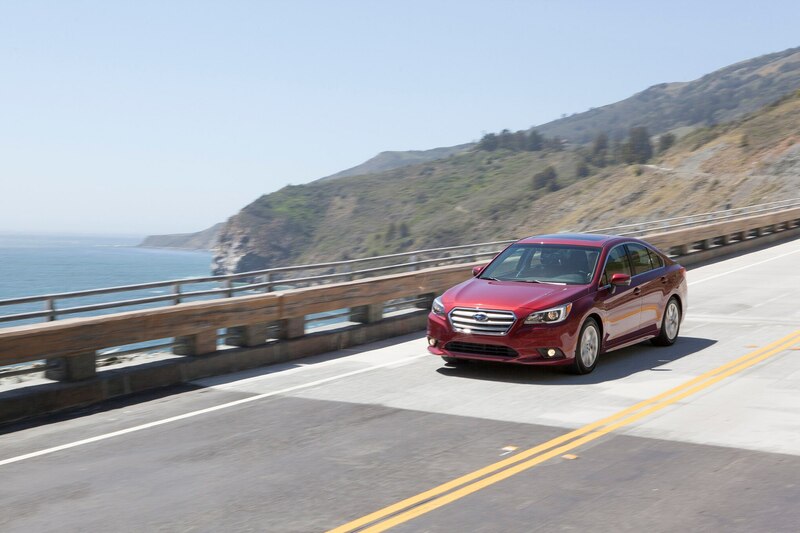 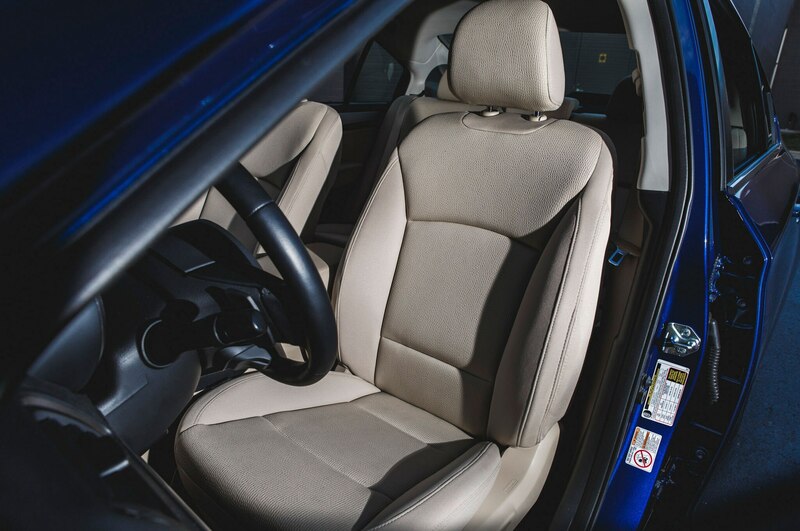 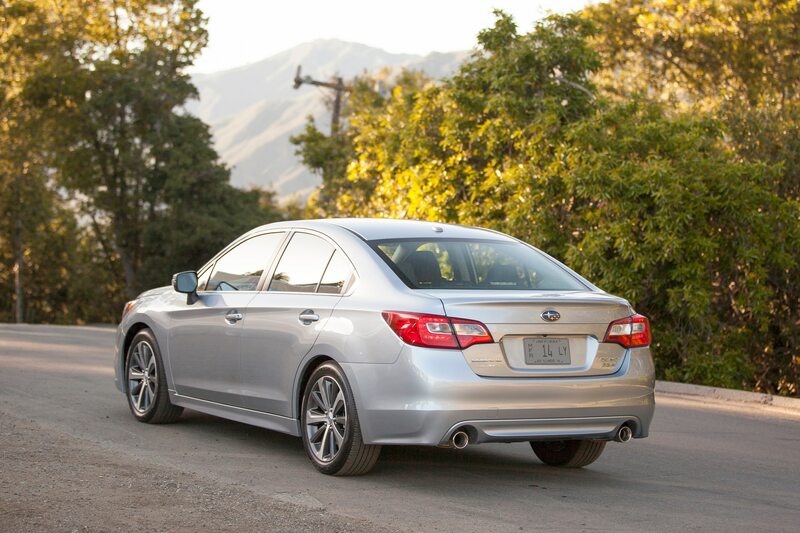 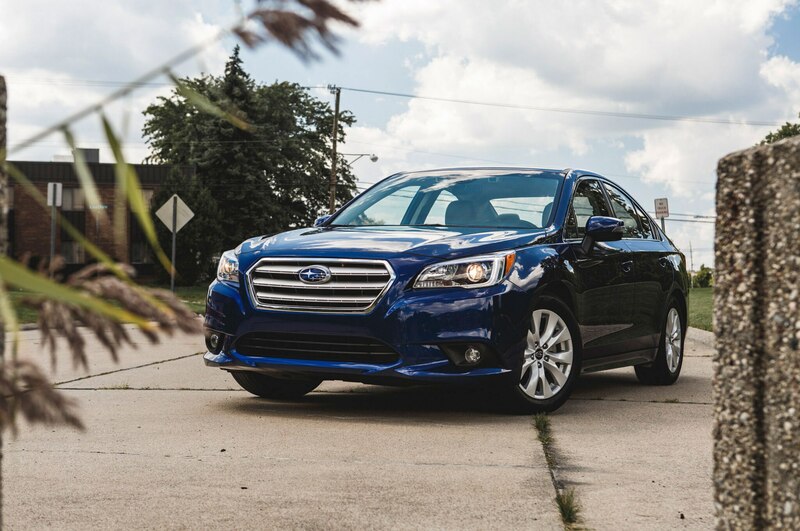 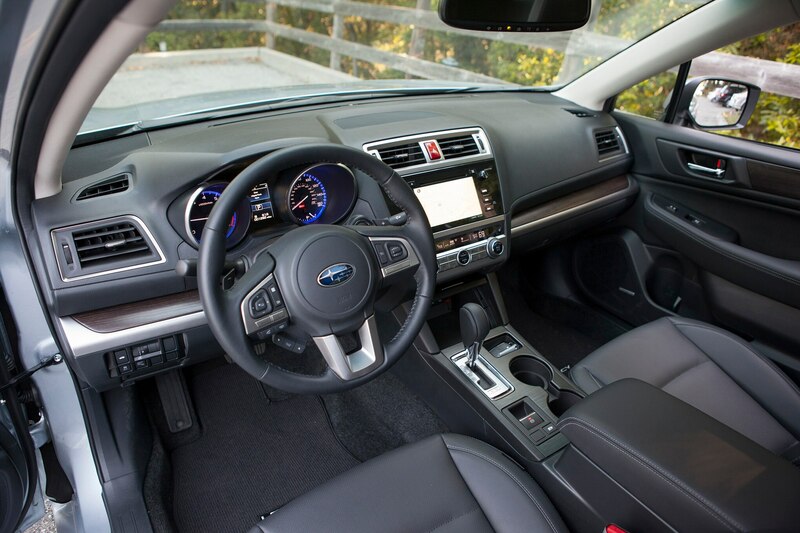 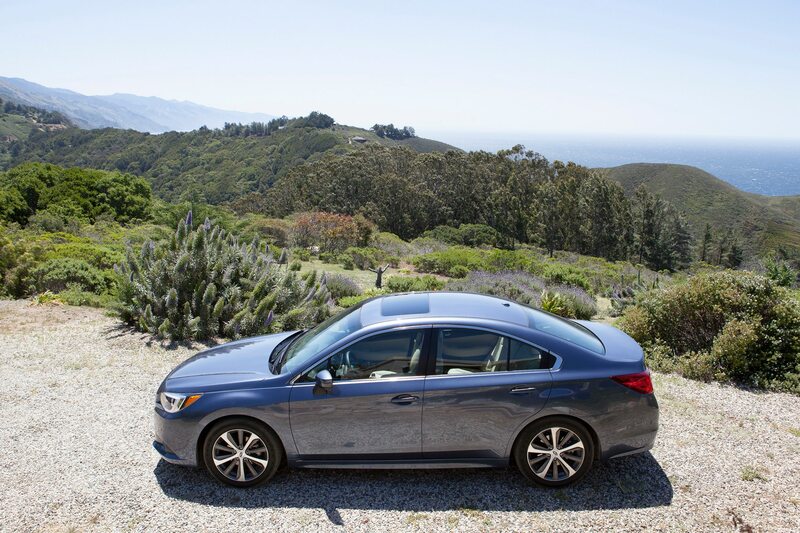 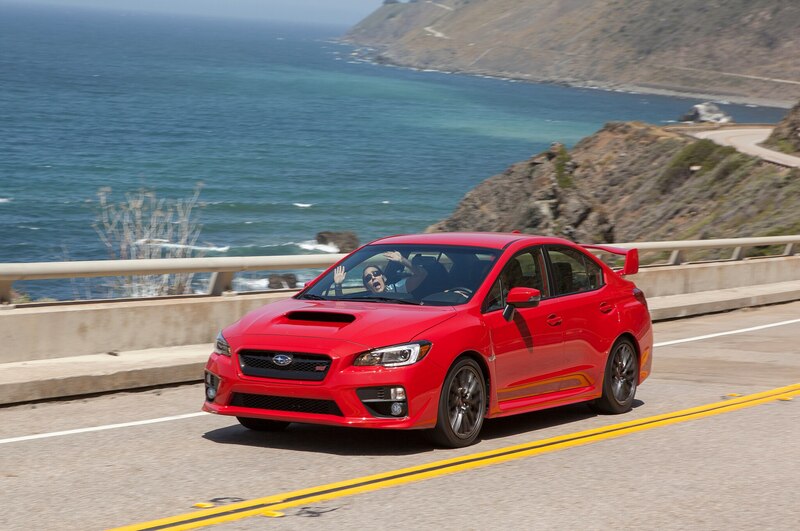 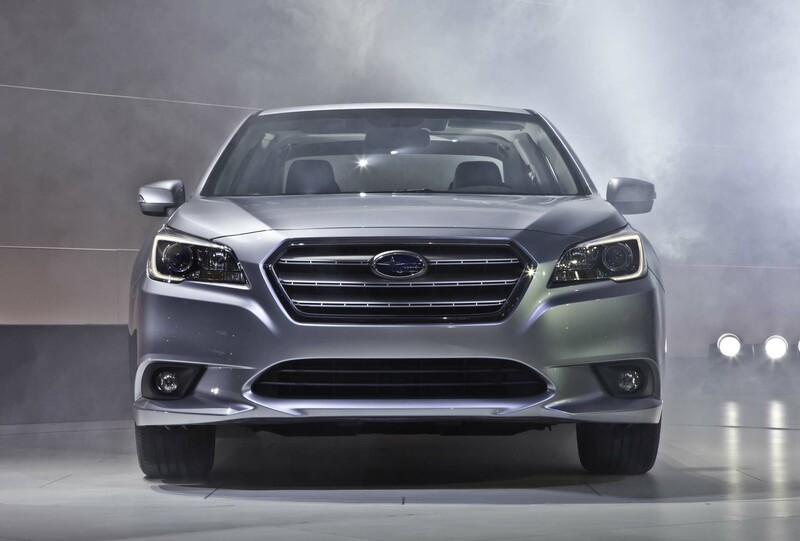 Driving the 2015 Subaru Legacy is now just as pleasant as driving any of its rivals. 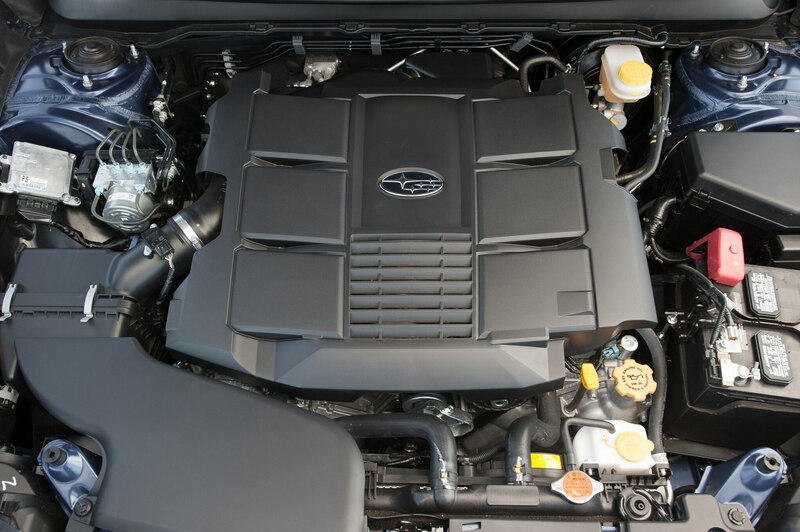 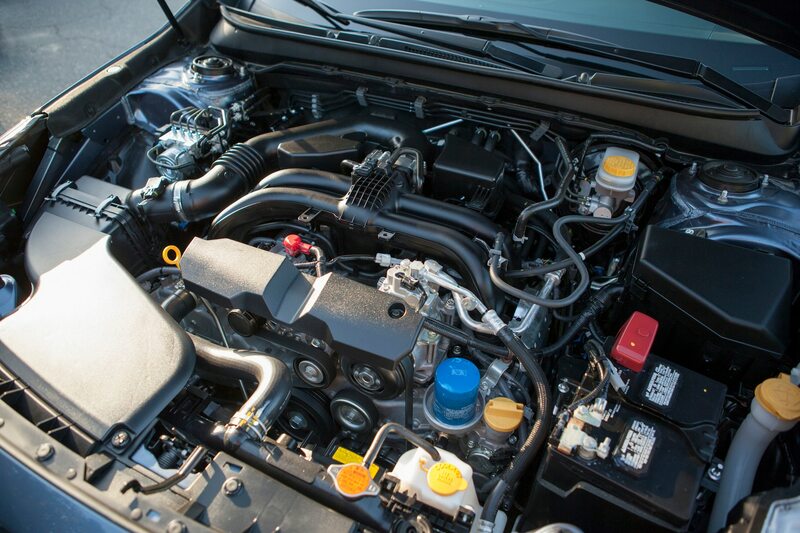 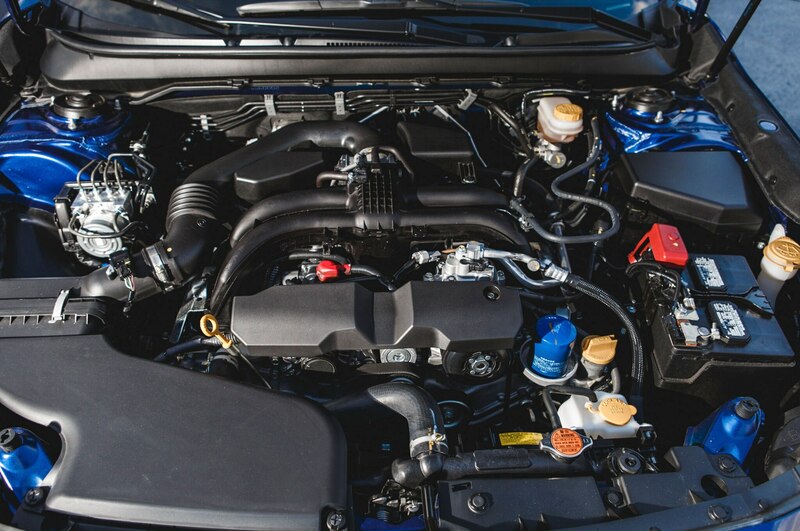 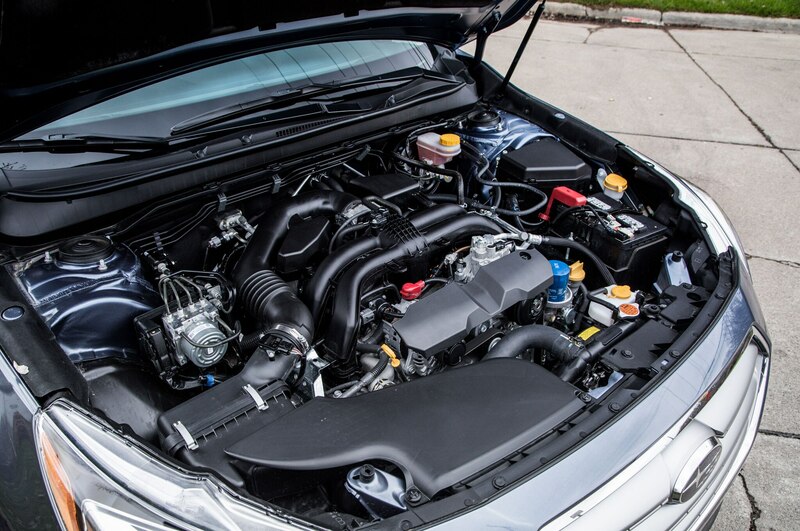 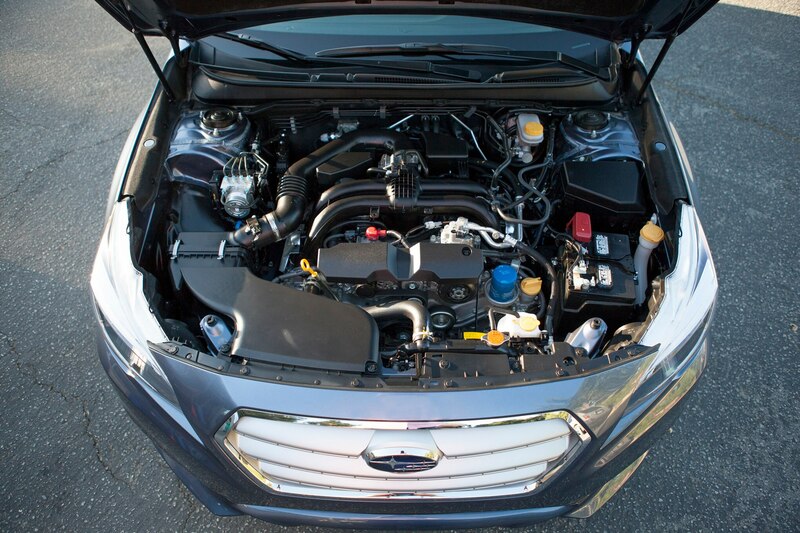 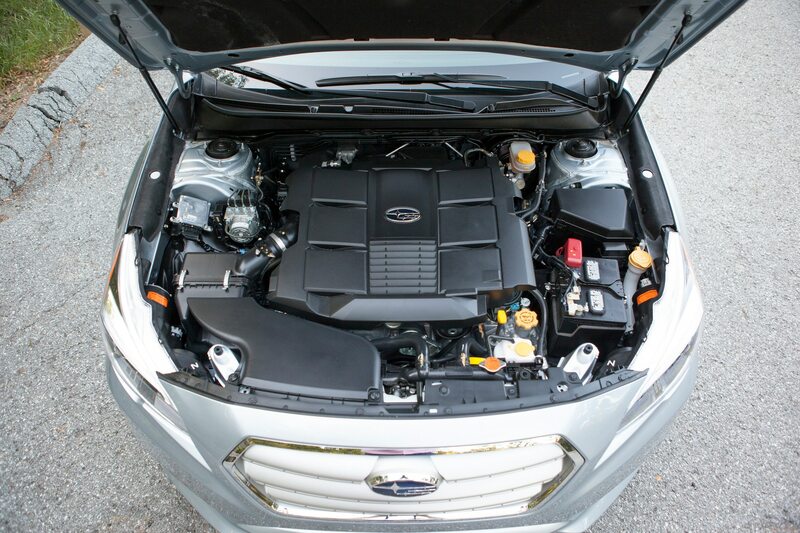 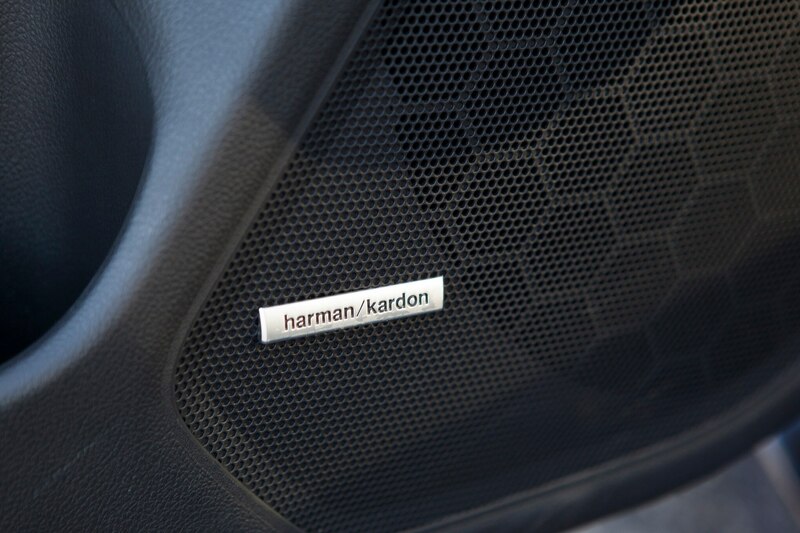 Gone is the thrashiness and groaning of last year’s engine and continuously variable transmission. 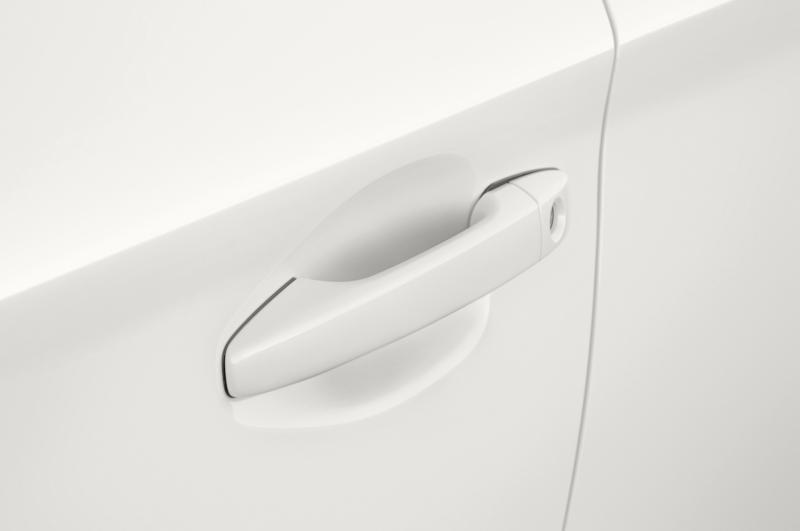 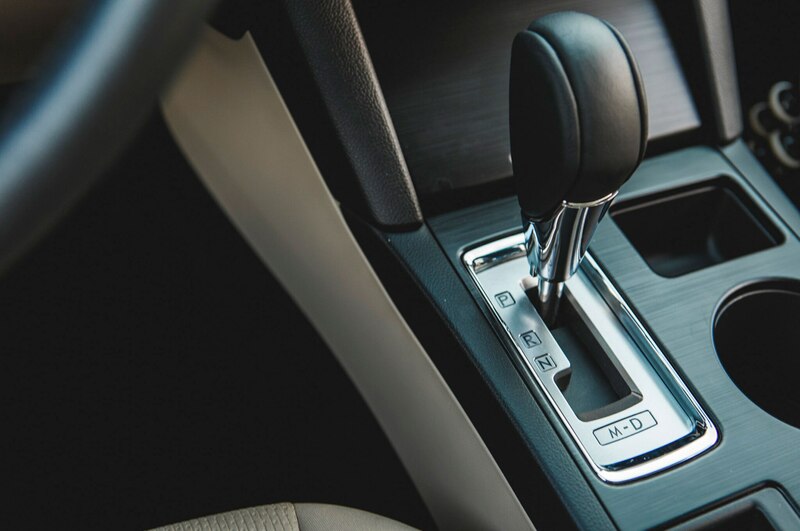 We can barely hear the four-cylinder when we leave an intersection and quickly find that the engine’s smooth, deliberate power is the very definition of “adequate.” We can’t exactly blow the doors off other commuters, but we never struggle to pass on the highway. 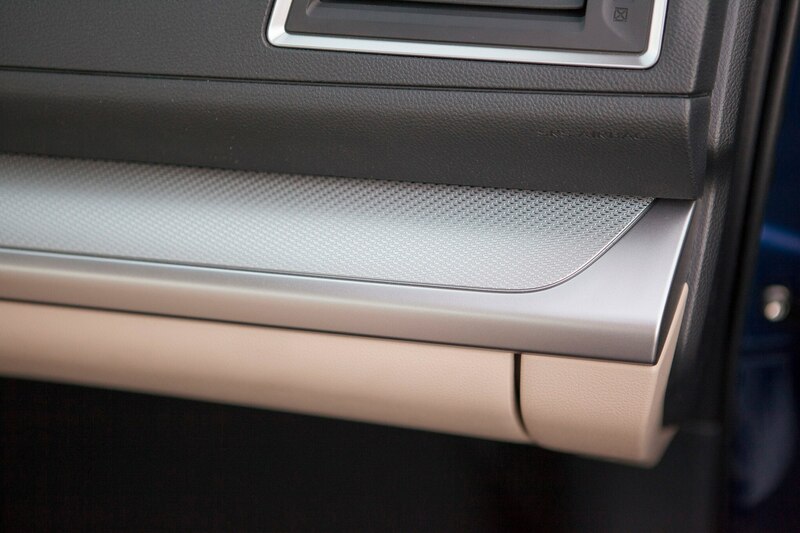 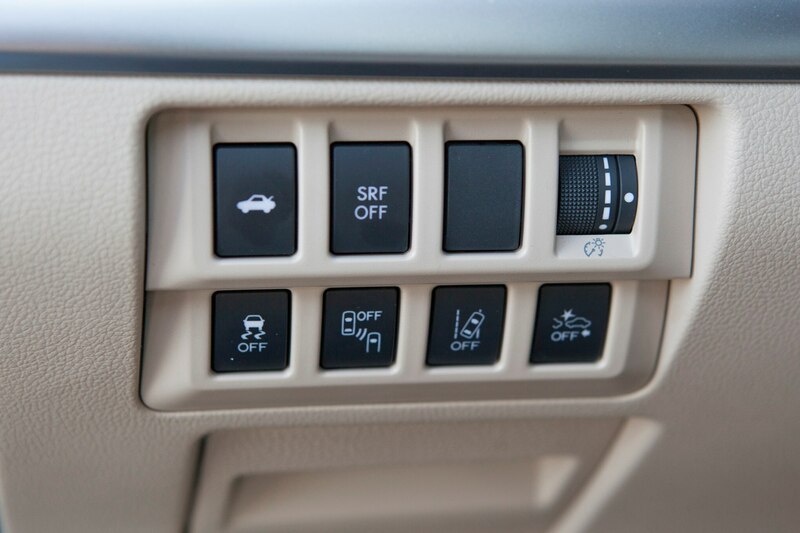 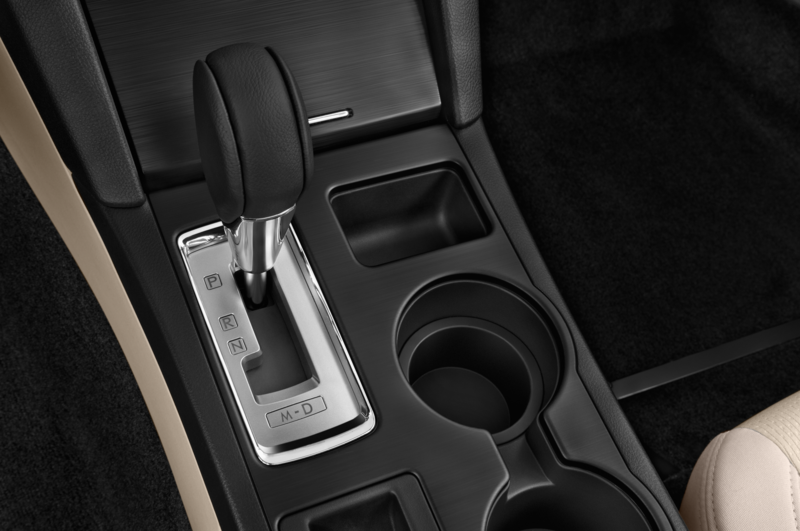 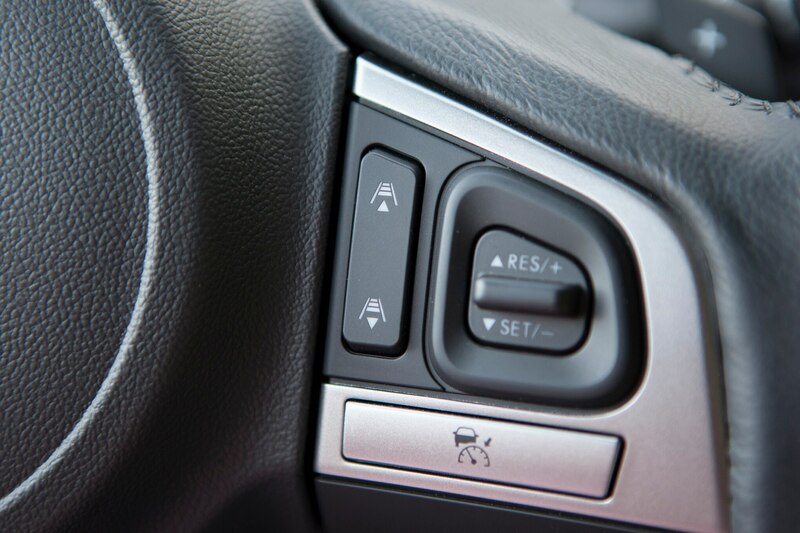 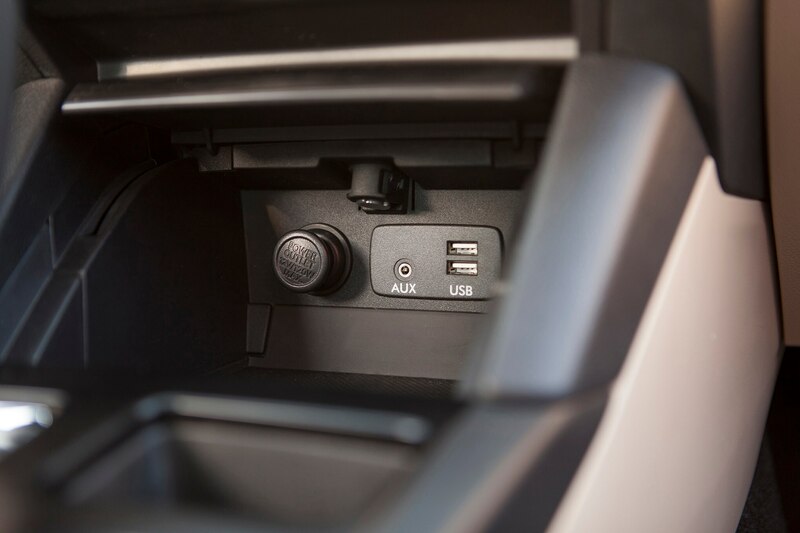 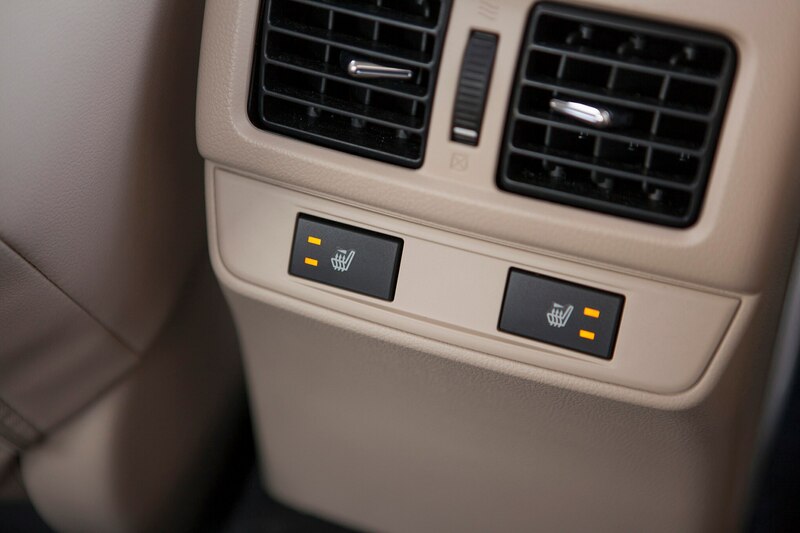 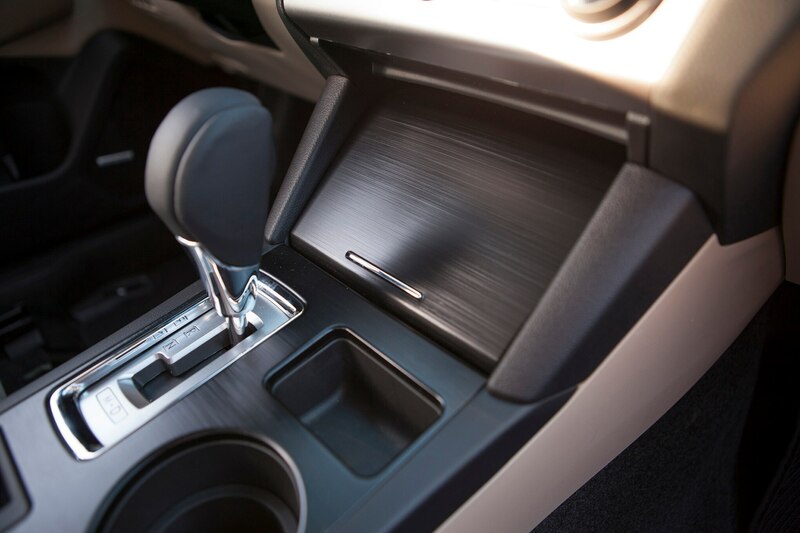 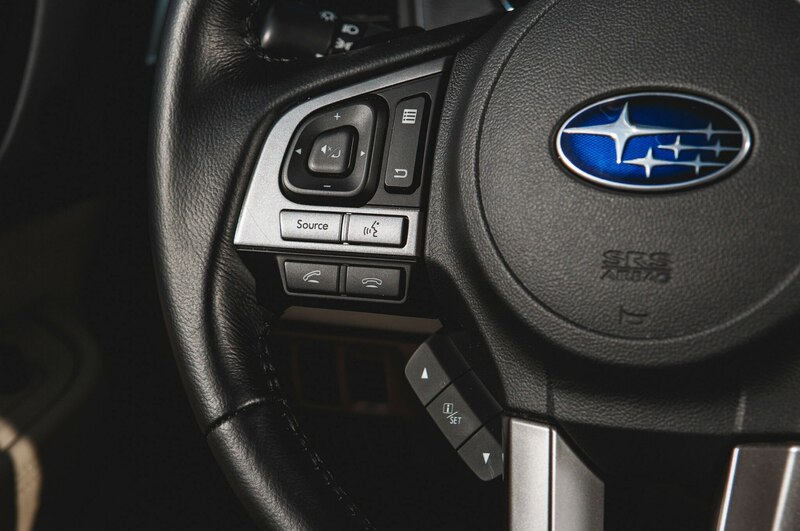 The transmission emulates a traditional automatic, “shifting” so the engine doesn’t linger at high rpm with the rubber-band acceleration sensation we detested in older Subaru CVTs. 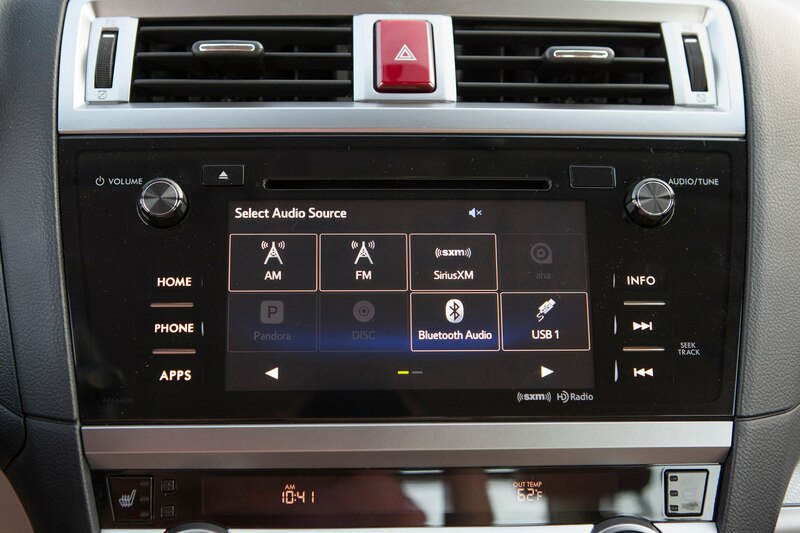 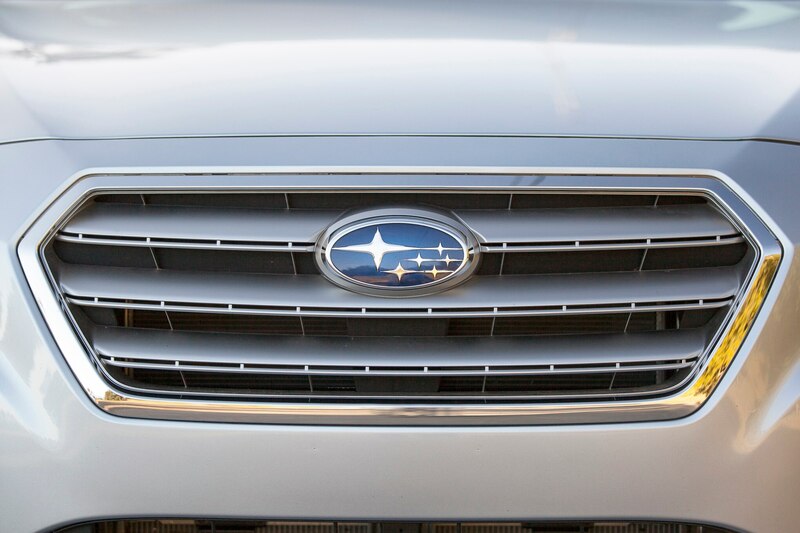 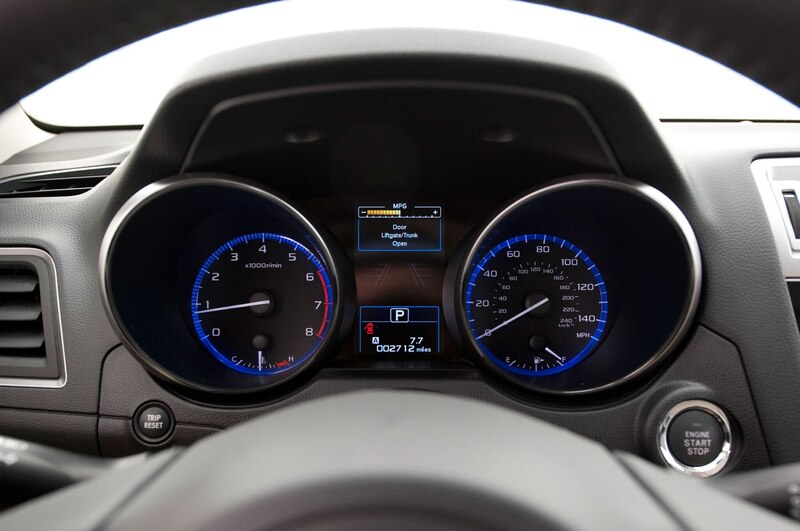 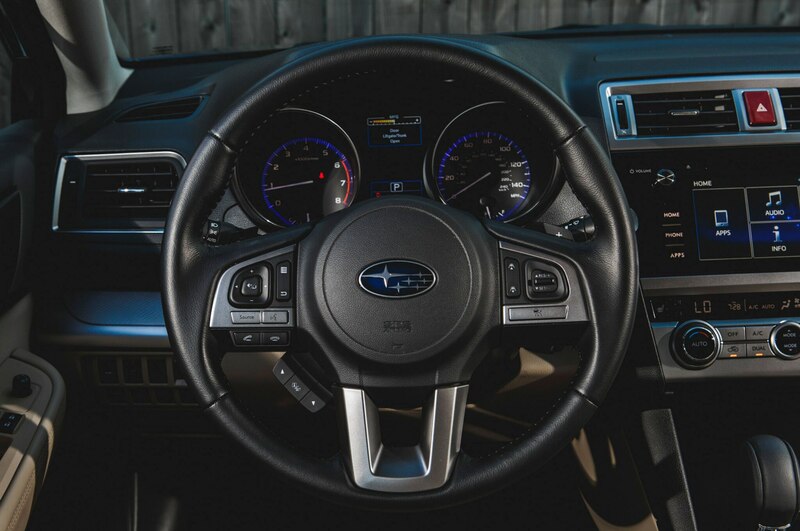 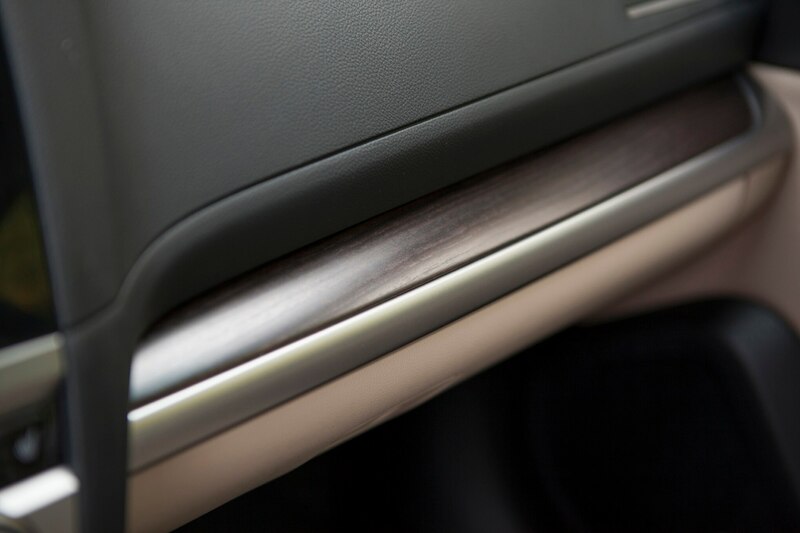 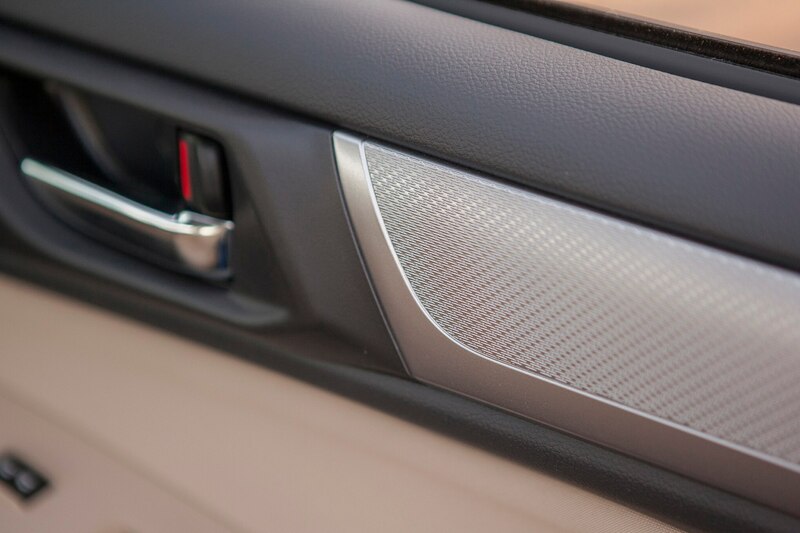 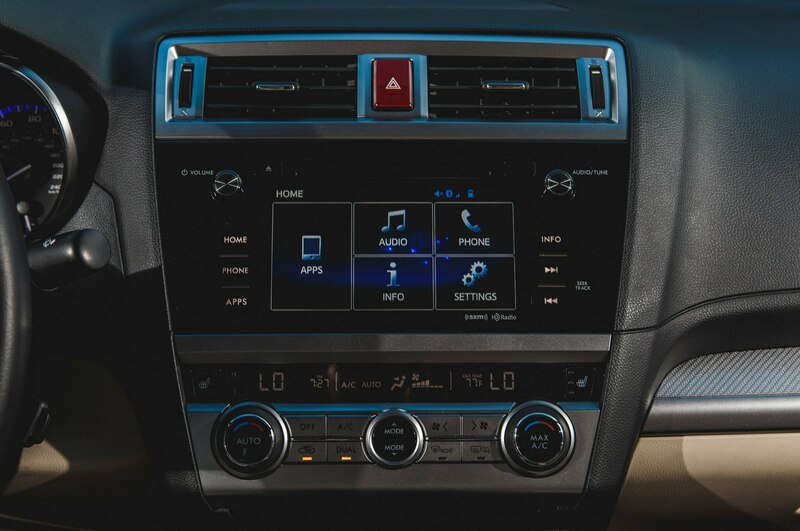 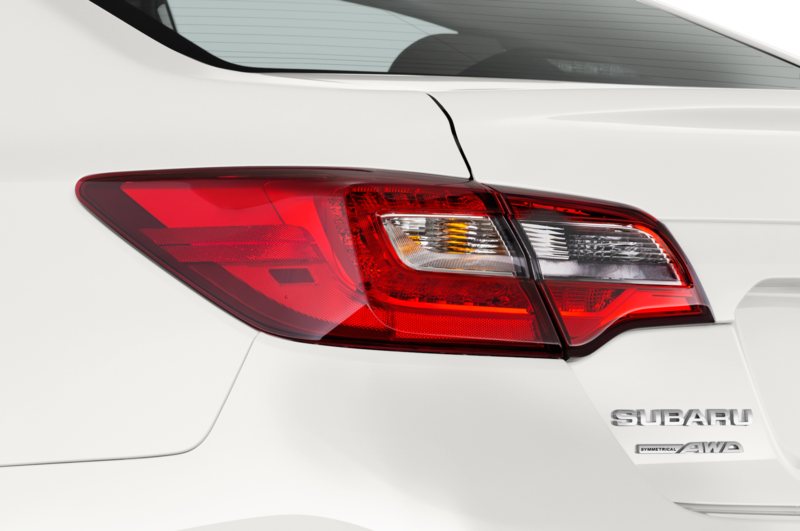 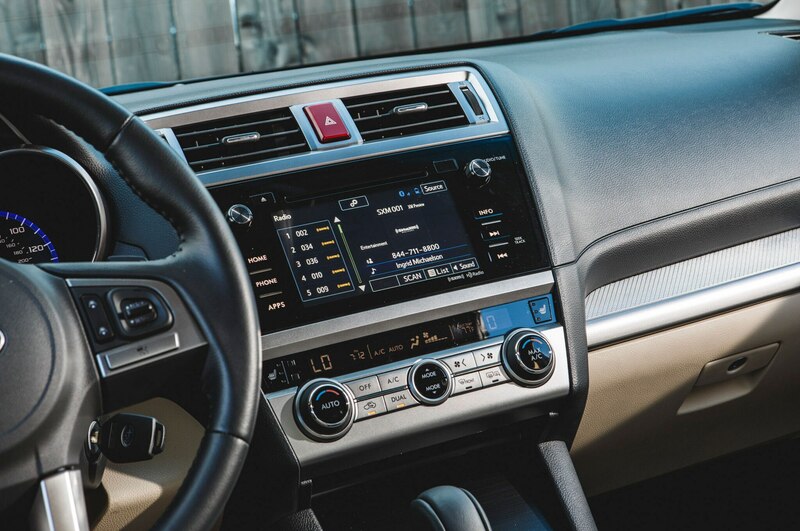 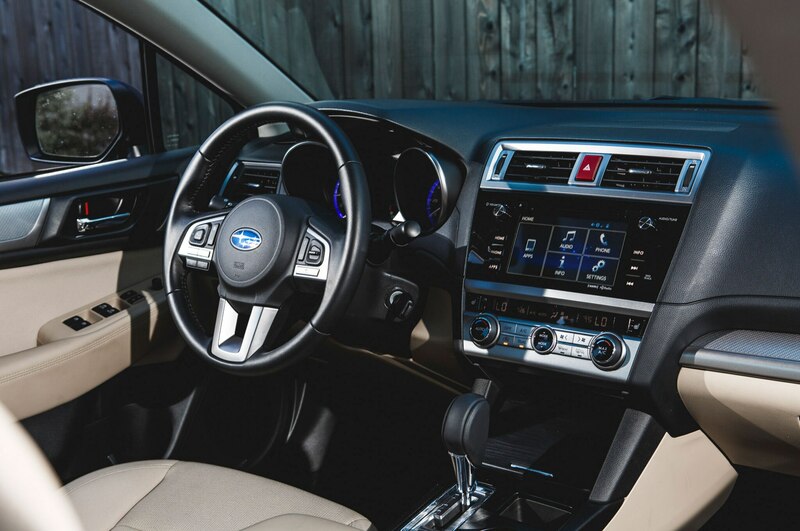 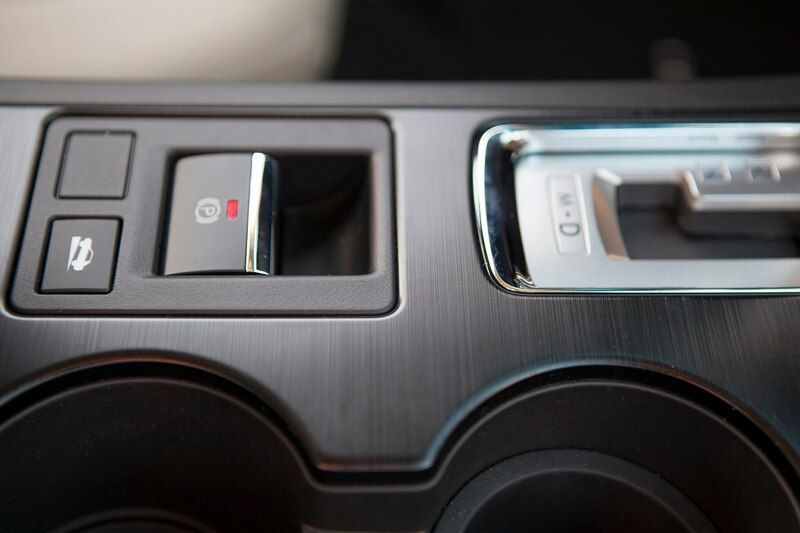 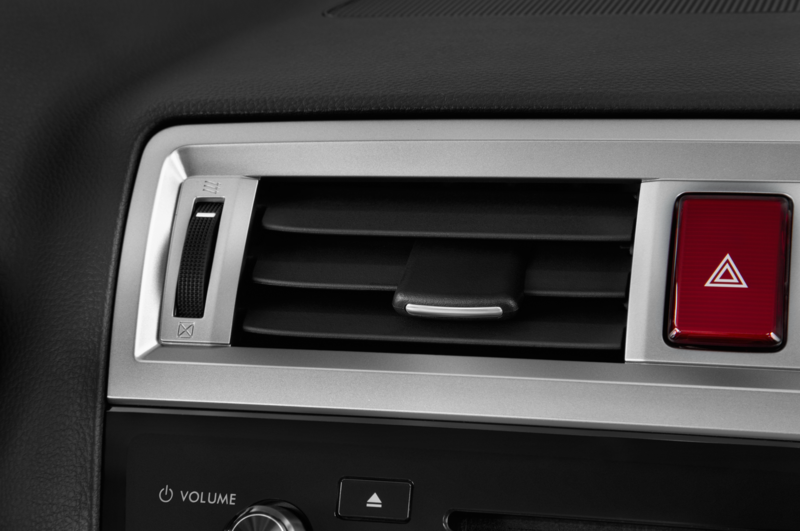 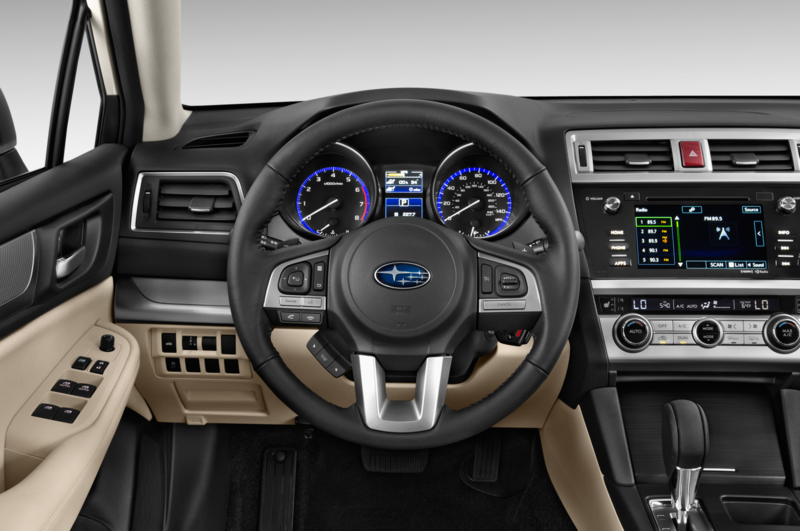 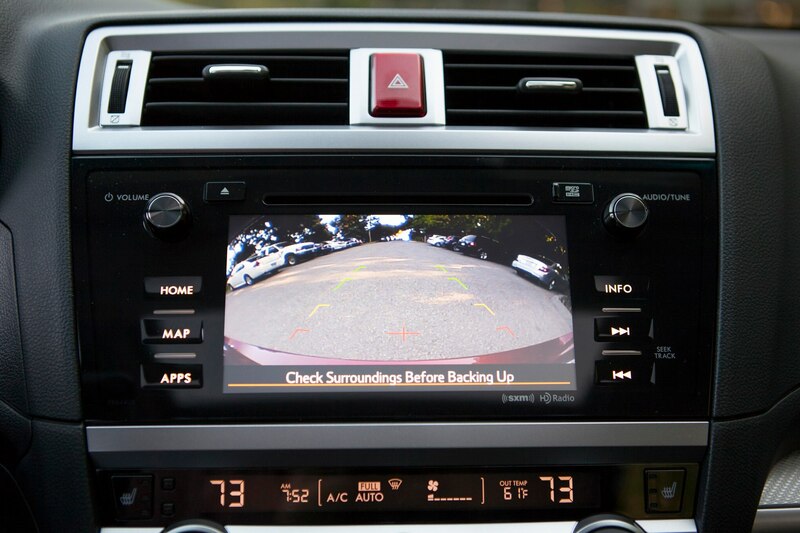 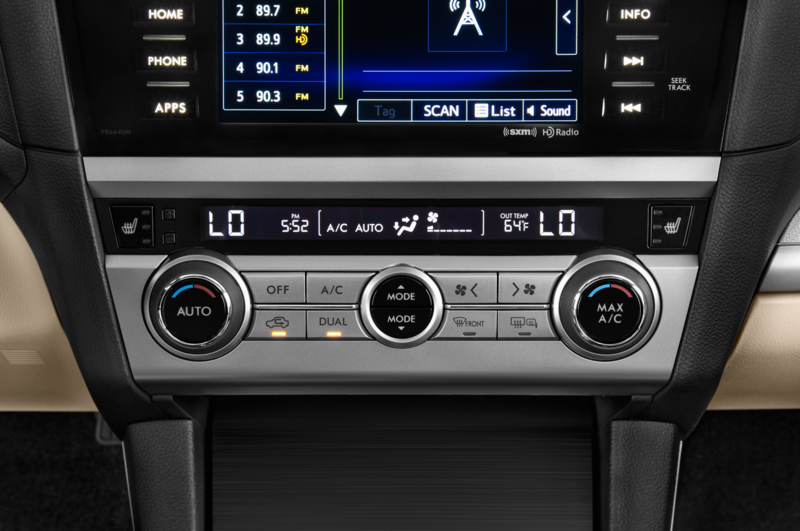 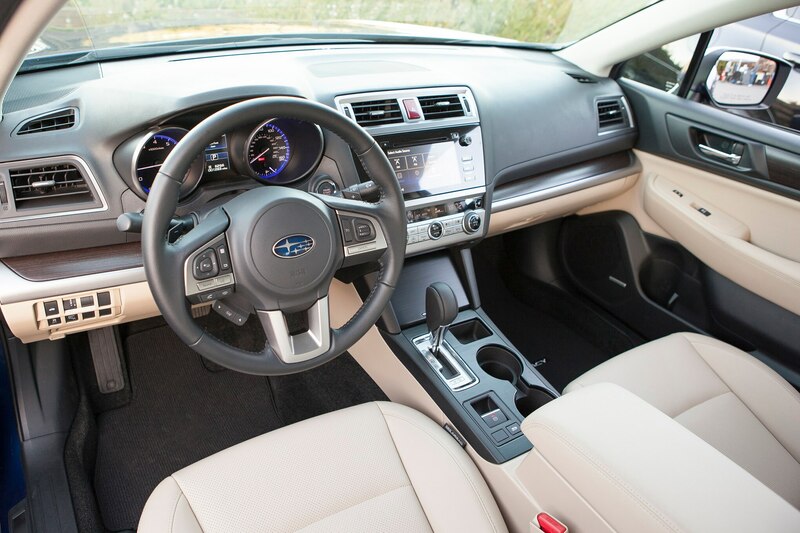 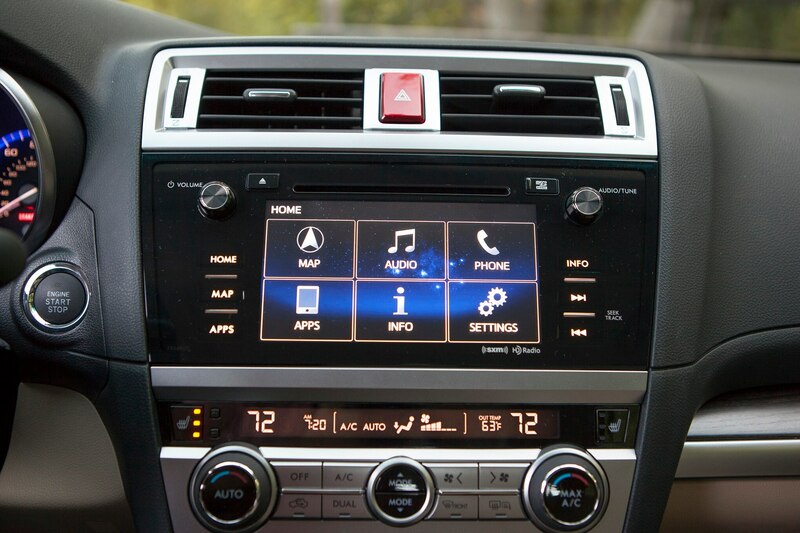 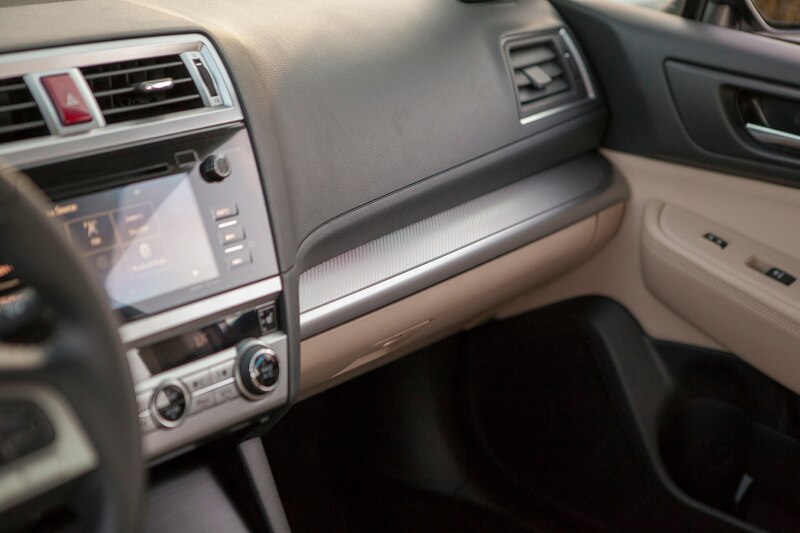 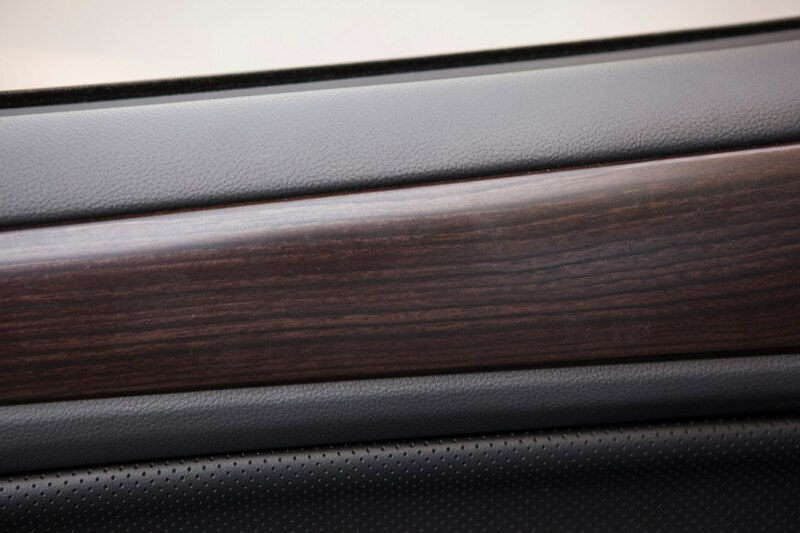 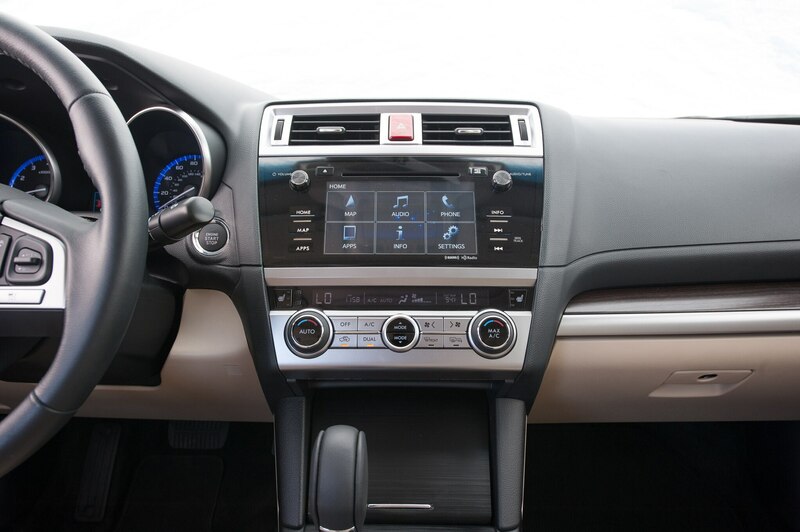 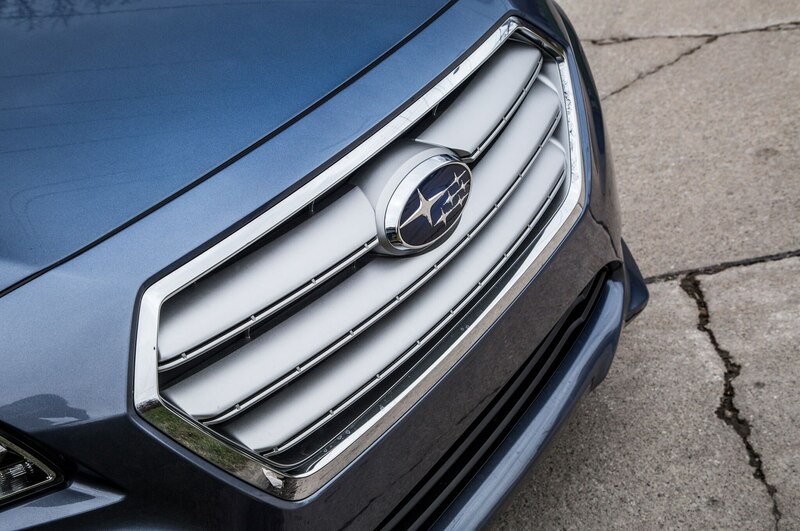 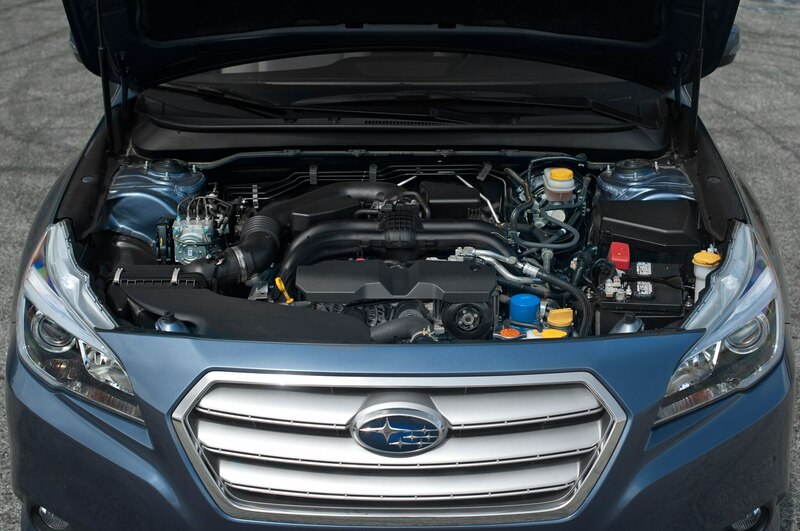 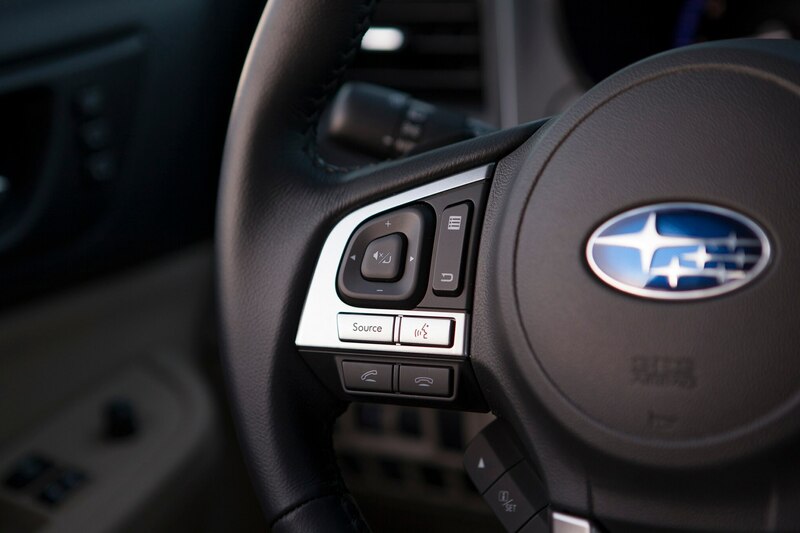 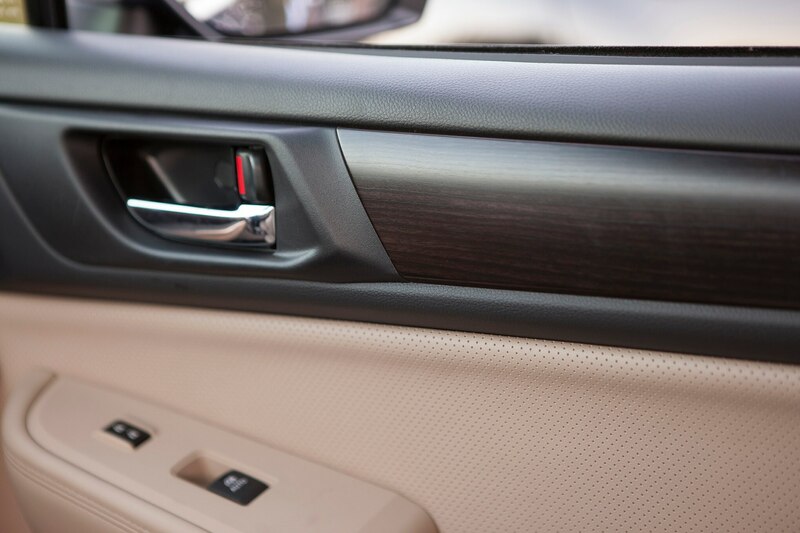 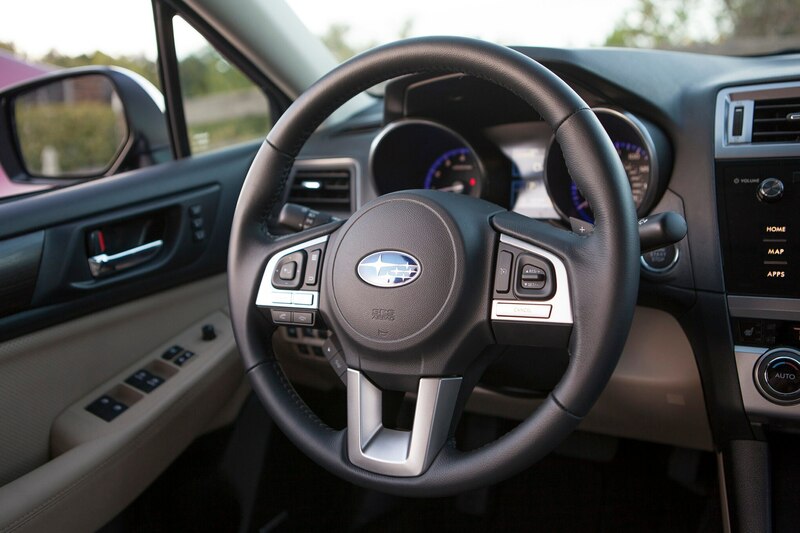 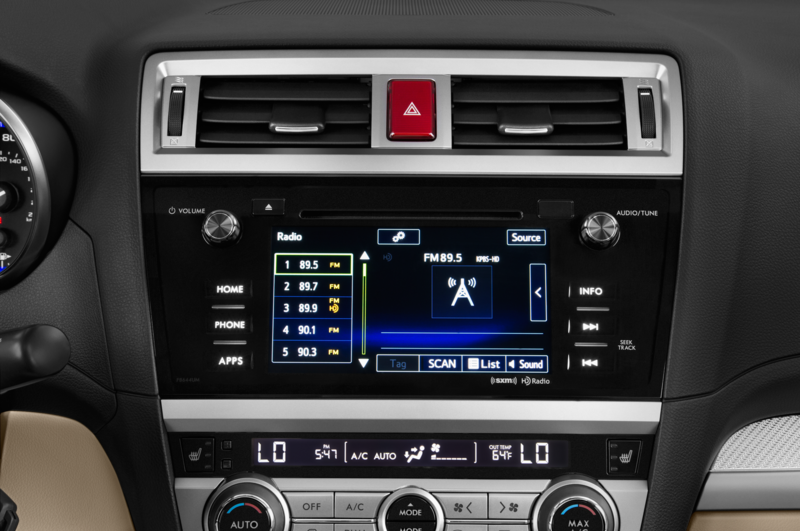 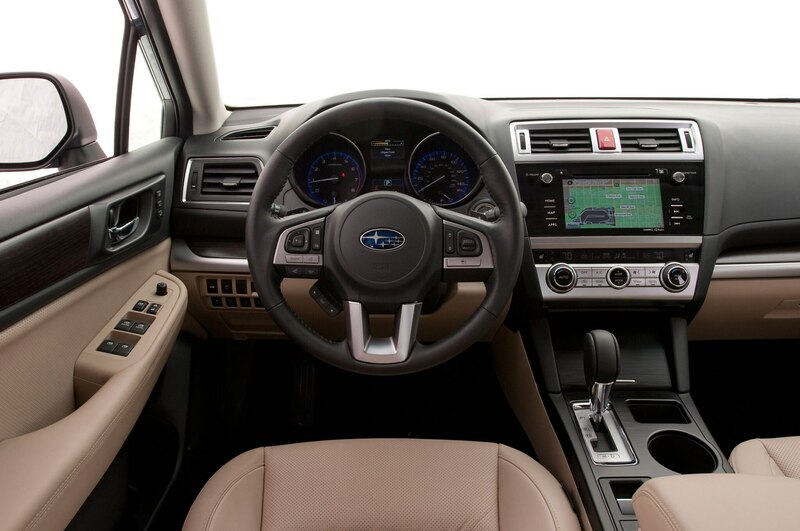 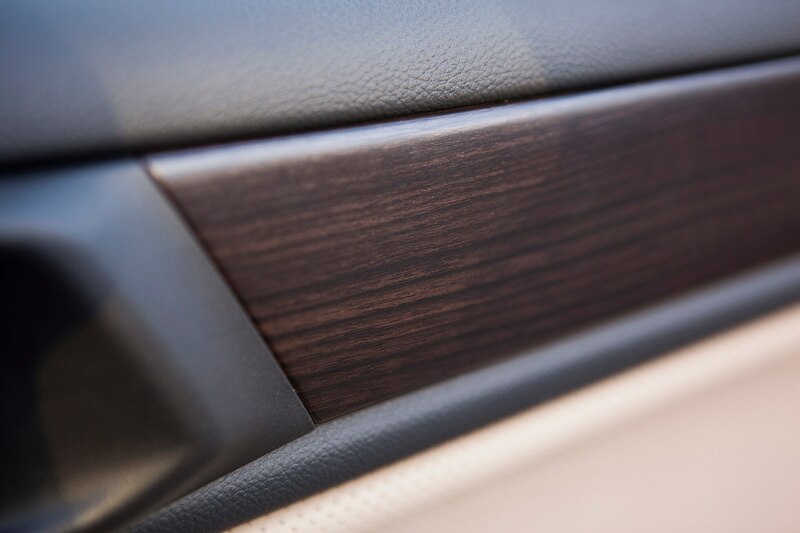 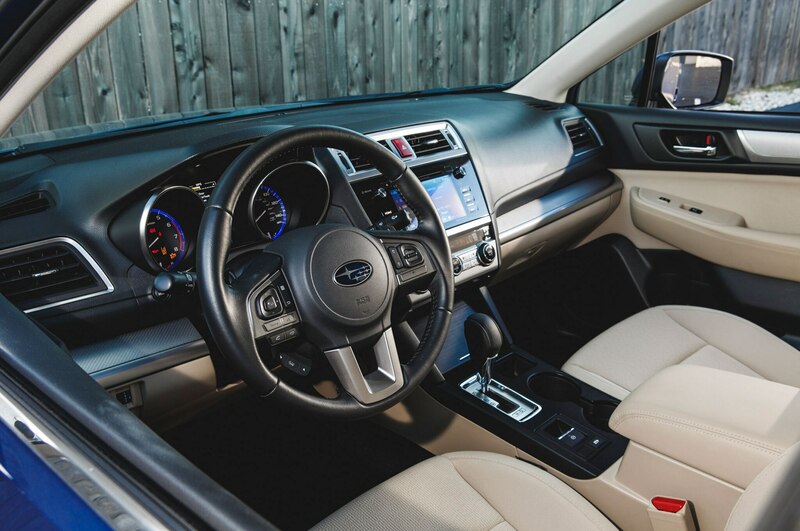 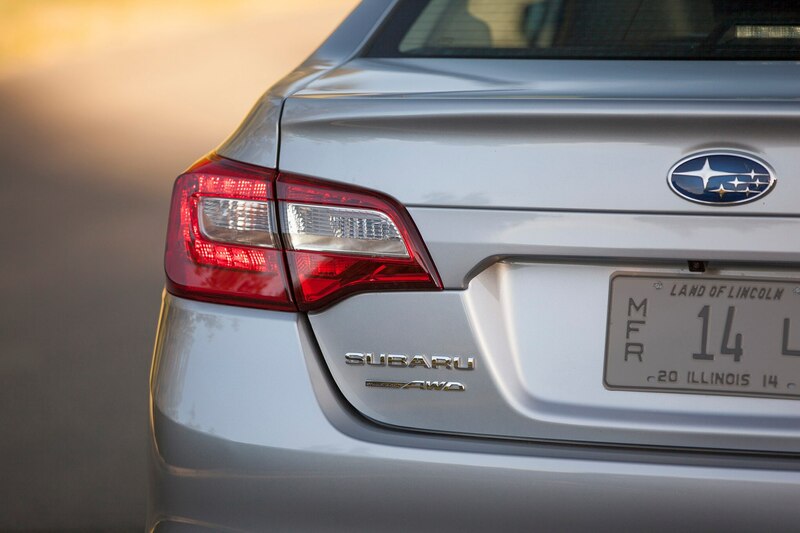 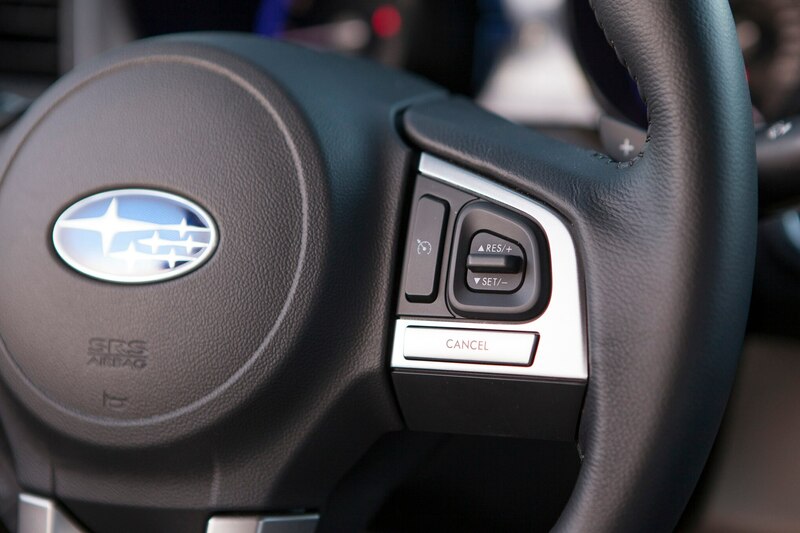 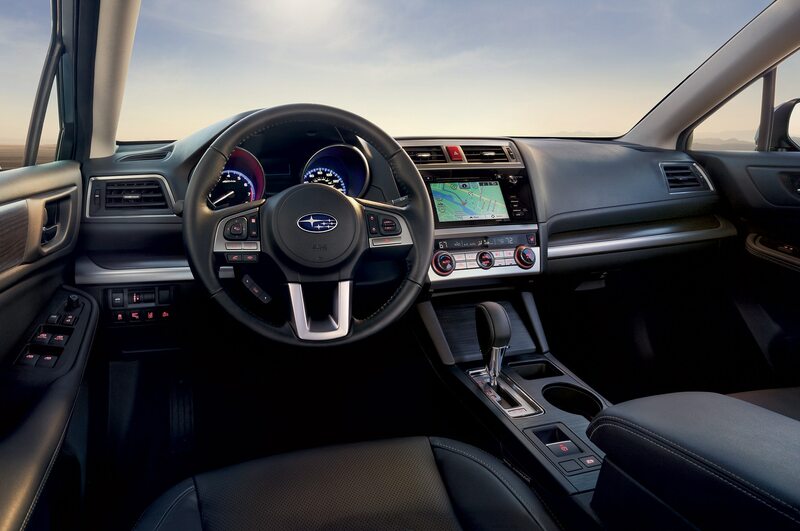 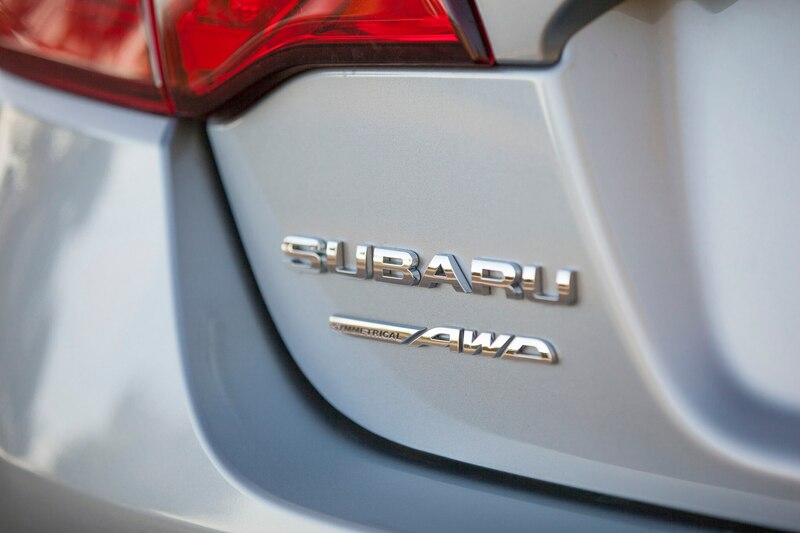 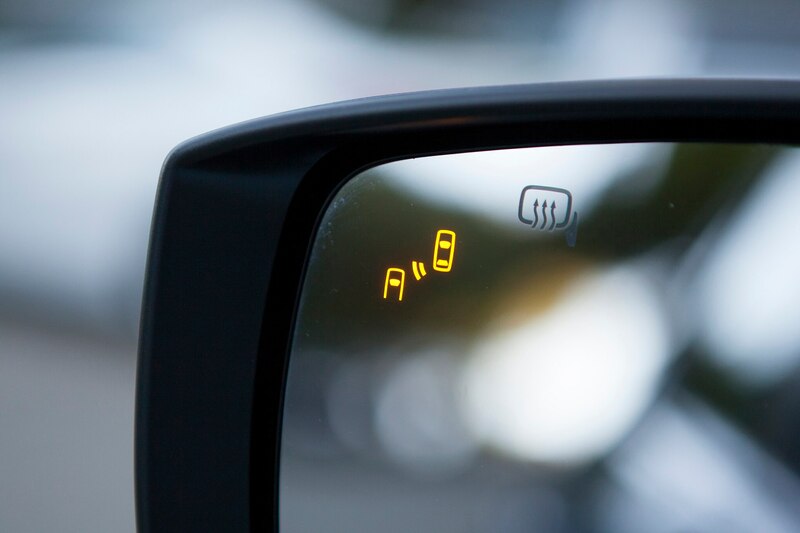 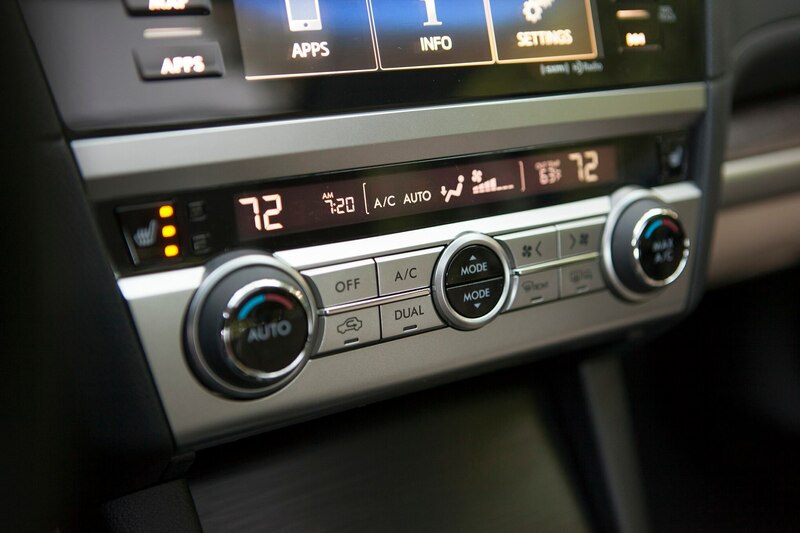 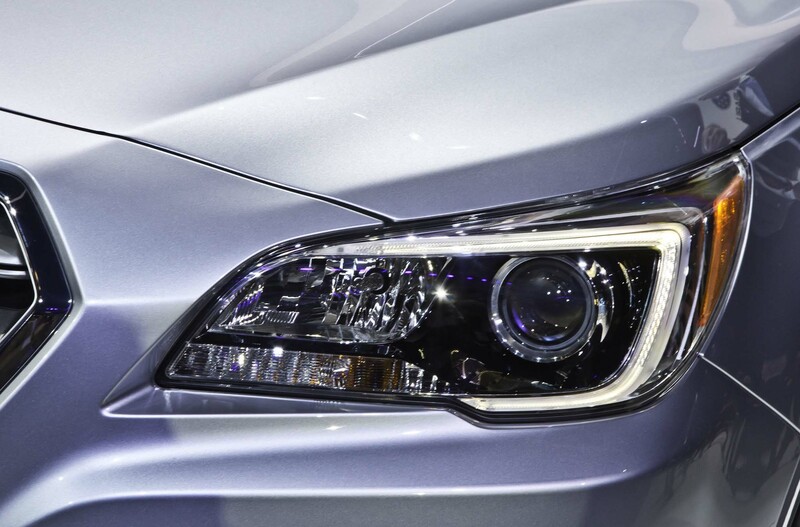 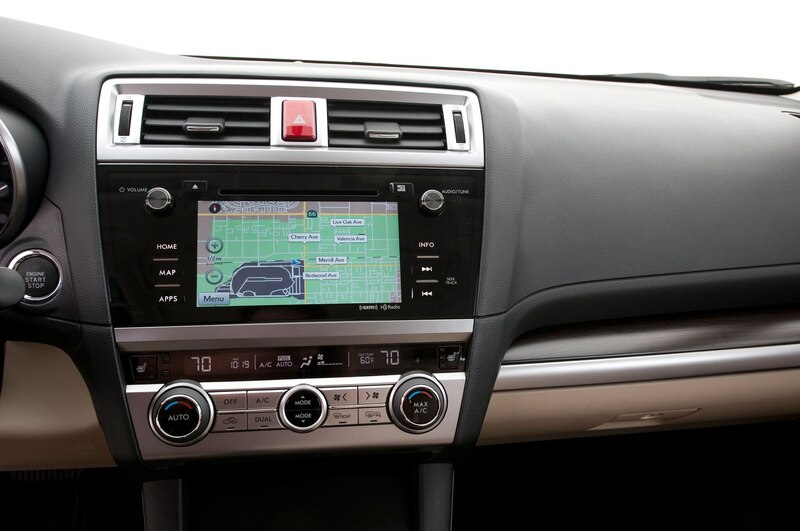 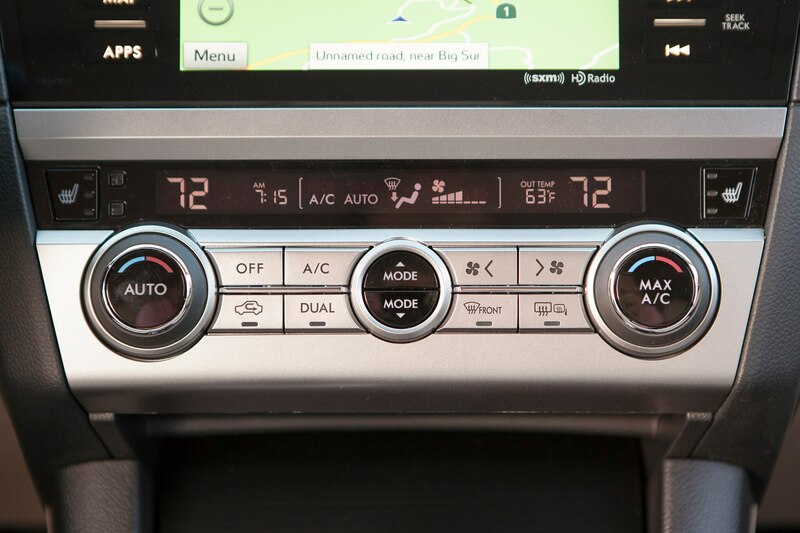 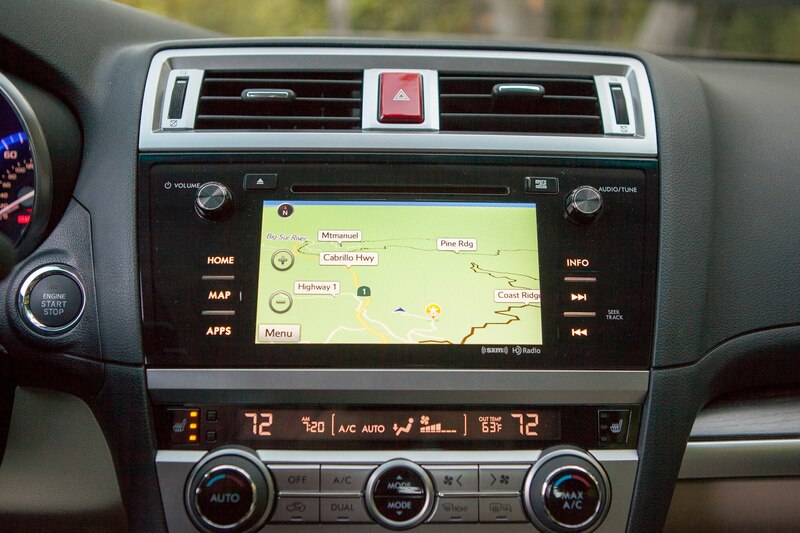 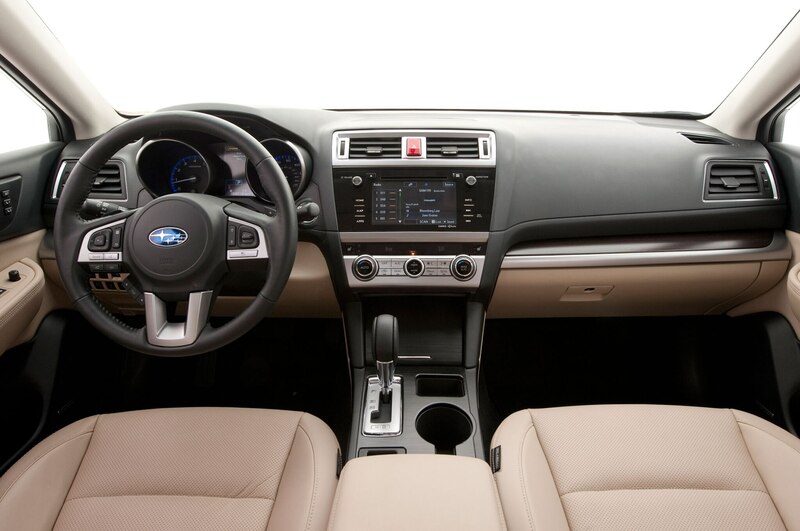 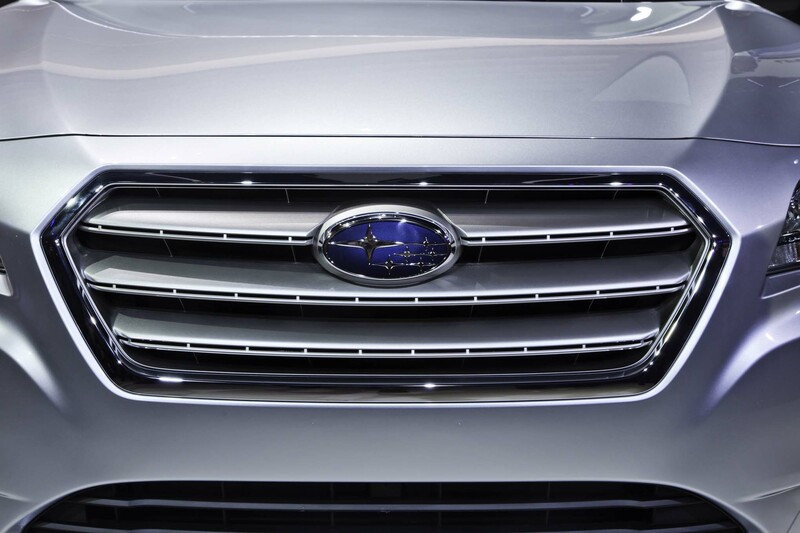 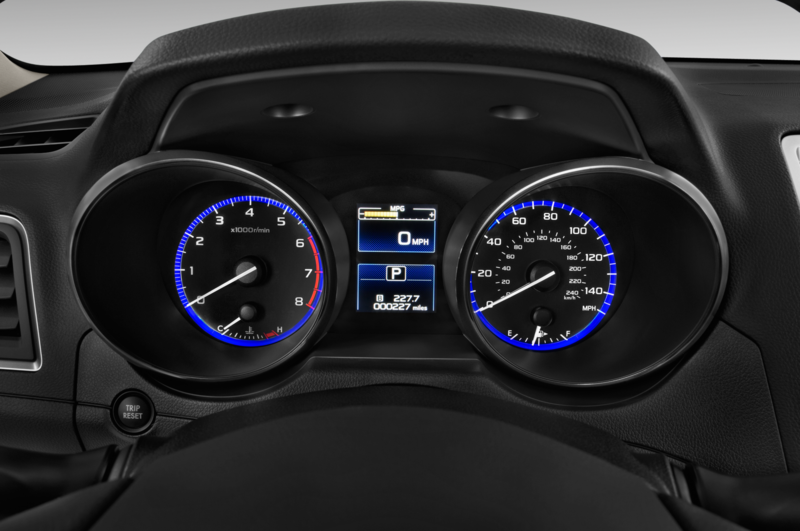 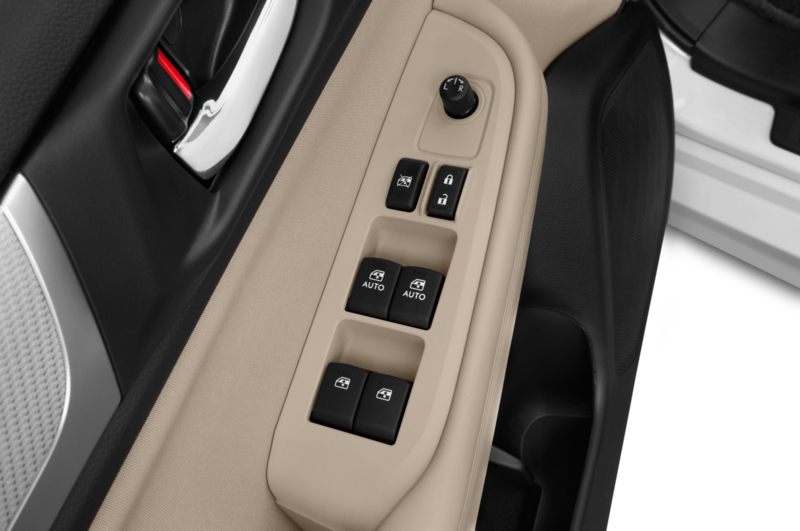 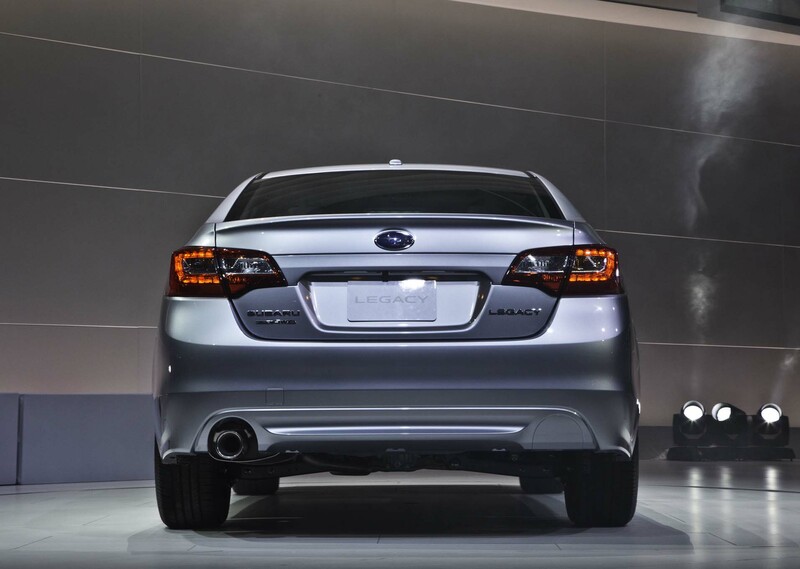 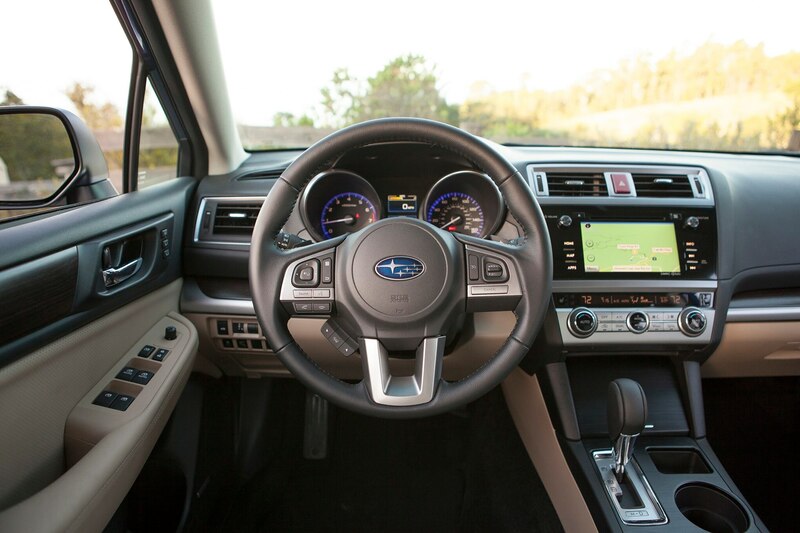 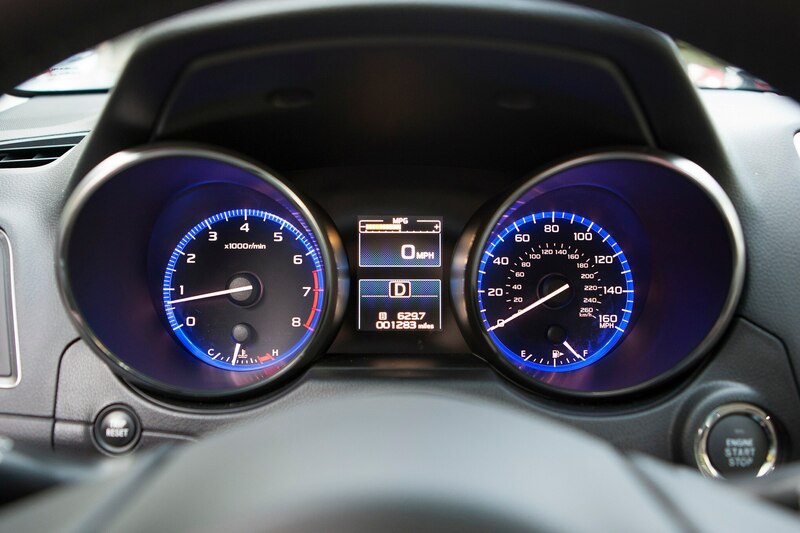 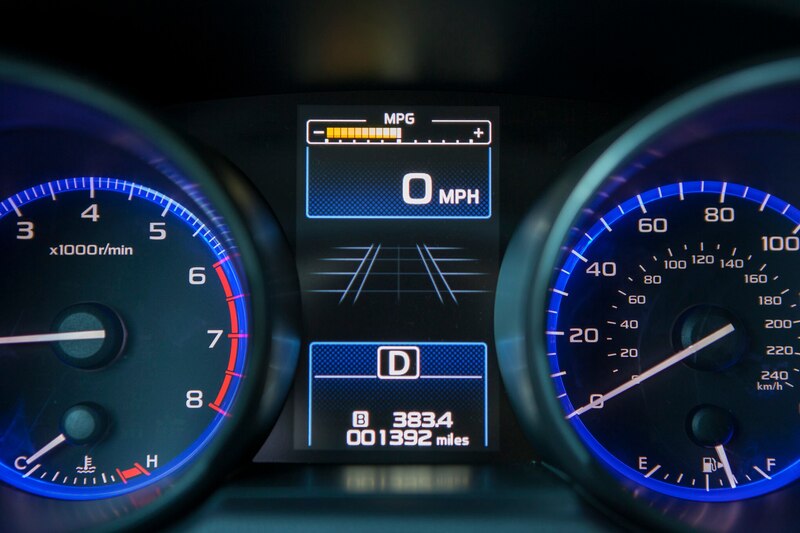 We appreciate the user-friendliness of the big fonts on the 2015 Subaru Legacy‘s clearly visible gauges and buttons. 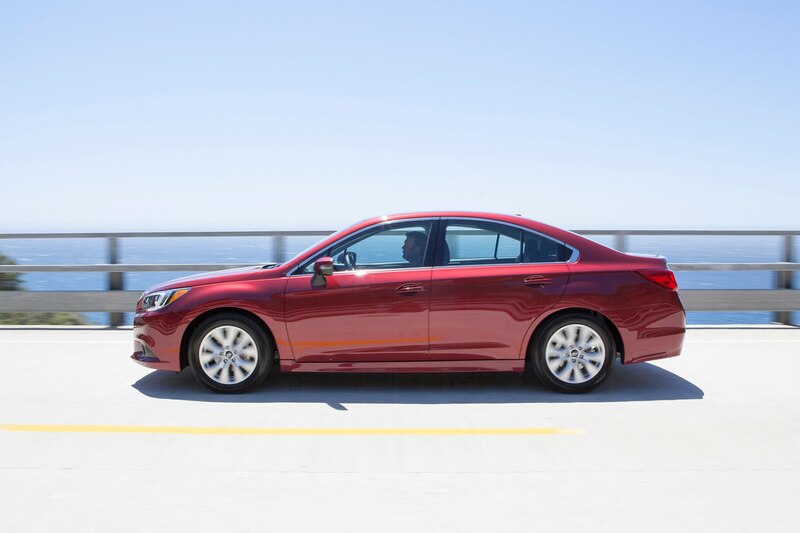 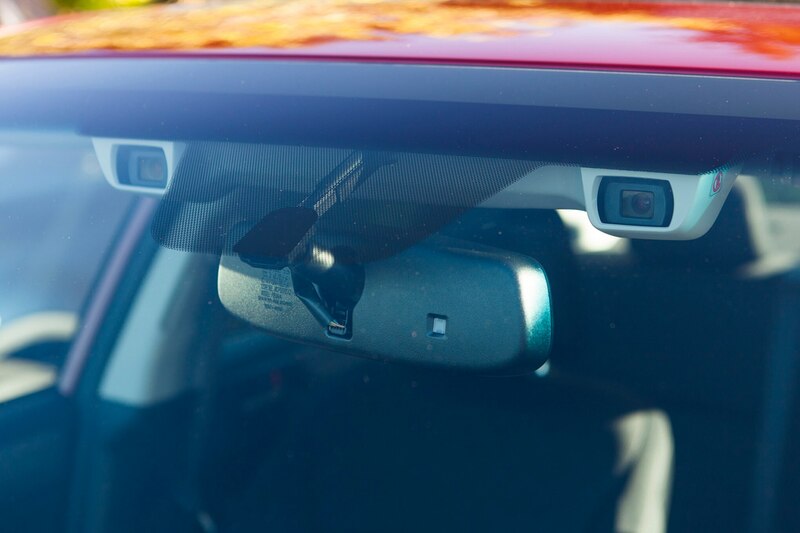 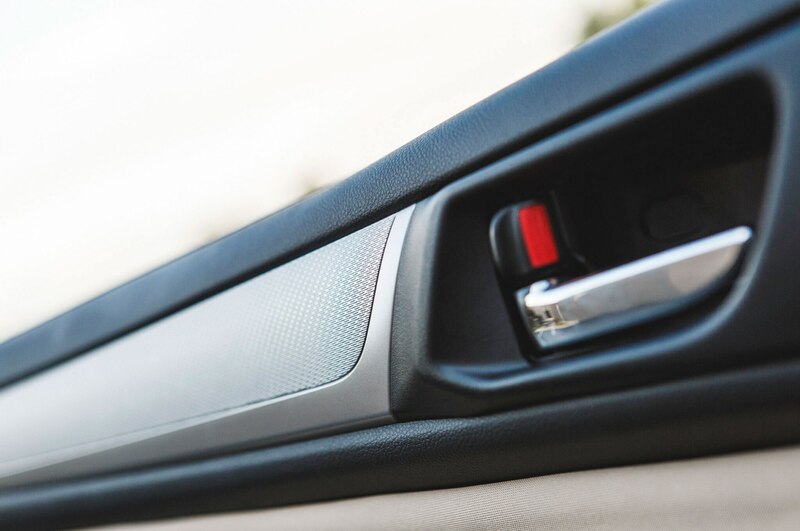 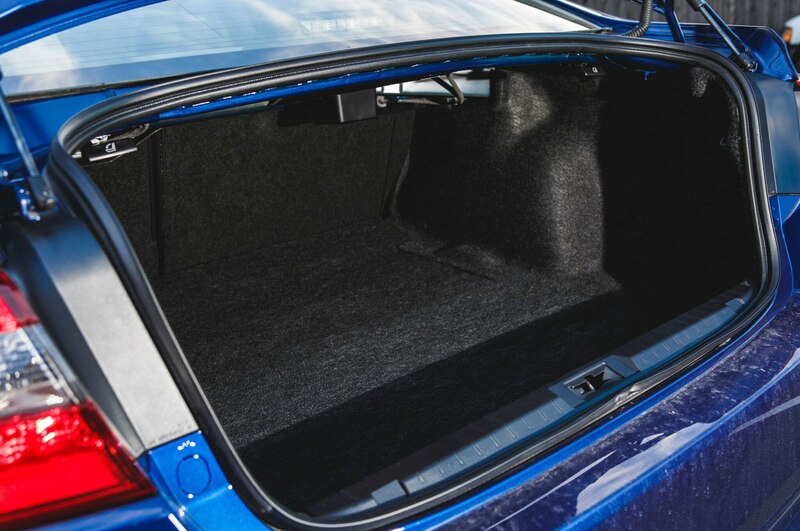 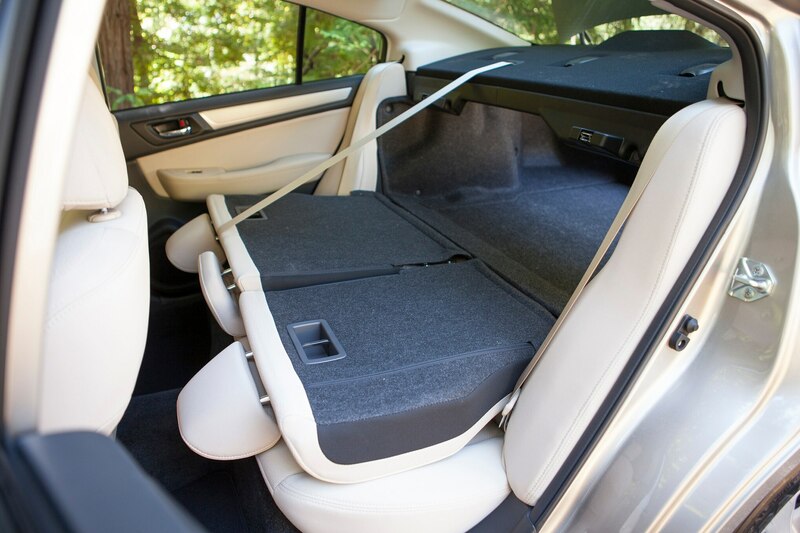 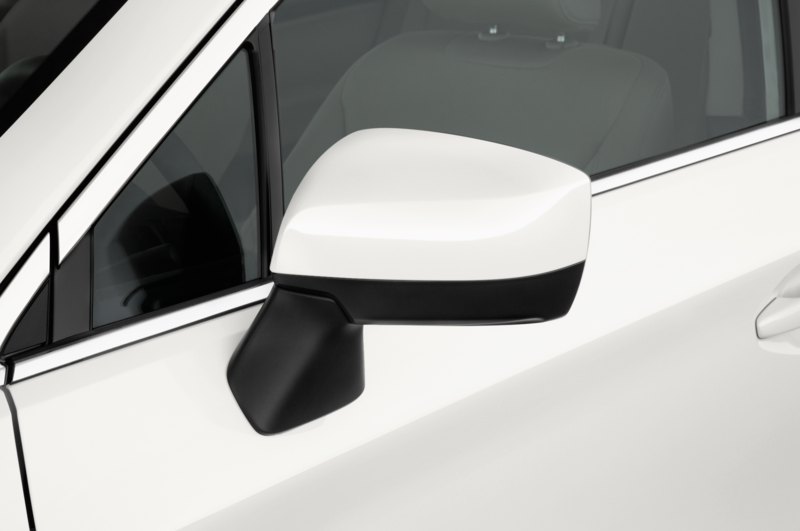 The excellent view afforded by a low beltline and large windows — notably the front and rear quarter windows — allows us to check freeway traffic in a snap, rendering the blind-spot warning lights superfluous. 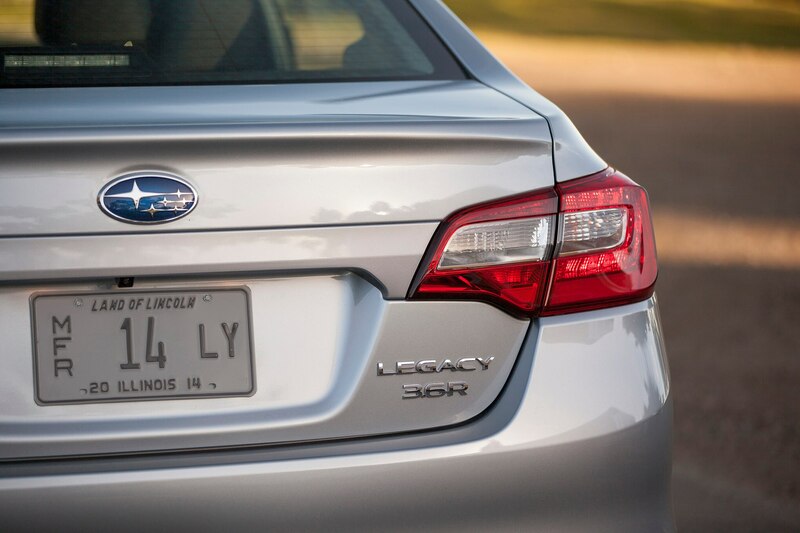 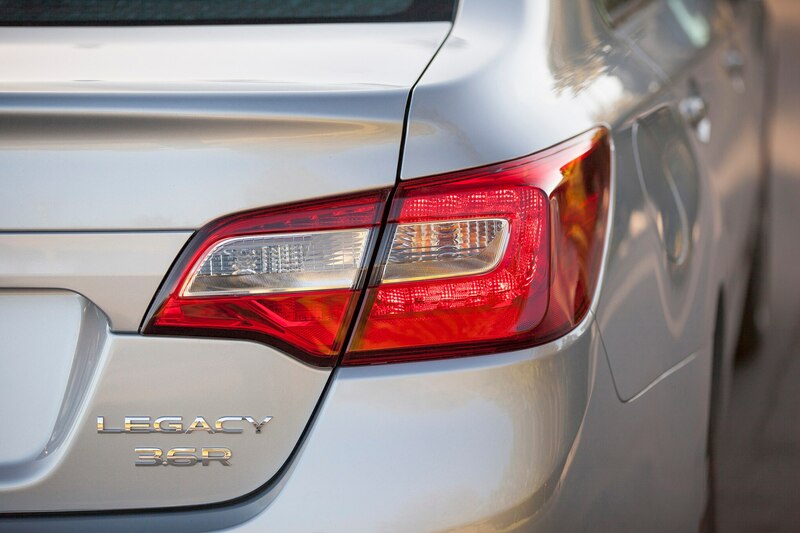 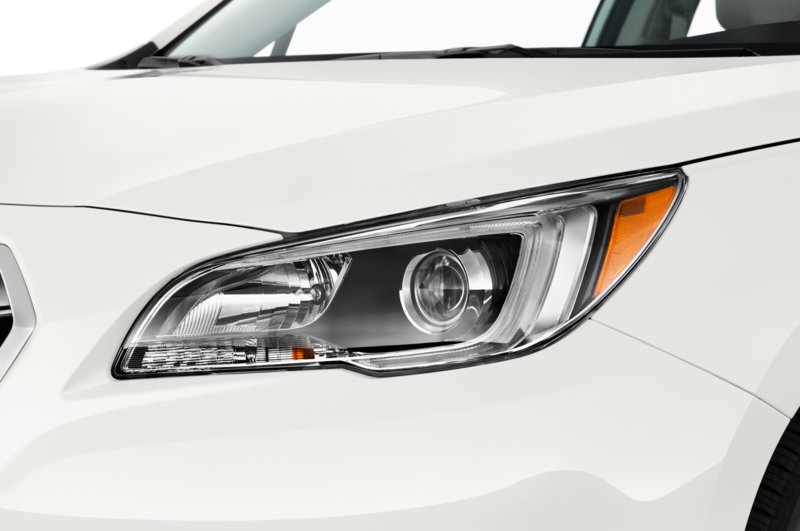 Most important of all for consumers, the new Legacy finally matches the fuel economy ratings of its front-wheel-drive rivals. 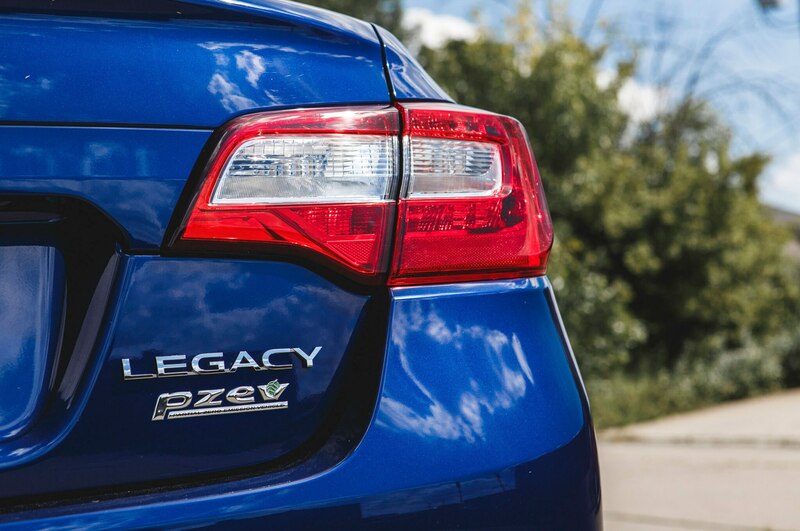 While last year’s Legacy 2.5i scored just 24/32 mpg (city/highway) with the EPA, the 2015 model boasts ratings of 26/36 mpg, essentially as good as a four-cylinder Honda Accord (27/36 mpg). 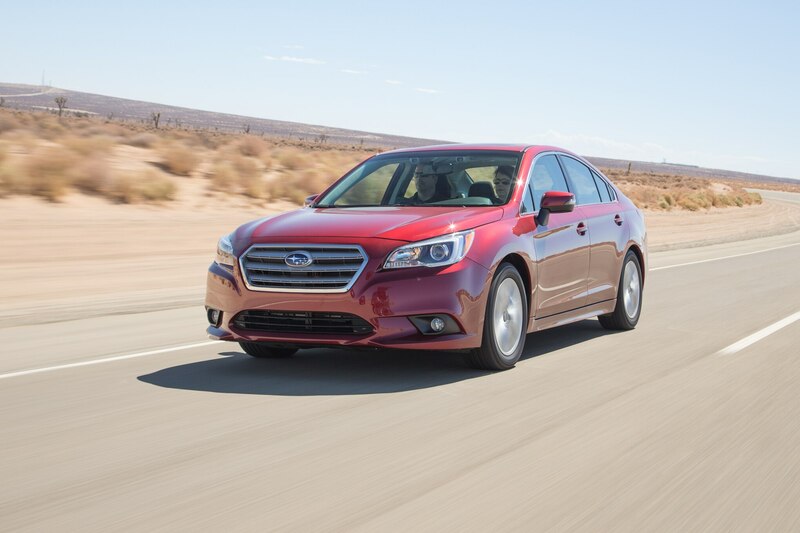 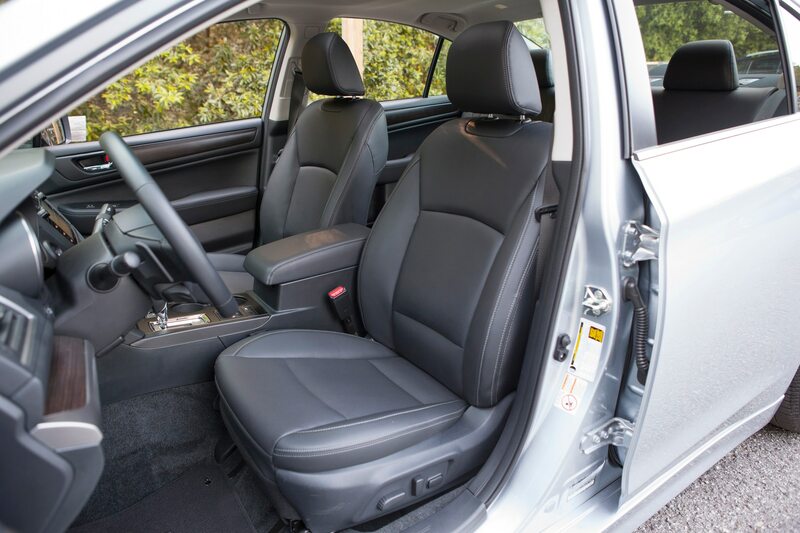 It used to be that the Subaru Legacy only really sold to Subaru’s existing fan base: either those drivers who regularly deal with snow and ice and gravel roads, or those who’ve graduated from funky Imprezas and Foresters to a more mature family sedan. 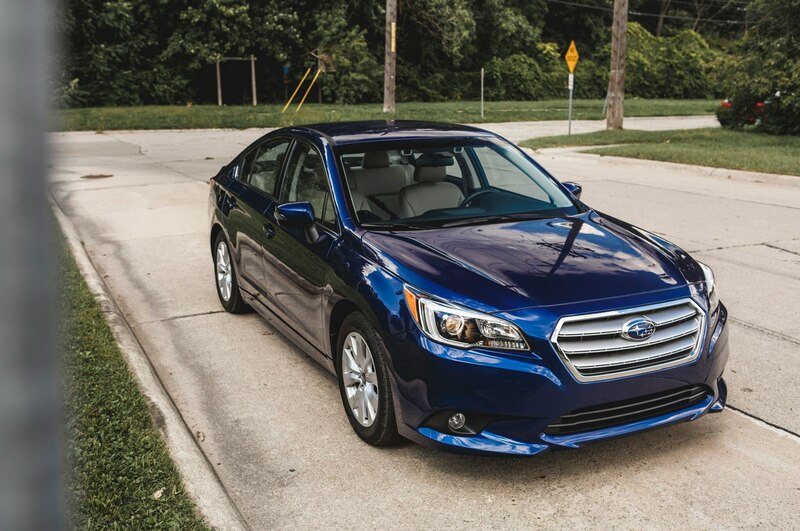 Don’t let that stereotype cloud your buying decision. 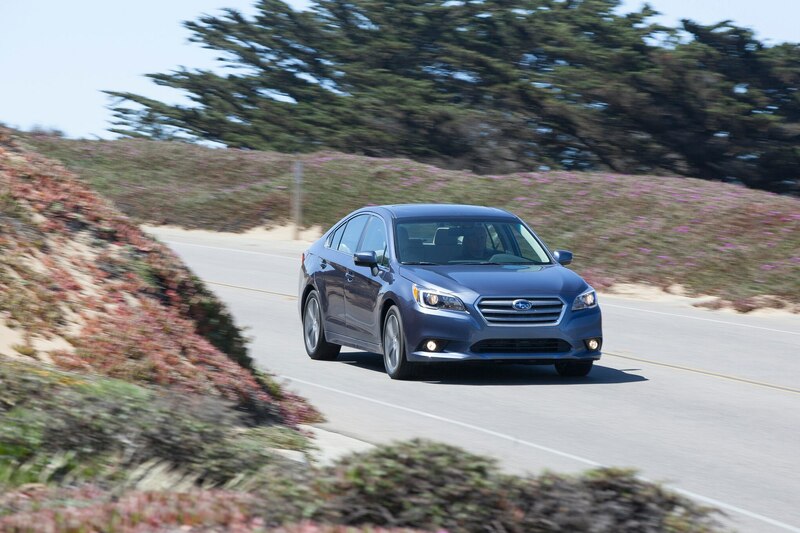 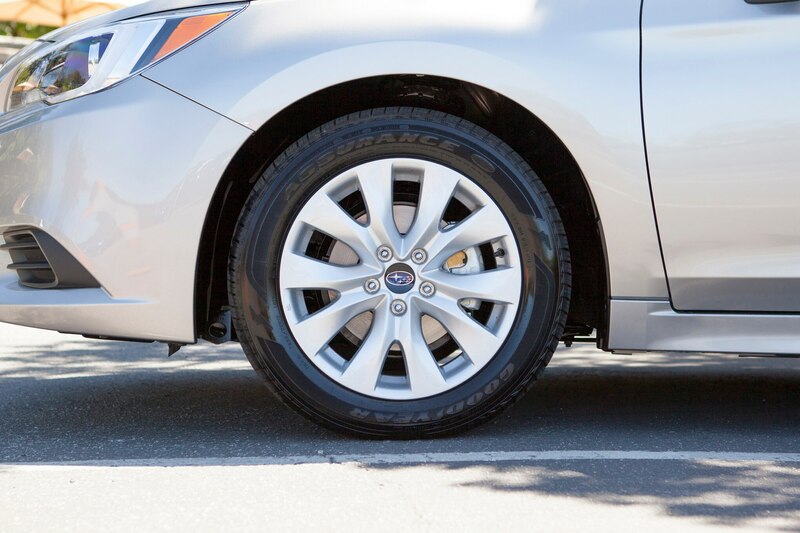 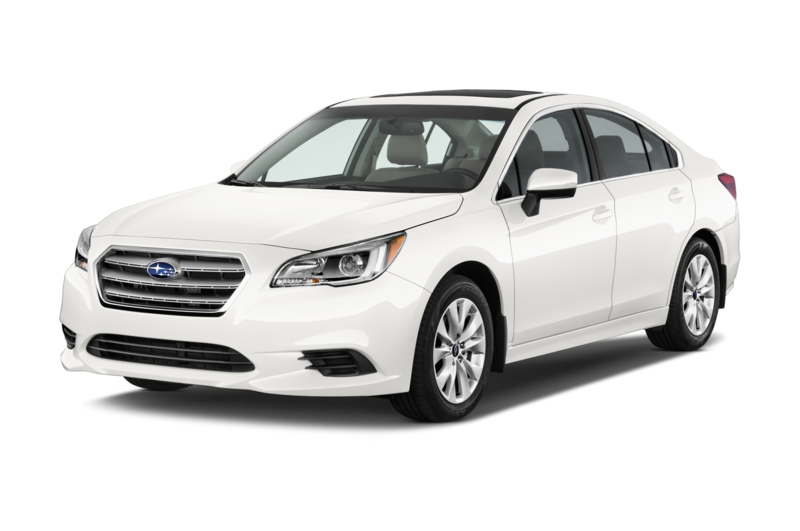 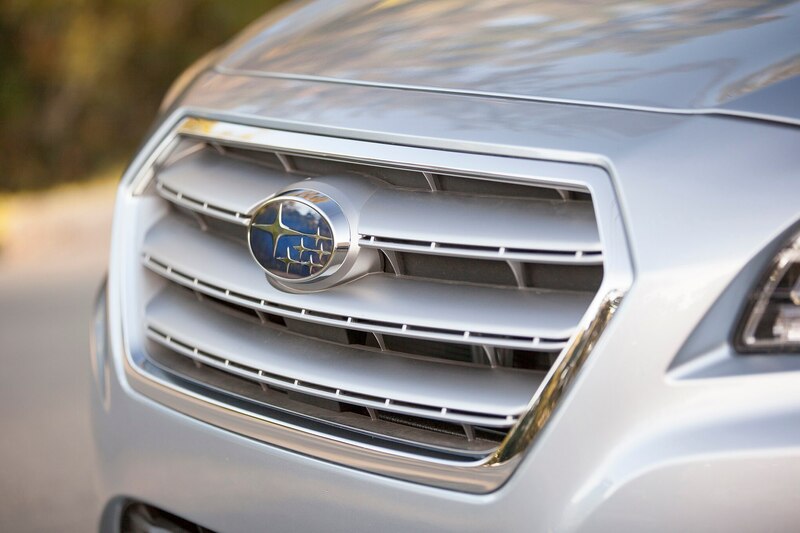 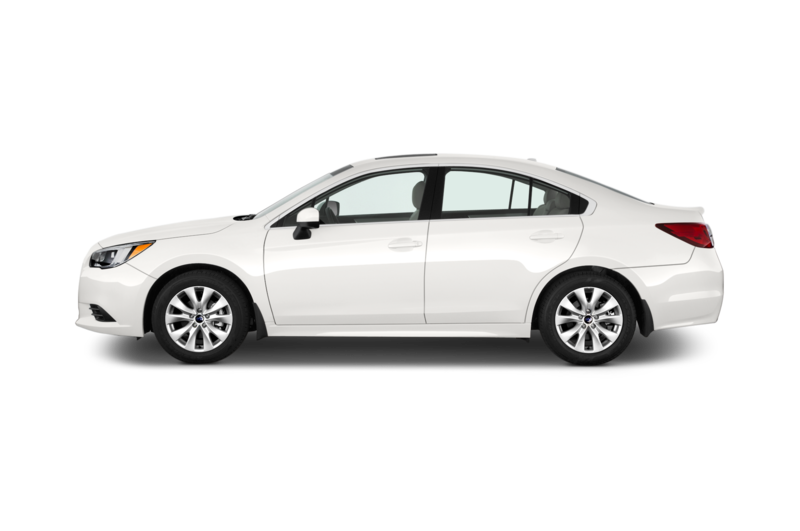 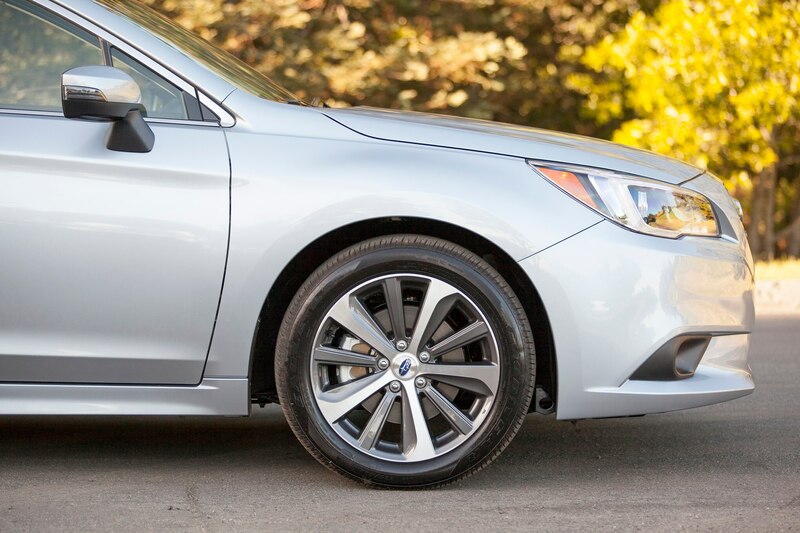 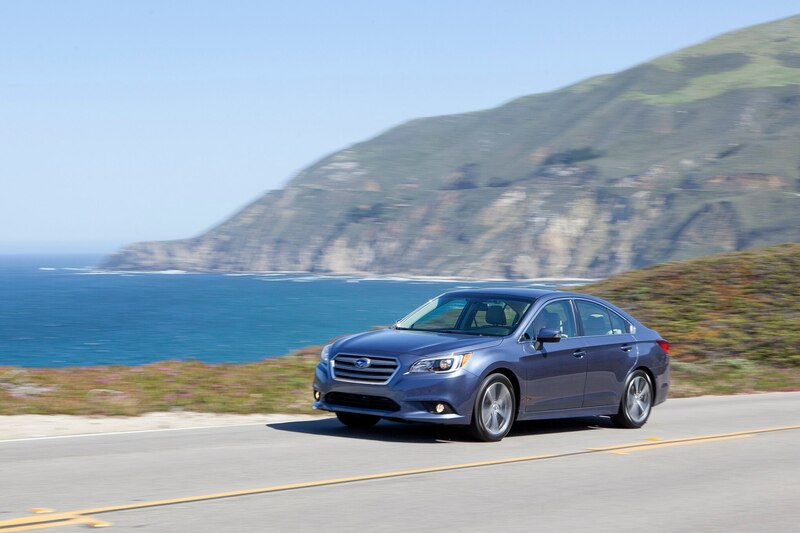 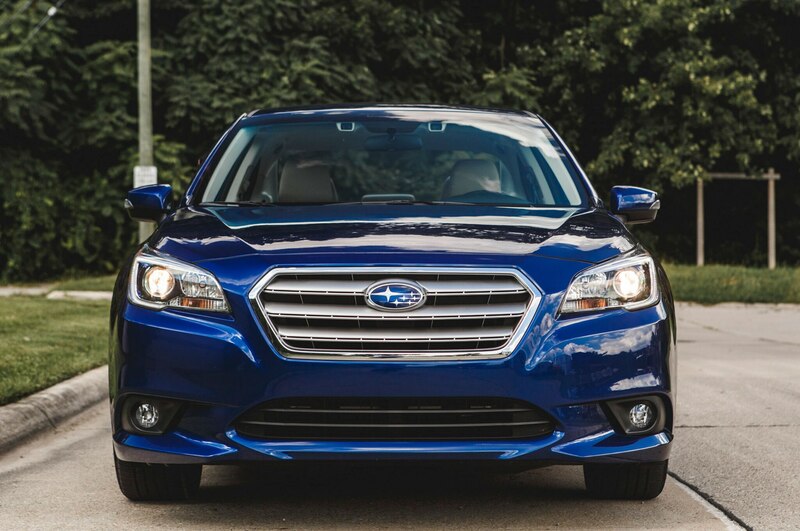 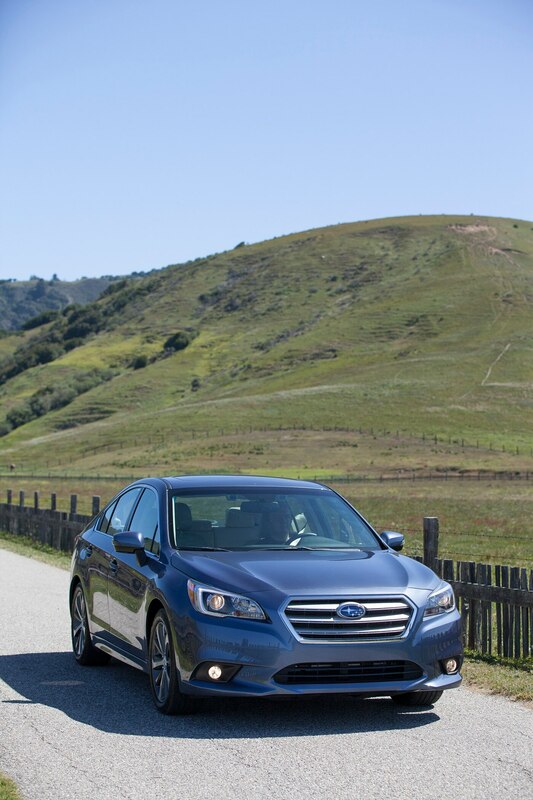 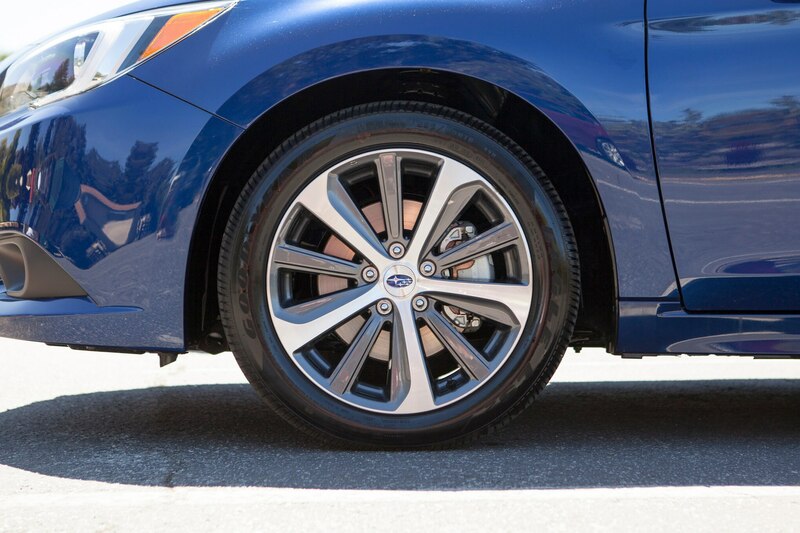 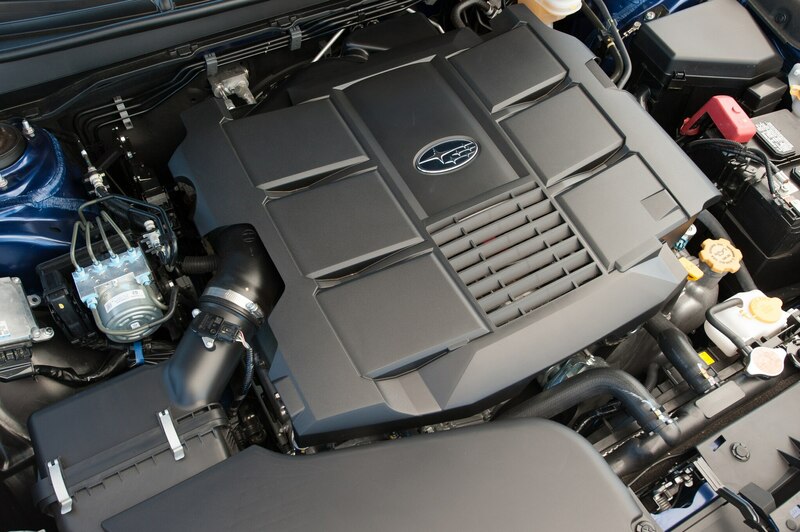 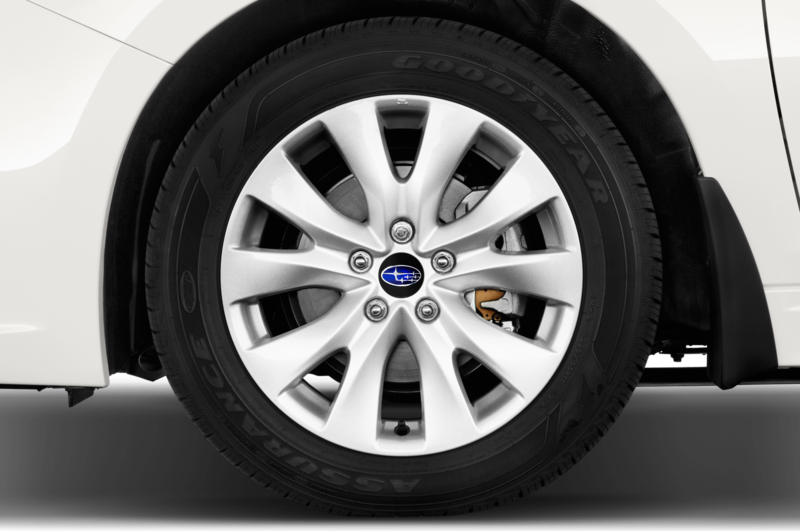 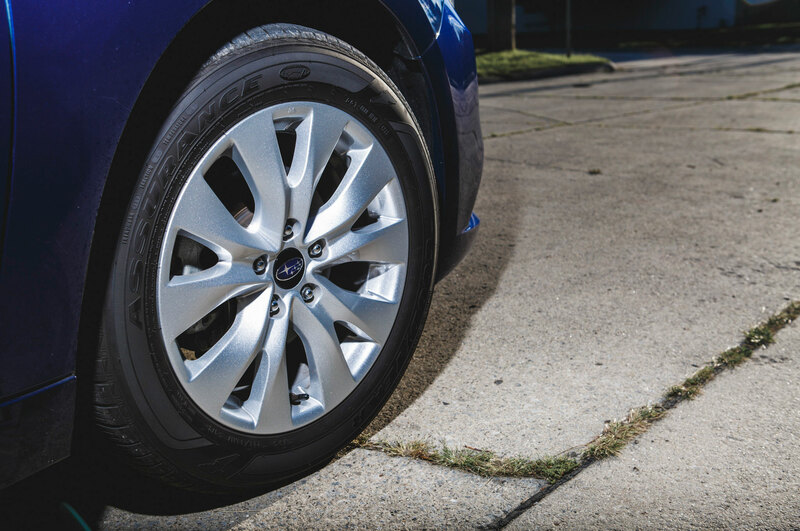 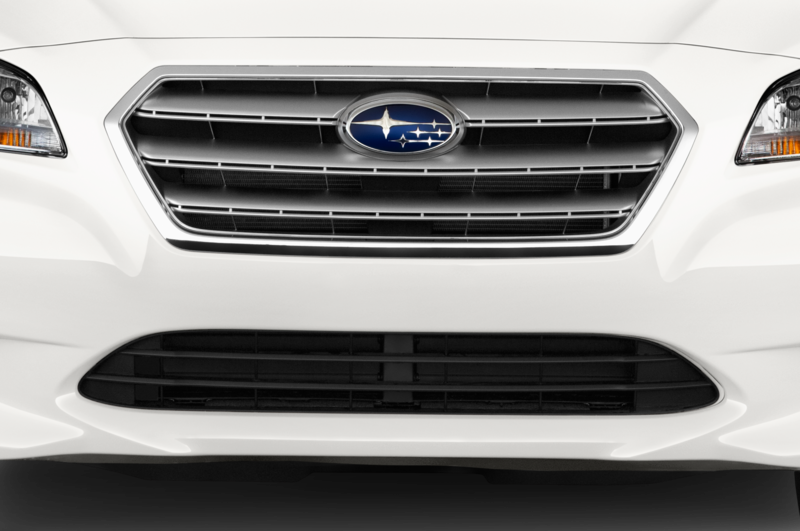 Whether or not you need symmetrical all-wheel drive, and whether or not you’re part of Subaru’s outdoorsy demographic, the 2015 Subaru Legacy now appeals to a wider audience, and it deserves to rise from obscurity. 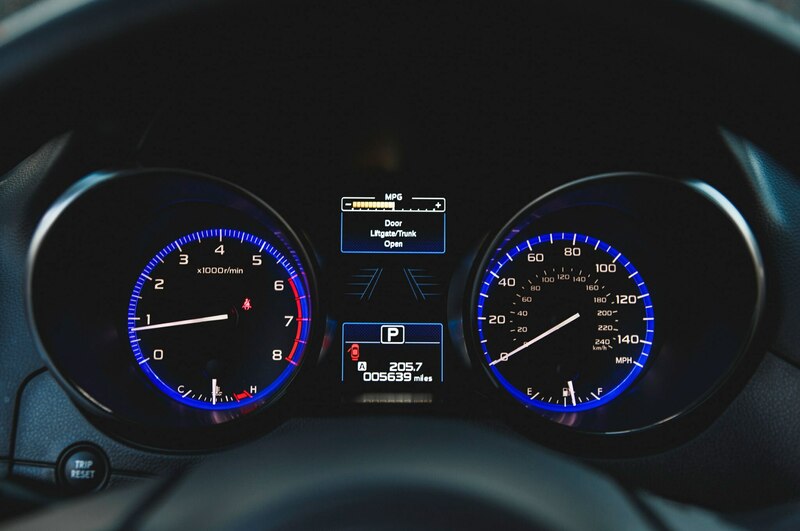 No longer the offbeat choice. 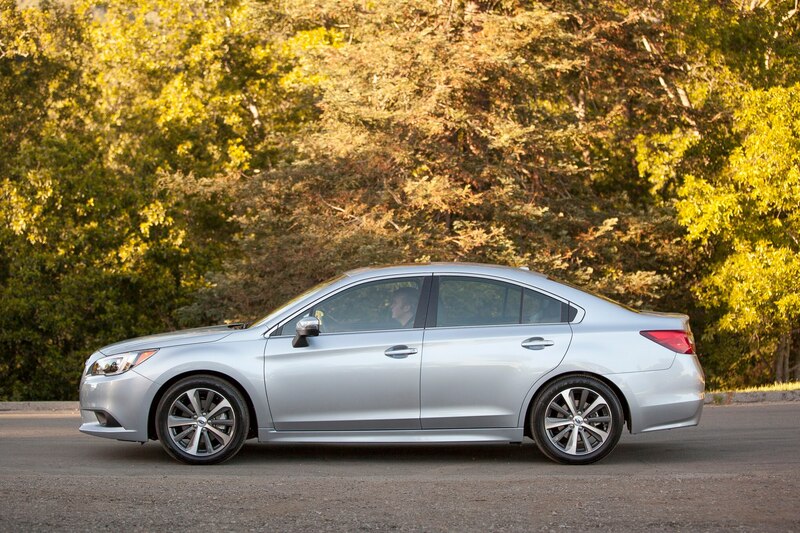 A new midsize sedan takes on some wild creations.